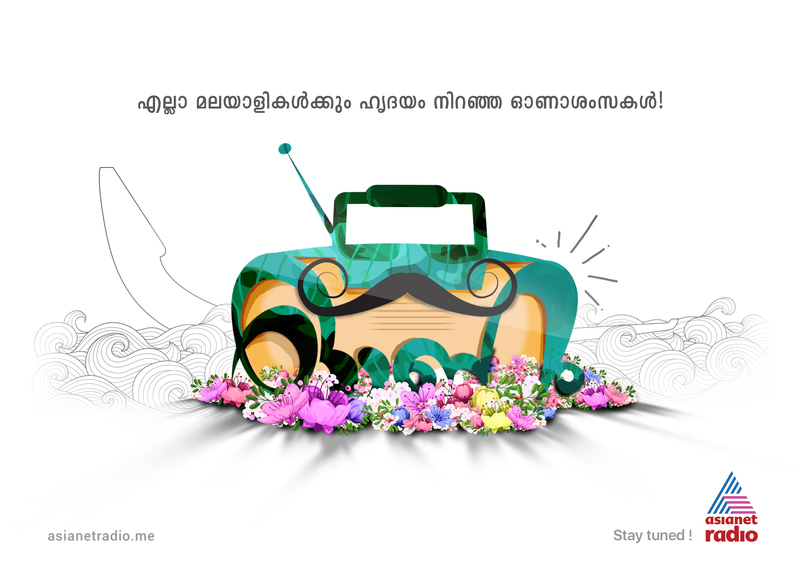 The name ‘Asianet’ needs no introduction to Keralites. 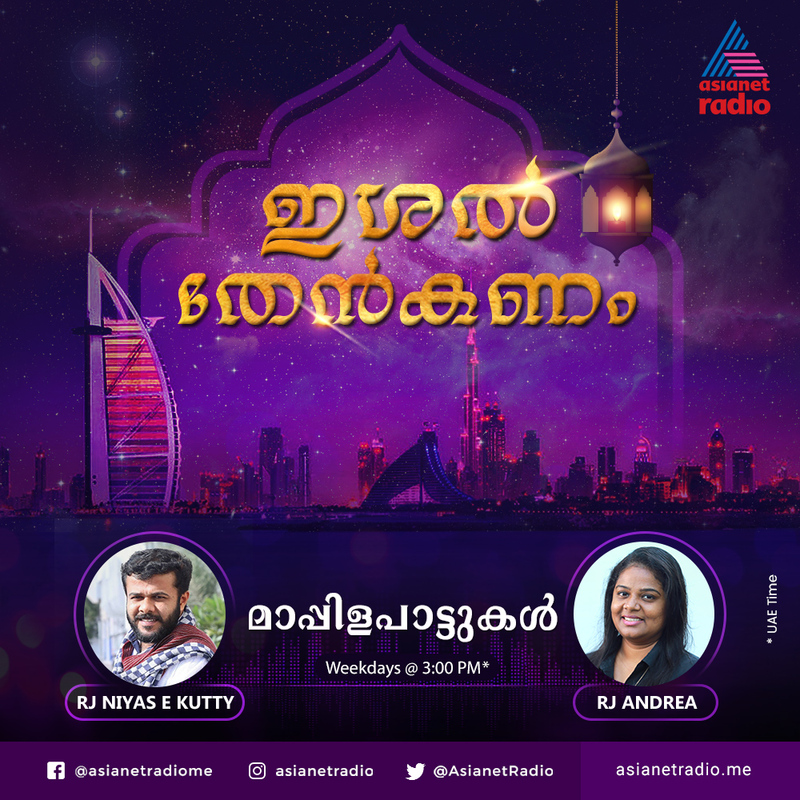 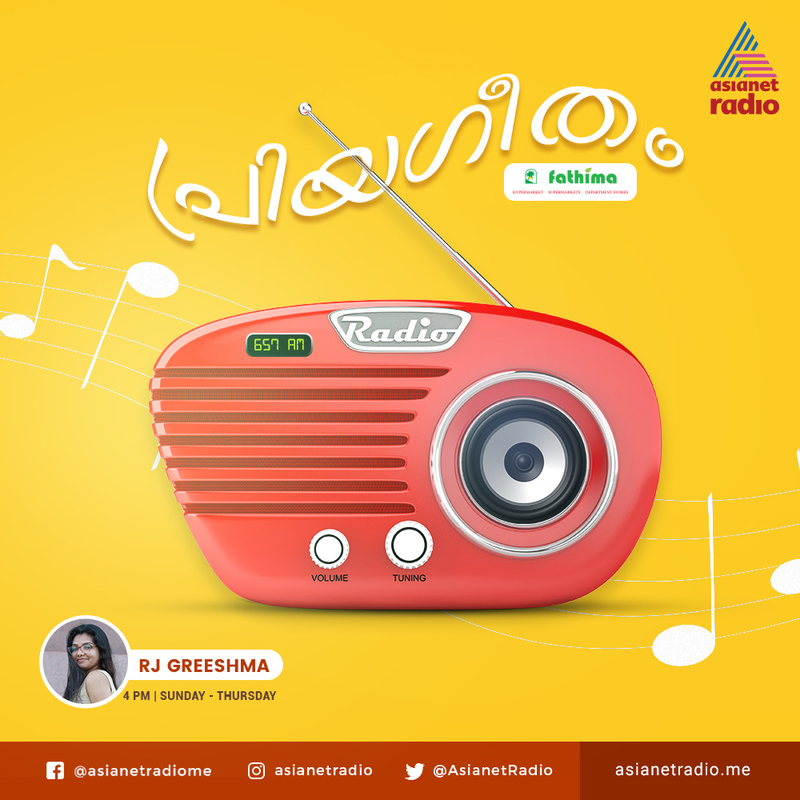 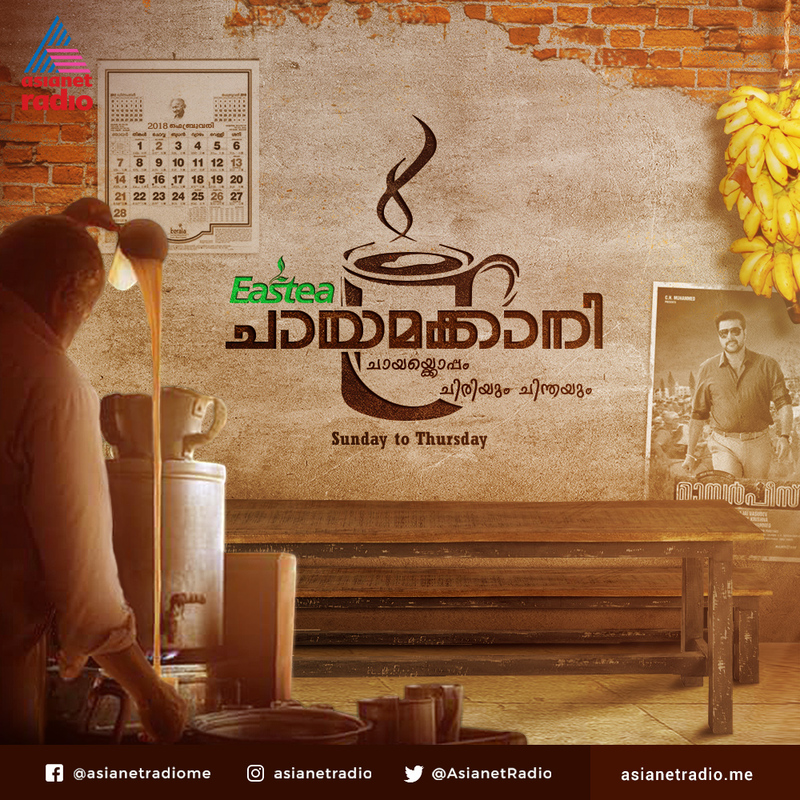 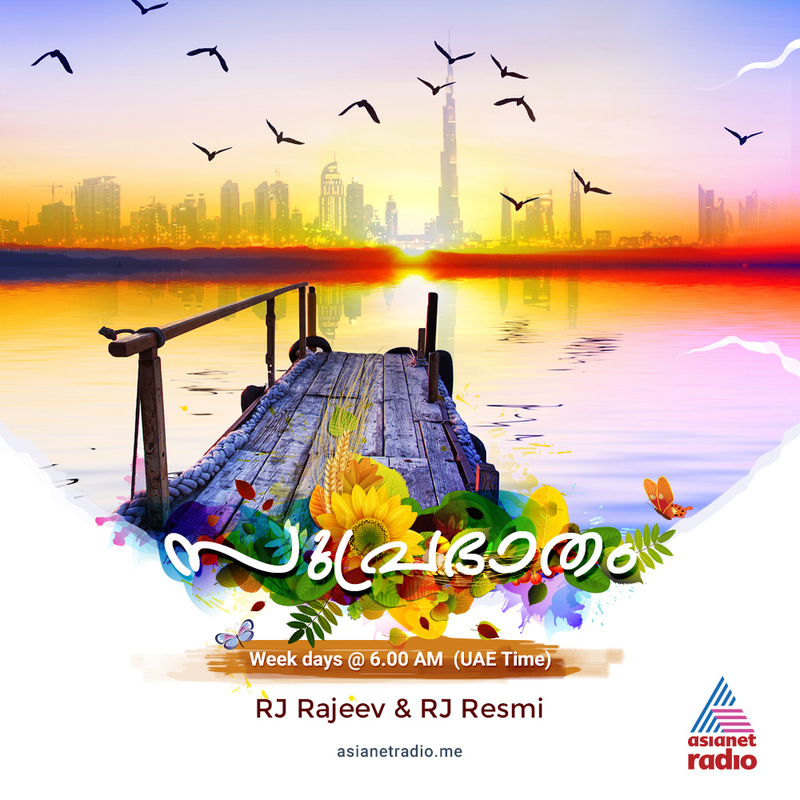 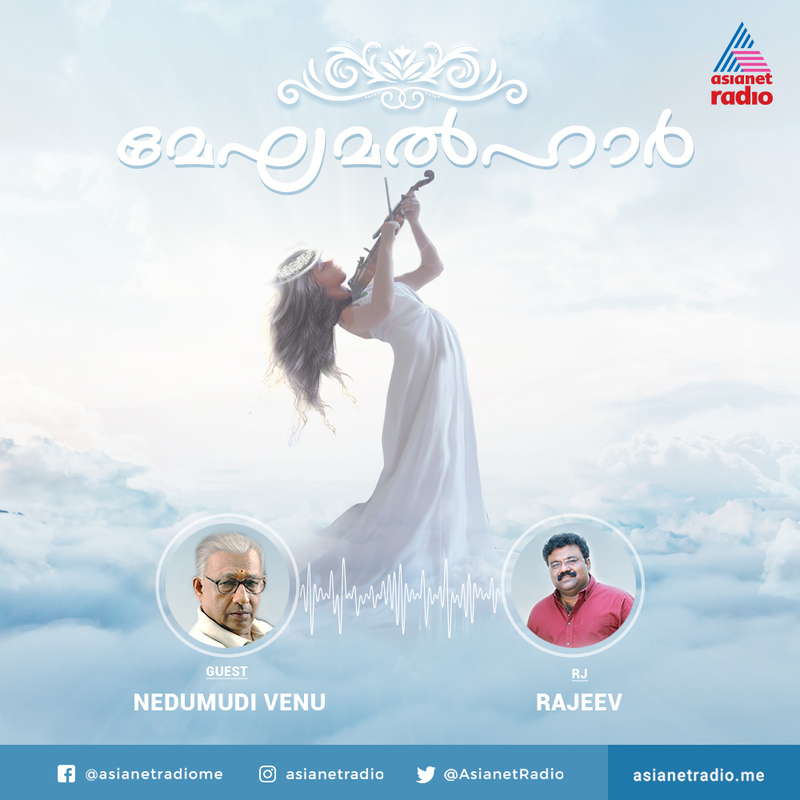 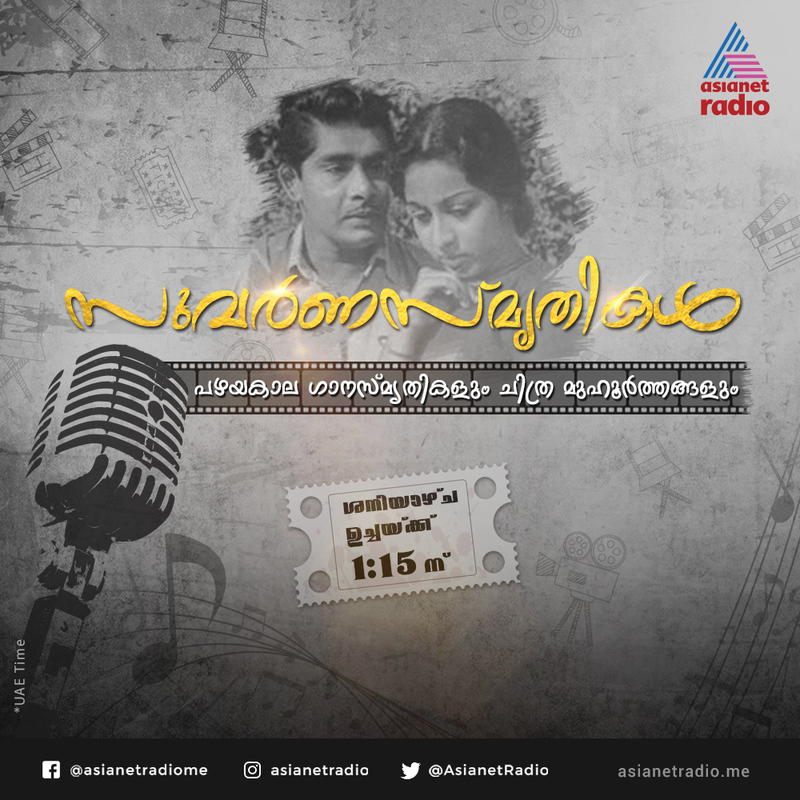 Asianet Radio is the only 24 hour Malayalam radio channel available across the Middle East. 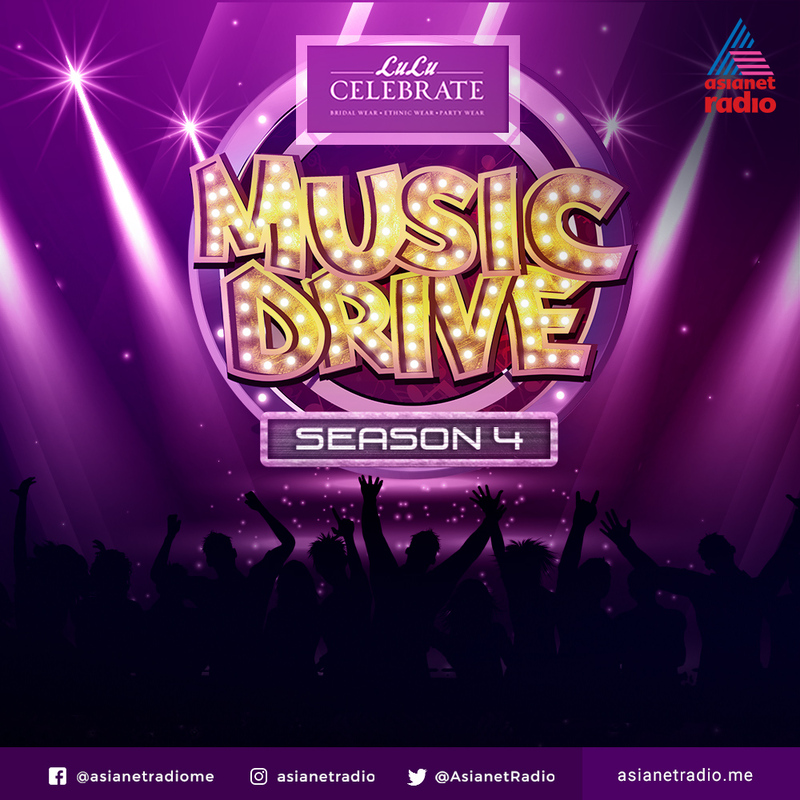 Social media can be a powerful tool for radio stations to proactively increase listenership and fan base numbers by using it as a part of content marketing strategy. 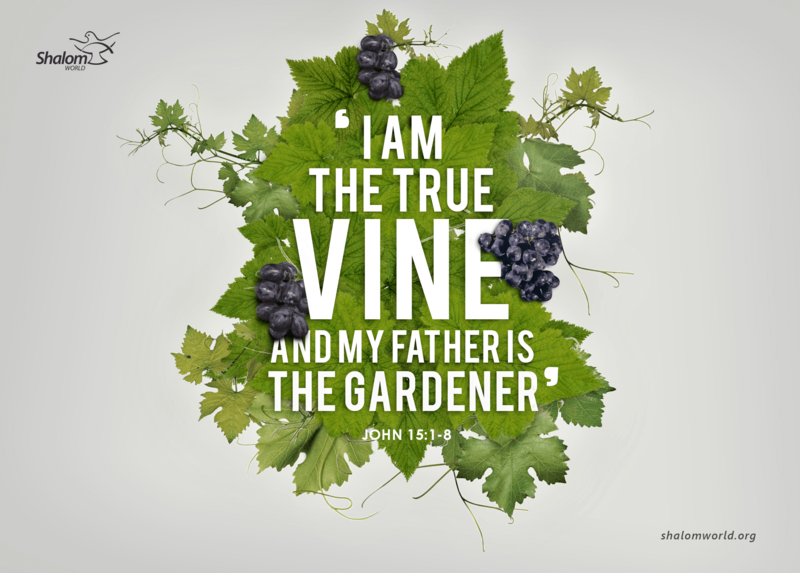 Based on our experience in the field, Star Group entrusted us with their seedling idea. 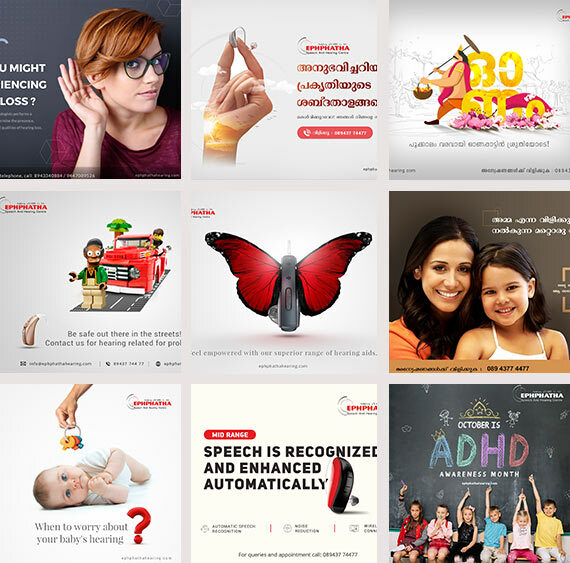 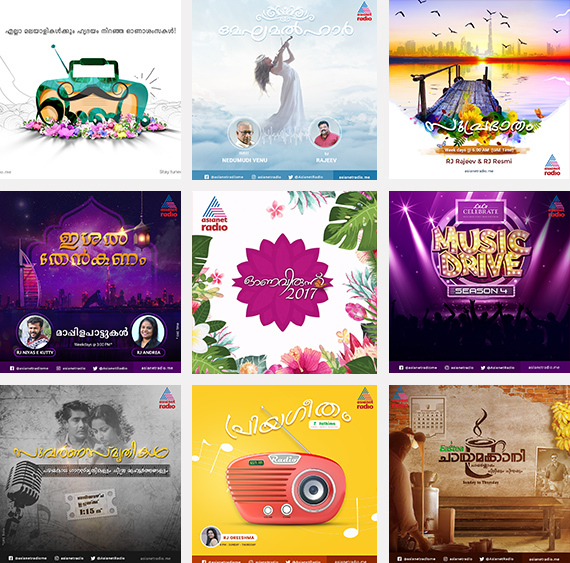 Webandcrafts connected Asianet Radio with thousands of new fans, and has helped them massively increase listenership. 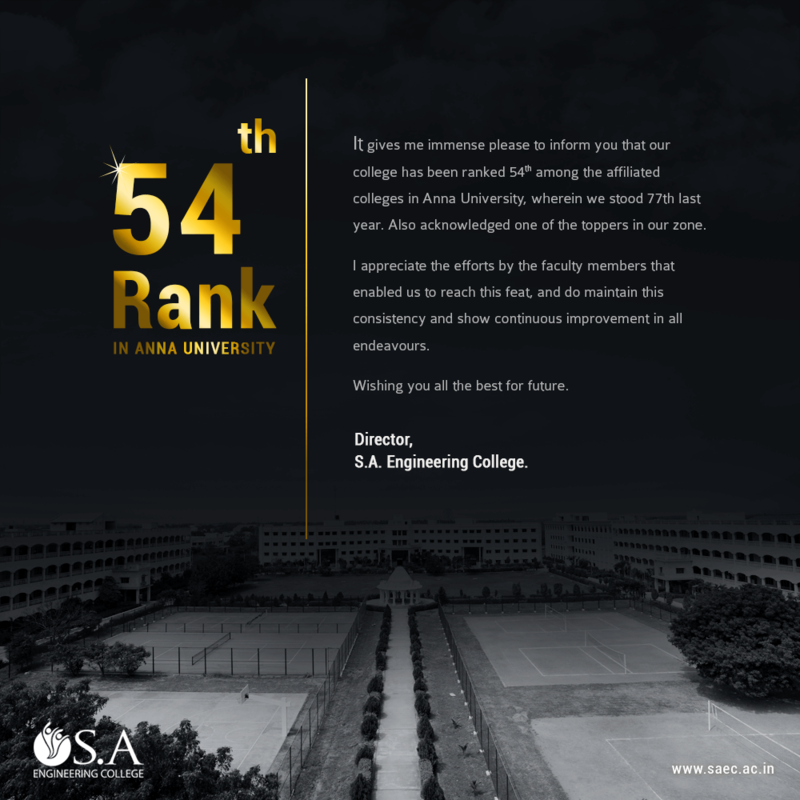 How we did it? 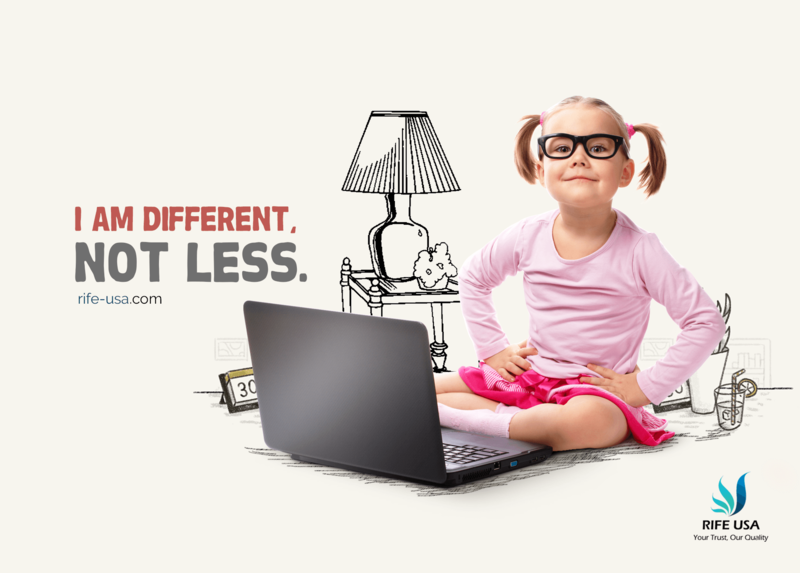 As the cliché goes, content is the king. 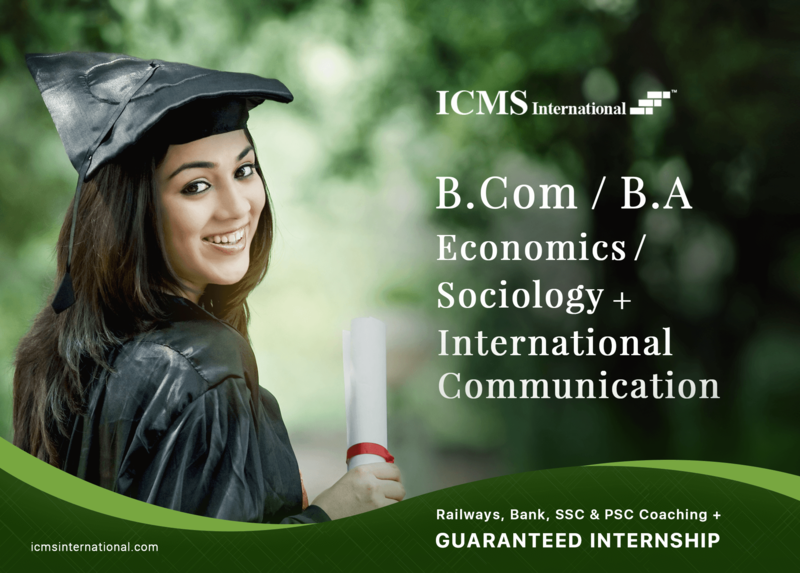 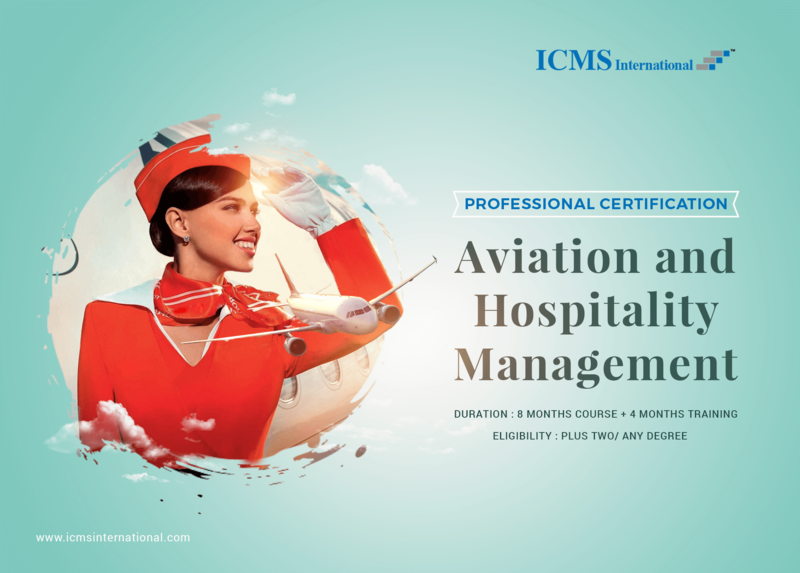 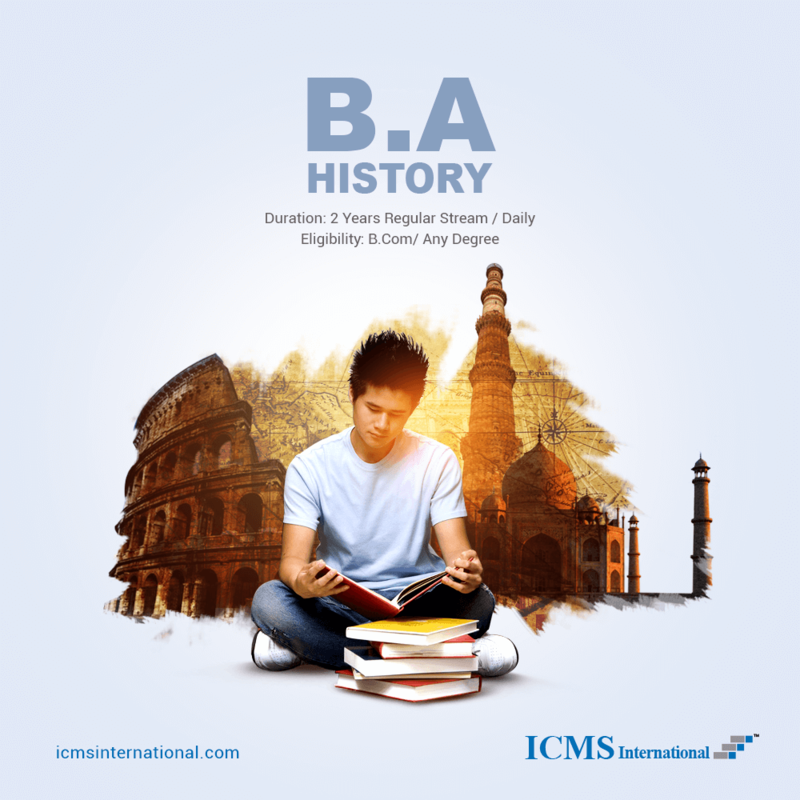 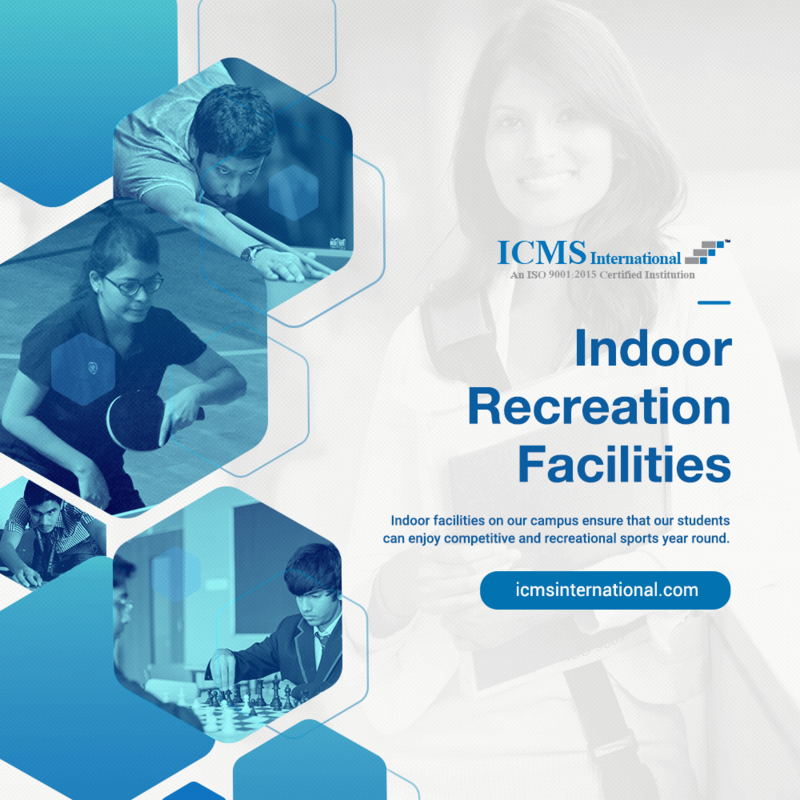 ICMS is an institute offering career oriented UG courses. 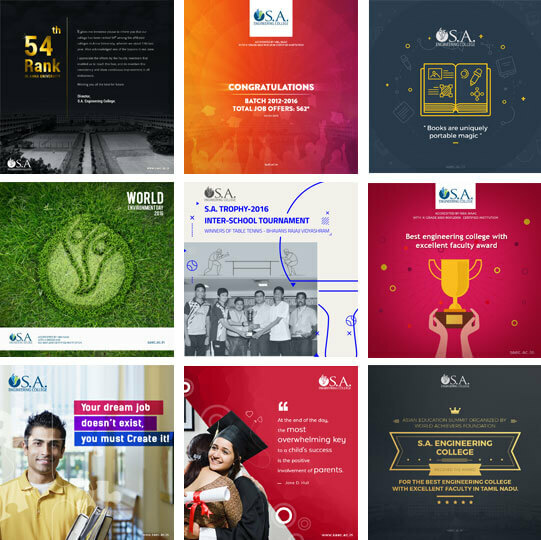 A cohesive online presence was inevitable for them as every year more students are using digital information to make their college admission decisions. 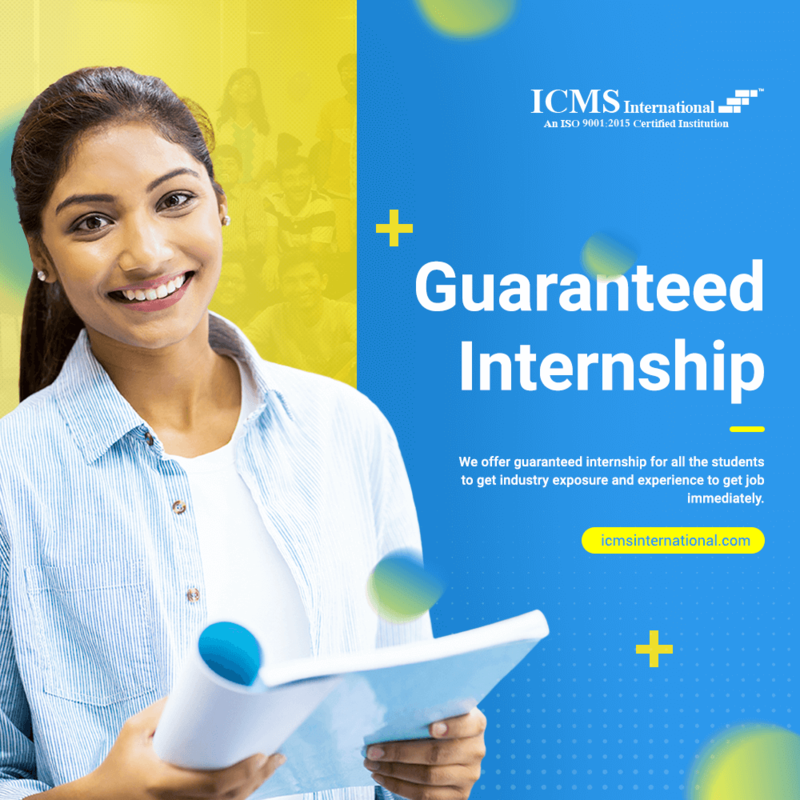 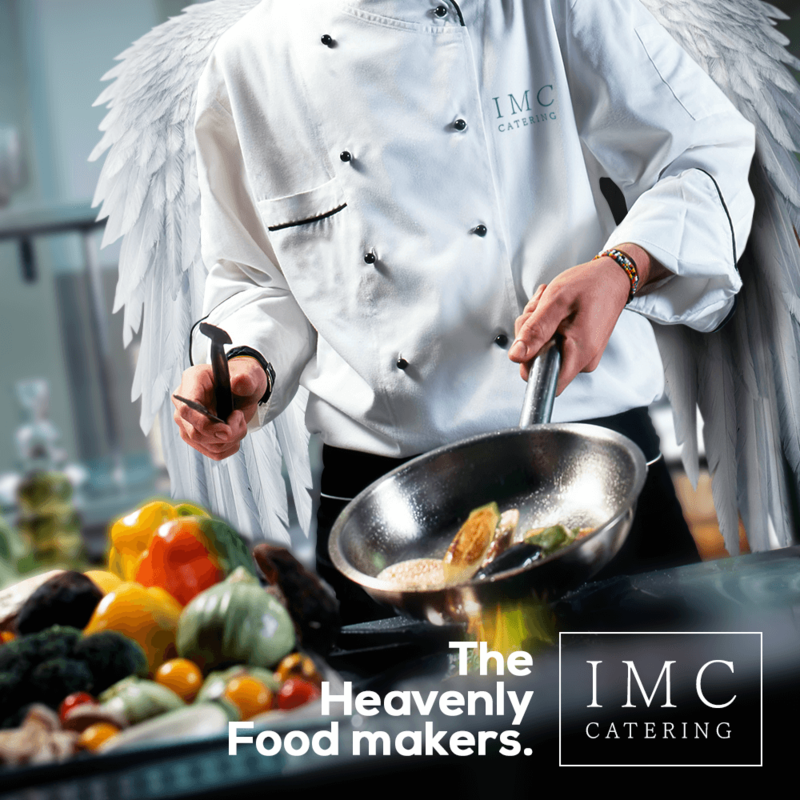 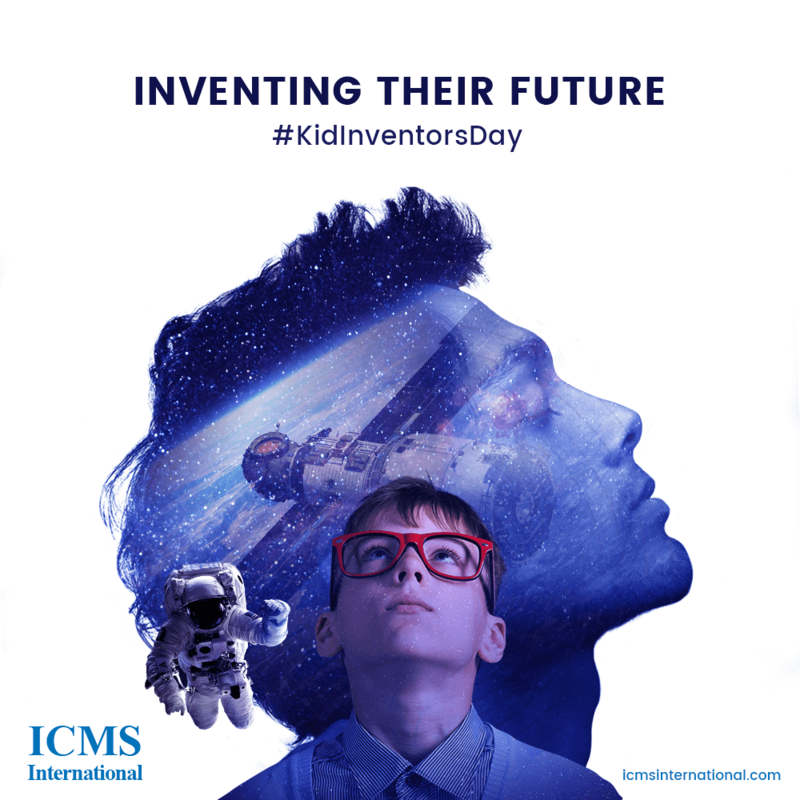 With our help, ICMS fully integrated social media into its marketing strategy as a powerful tool for communicating with their key audience. 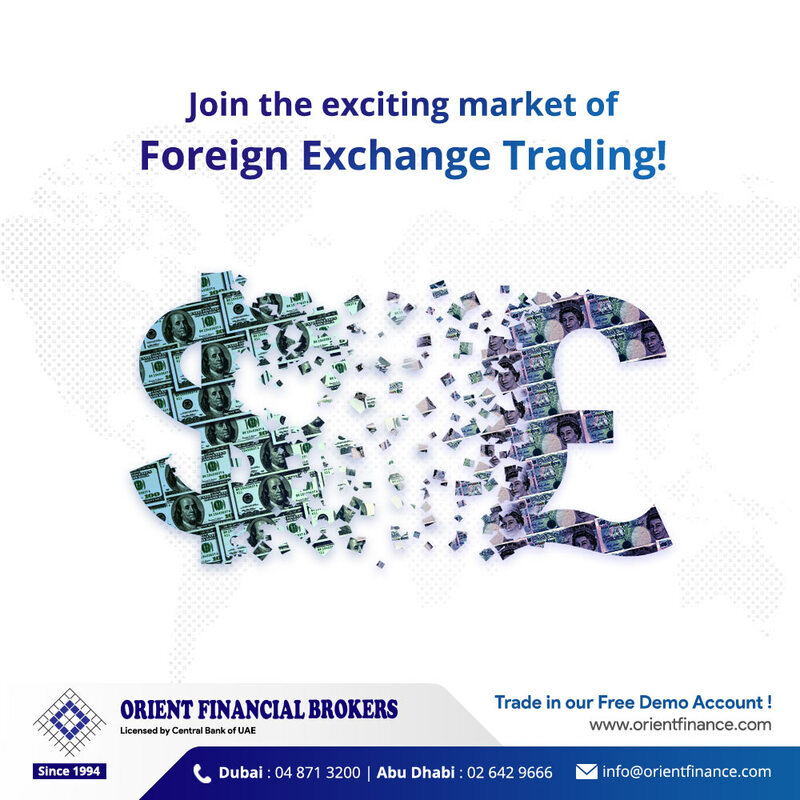 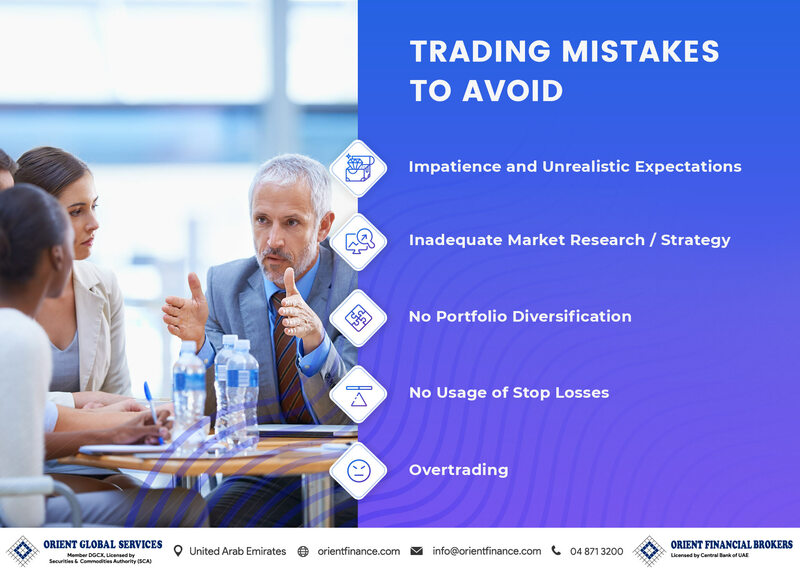 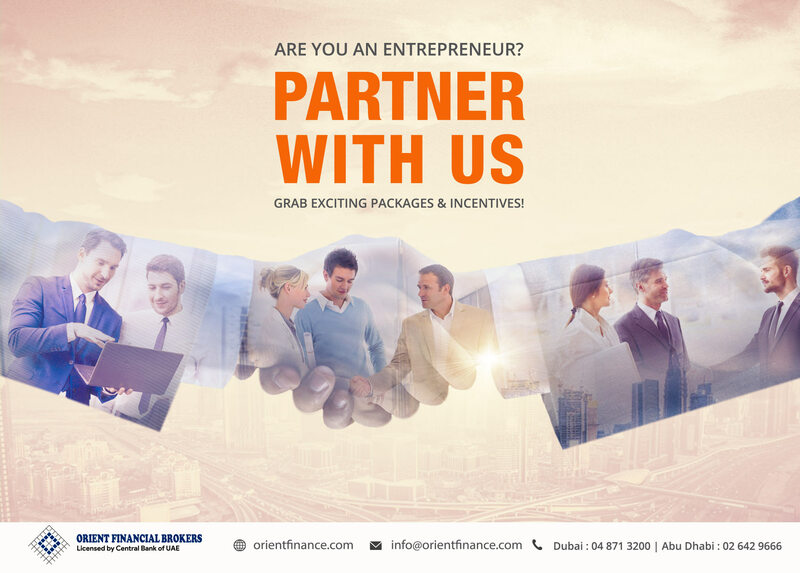 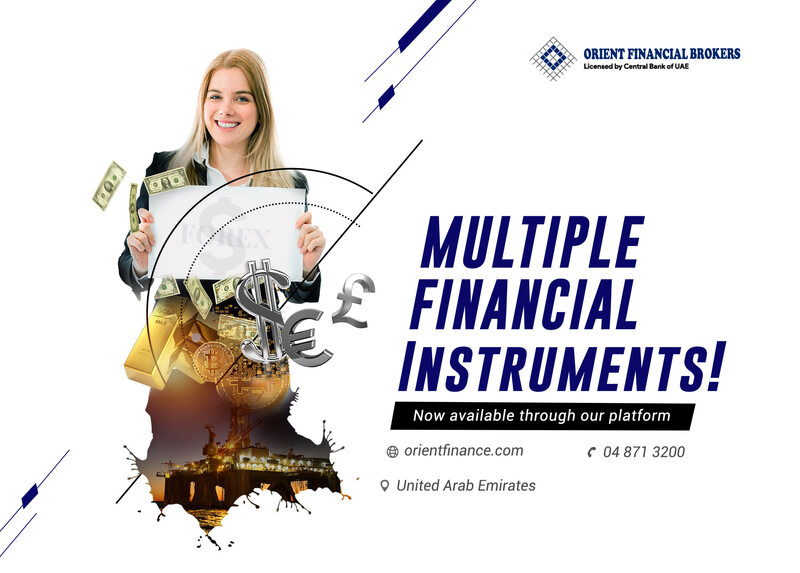 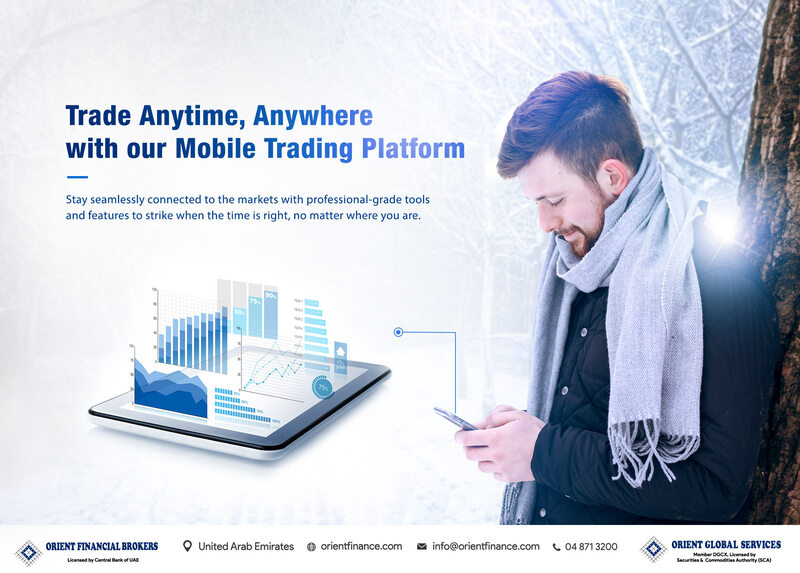 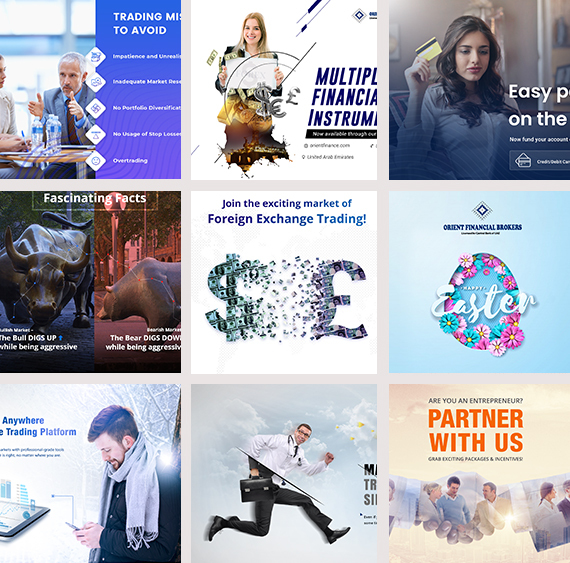 Orient Financial Brokers is a stock broking firm based in Dubai offering customer friendly online trading platform for traders. 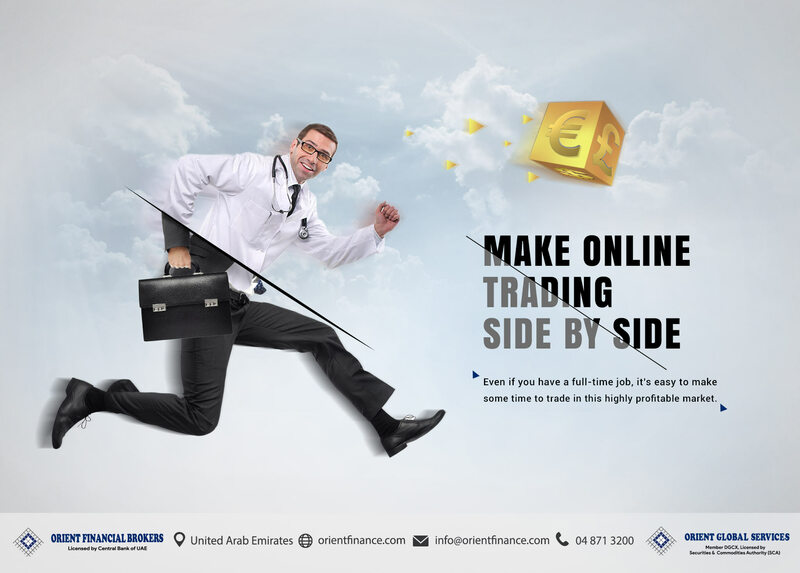 It’s not quite common but not rare to imagine a stock broker getting to grips with social media. 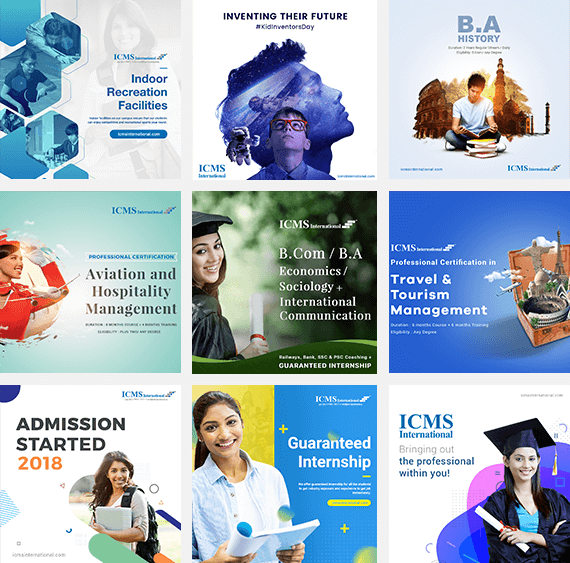 From a small initial social media marketing investment, it’s estimated the overall results achieved would have cost more than double the cost through traditional media. 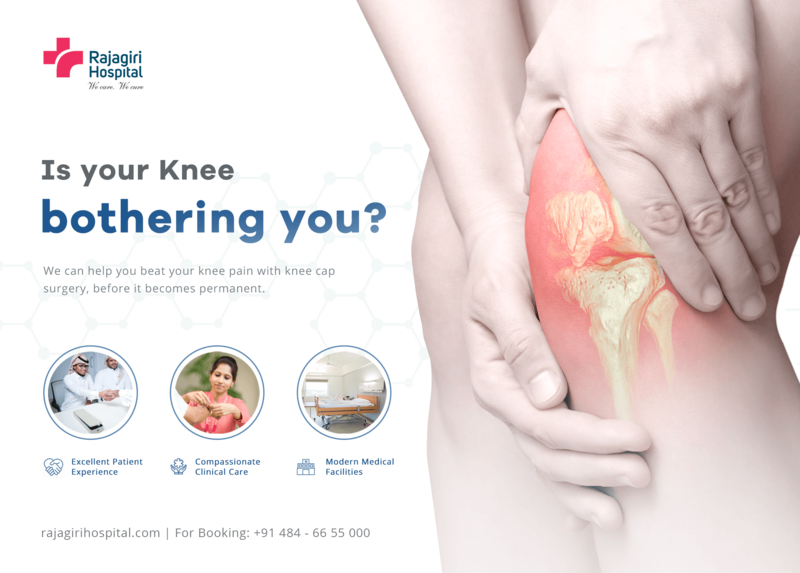 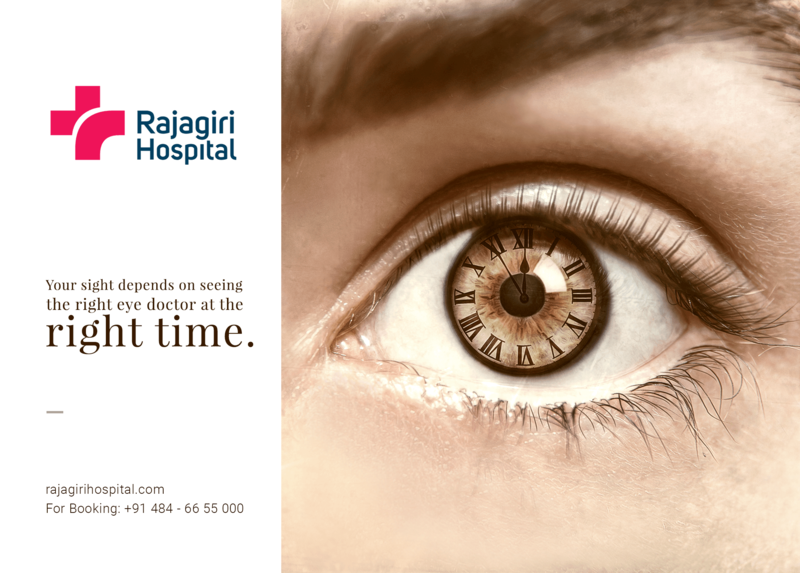 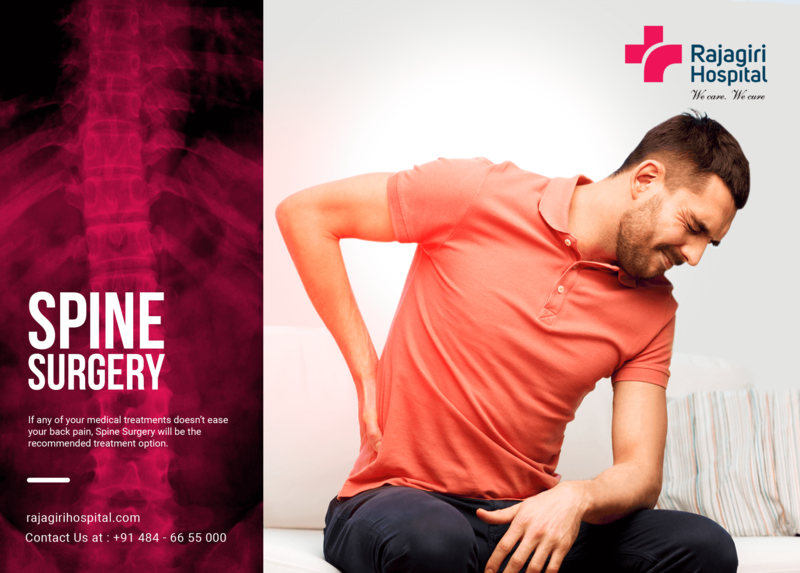 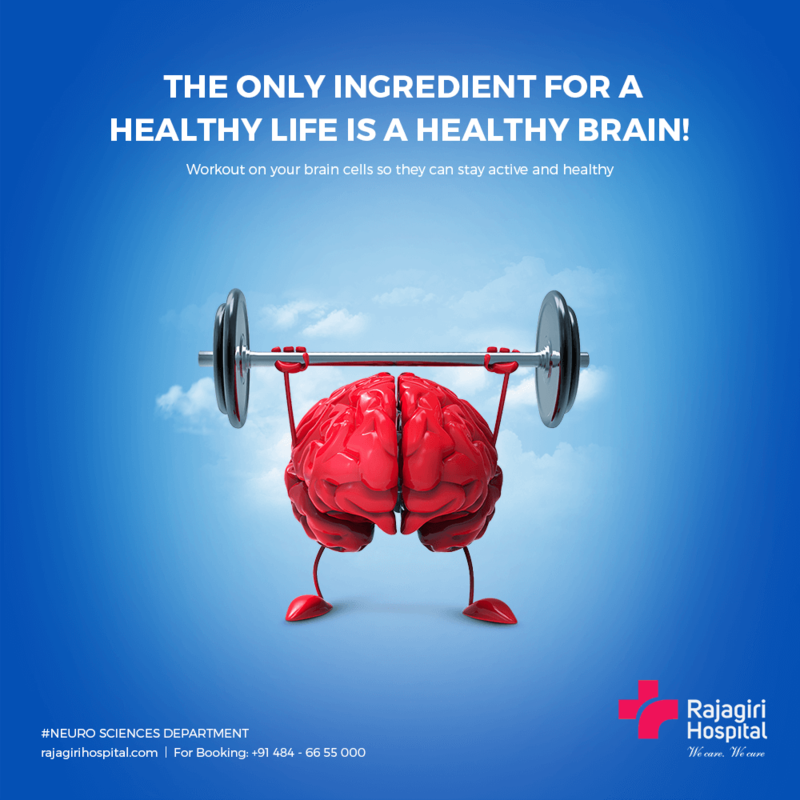 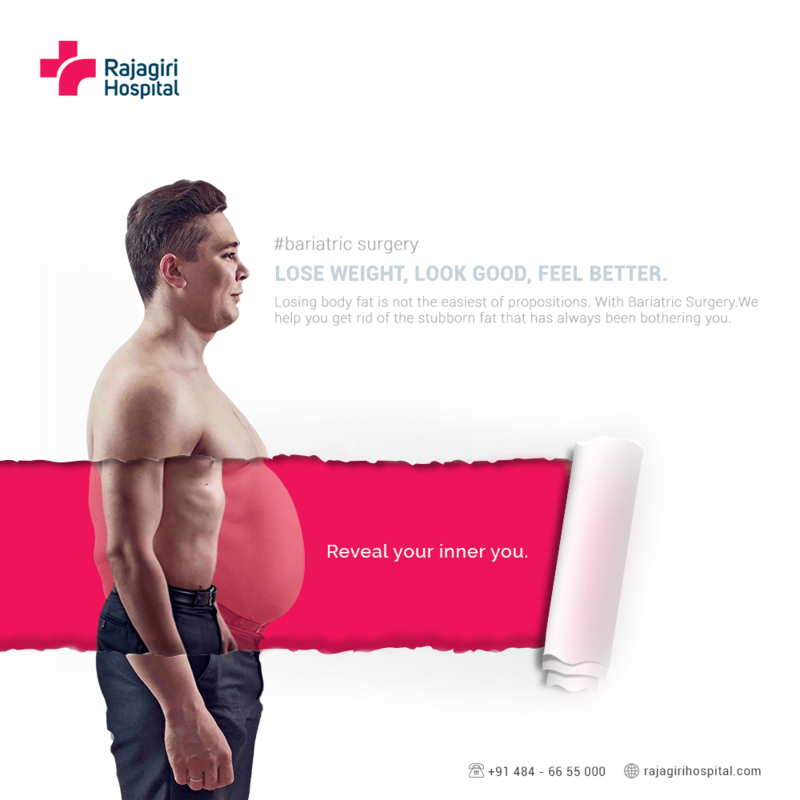 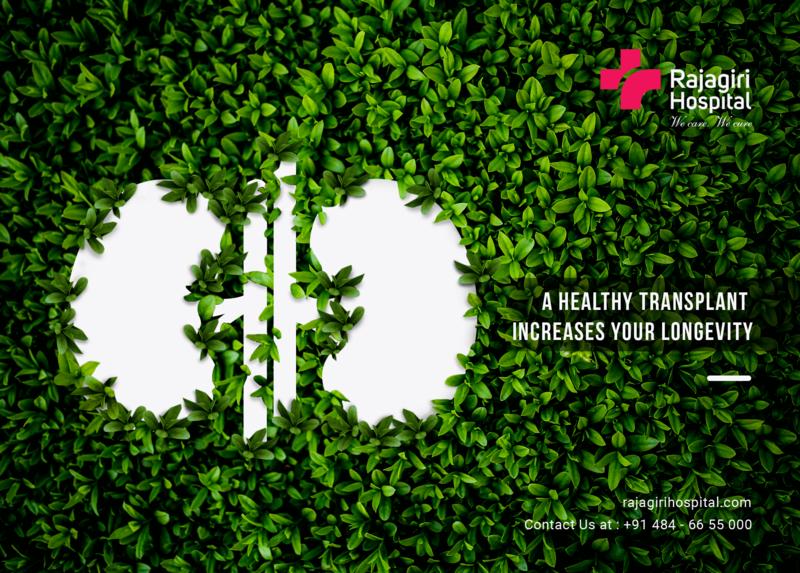 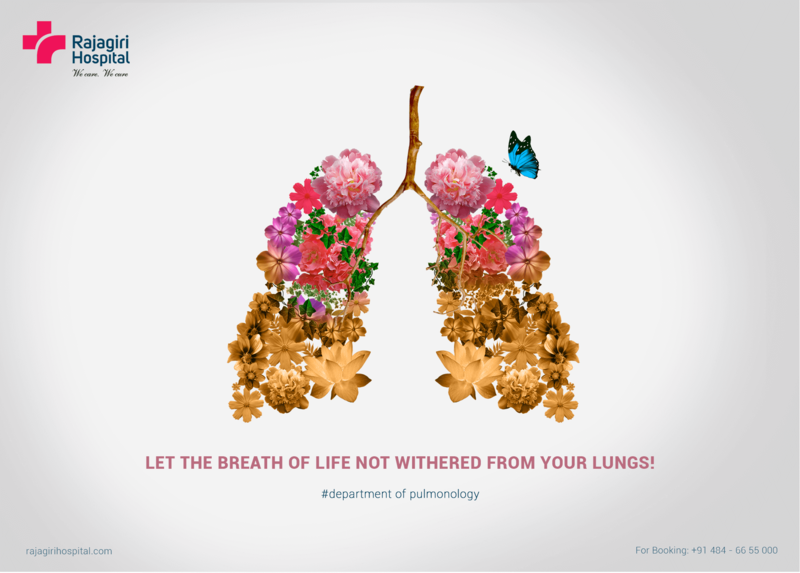 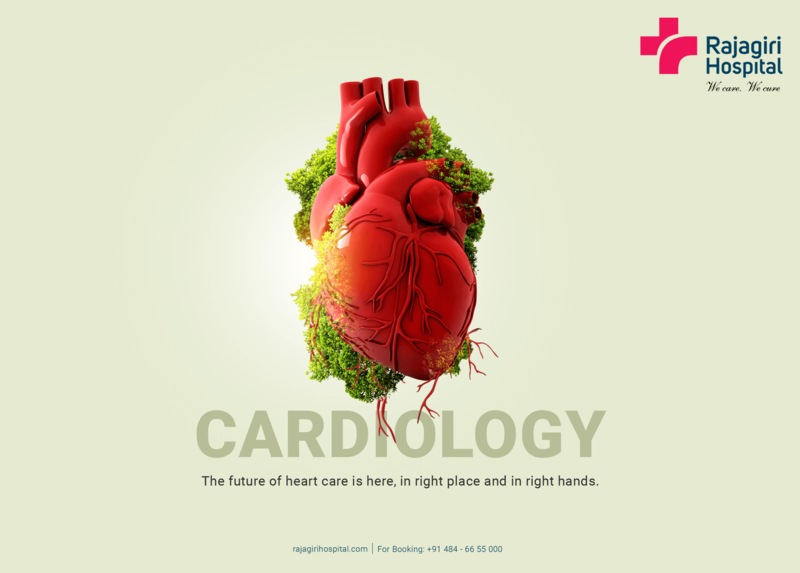 Rajagiri Hospital is one of the multi-specialty tertiary care hospitals in the south Indian city of Kochi. 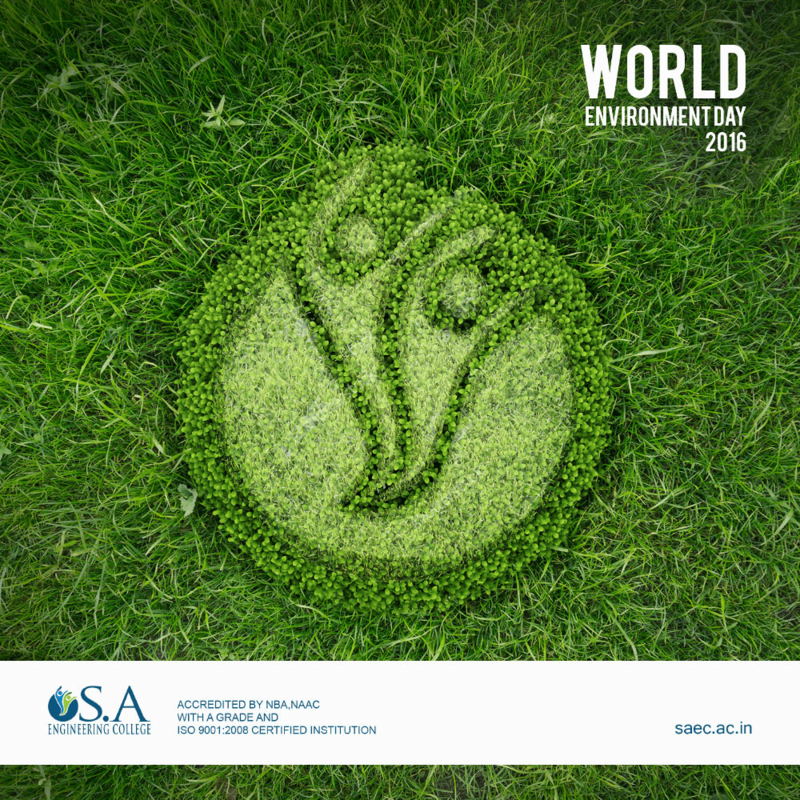 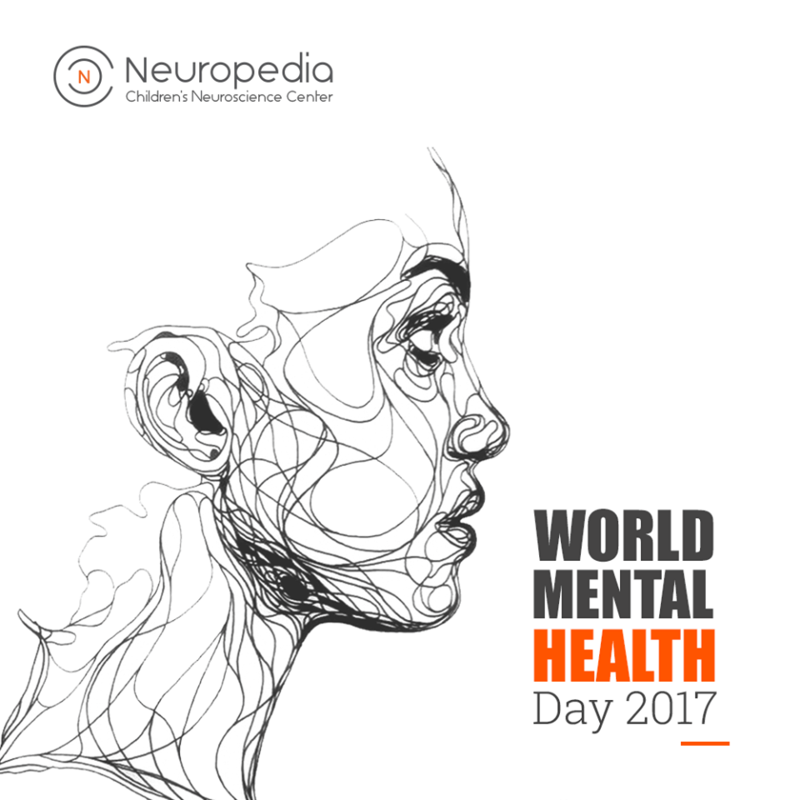 Awareness about various departments and treatment options provided was their most priority on social media. 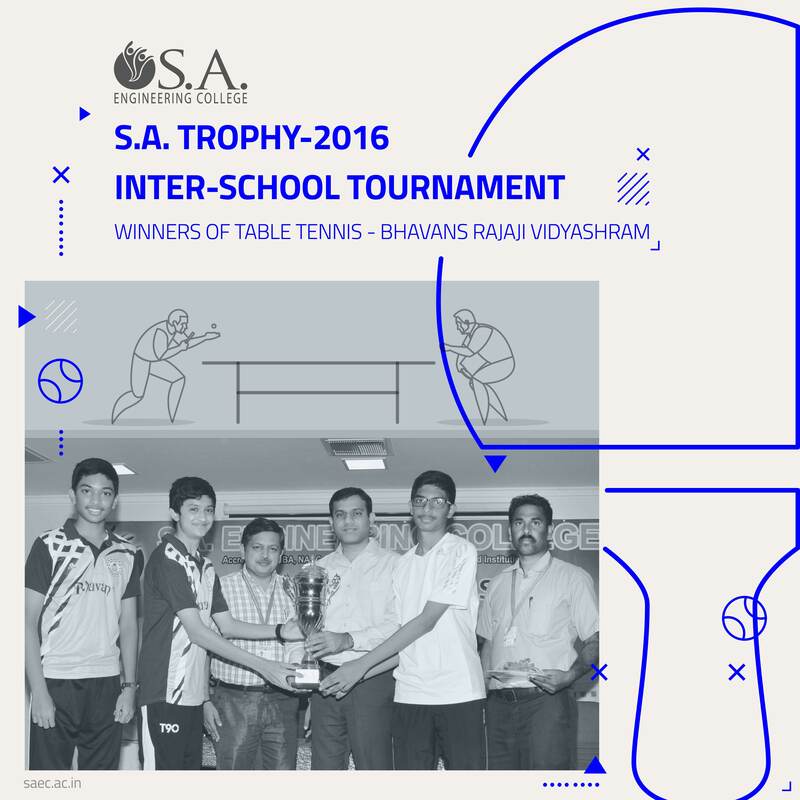 We accomplished this by strategizing each post in a way that it highlighted their department and their activities. 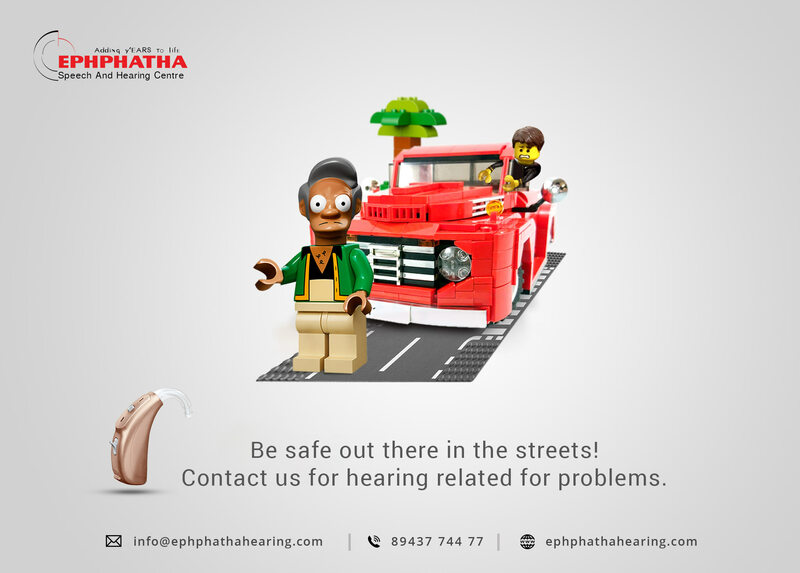 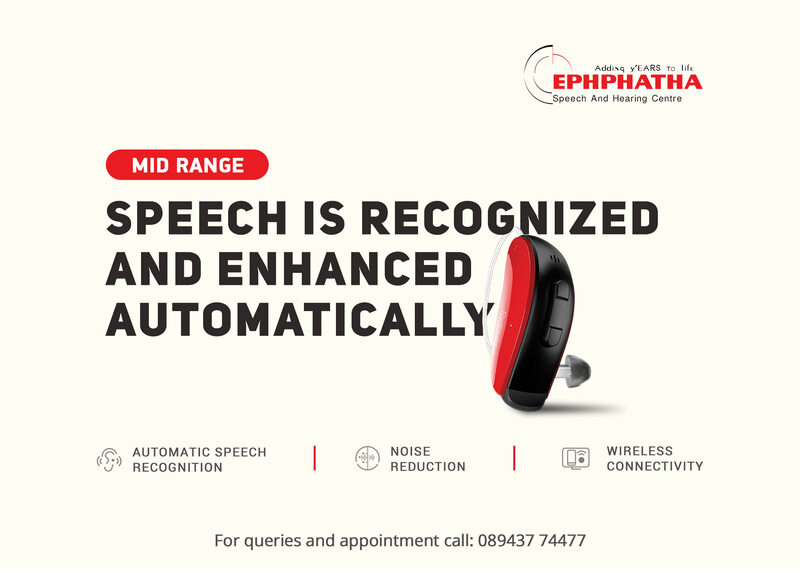 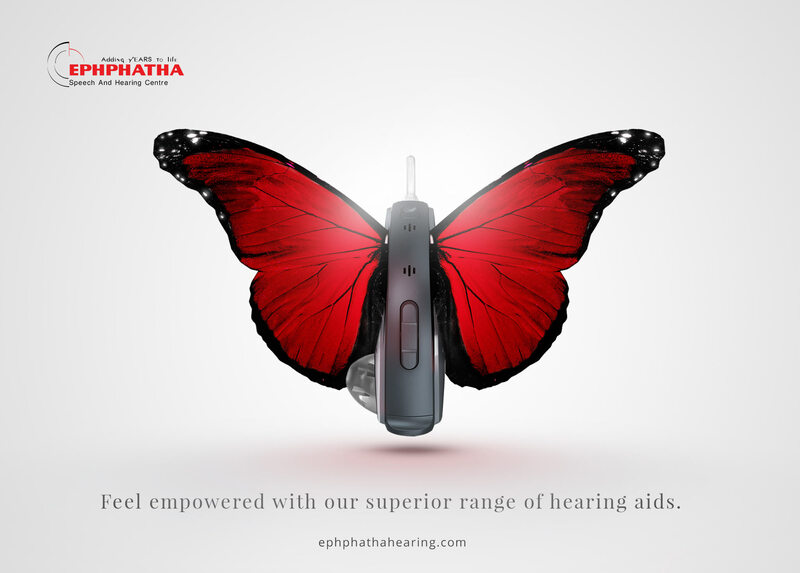 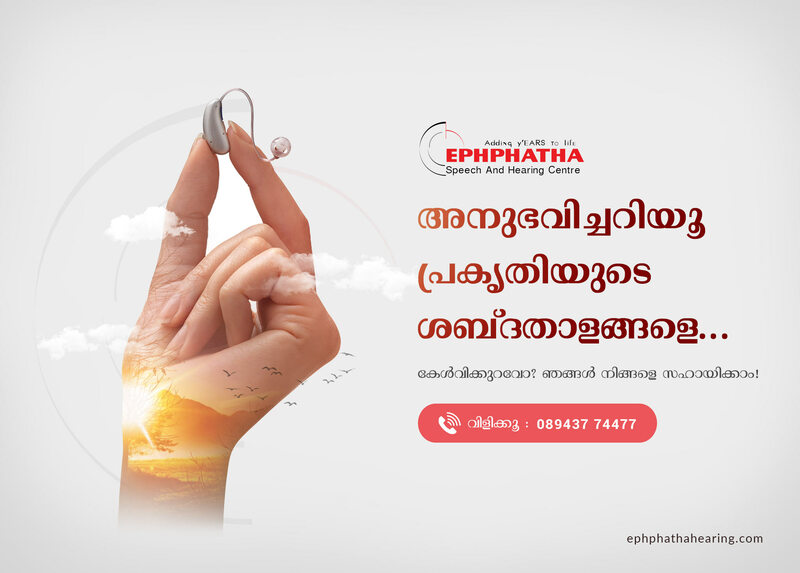 Ephphatha is a group of clinics providing treatment for people with speech & hearing disorders. 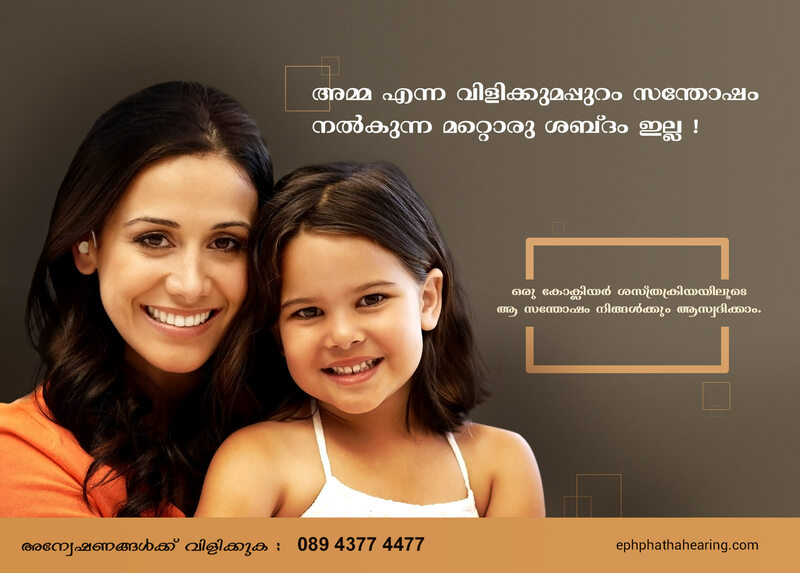 Webandcrafts worked with Ephphatha to help build the profile of their clinic and attract new patients. 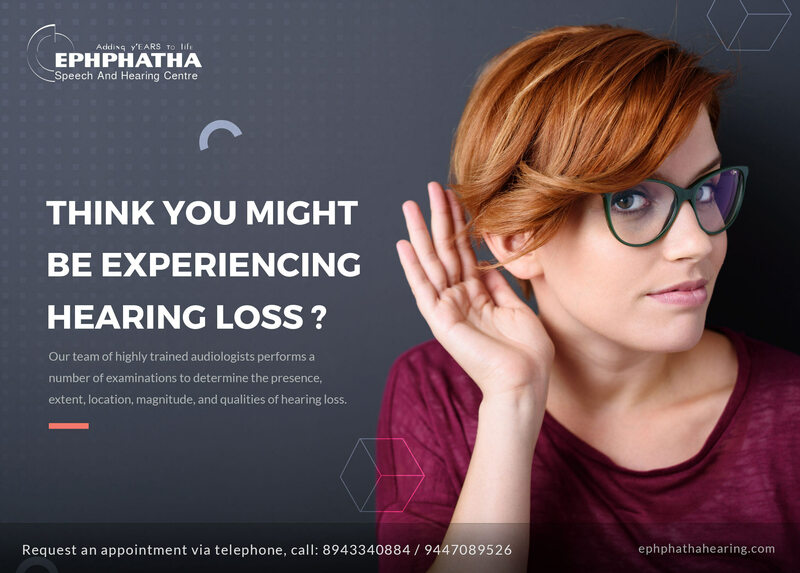 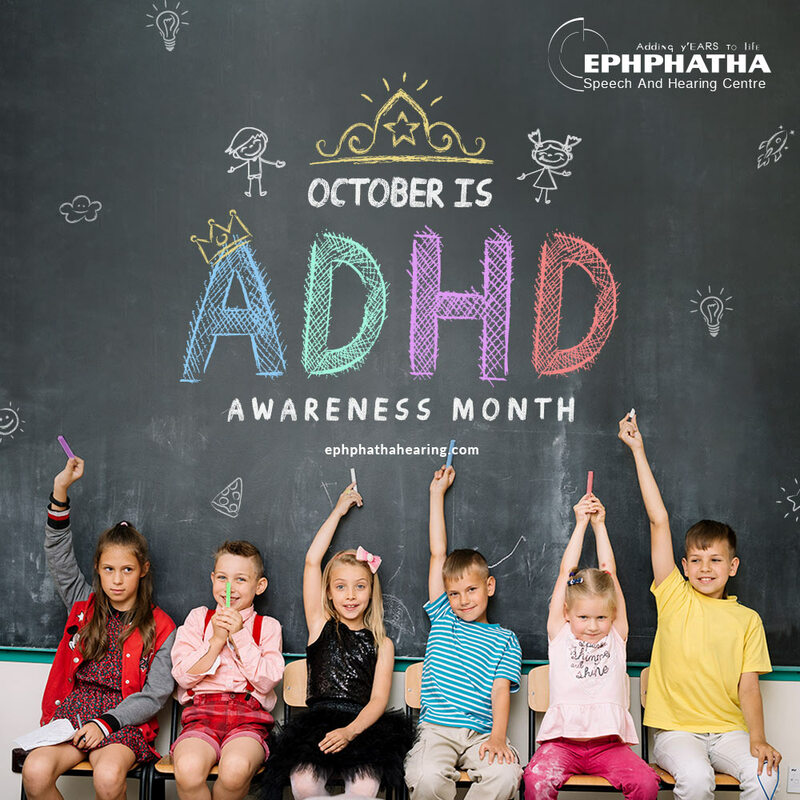 We have developed a three month social media marketing strategy to encourage people to be proactive in making decisions about their own health by educating them about the various services offered at Ephphatha. 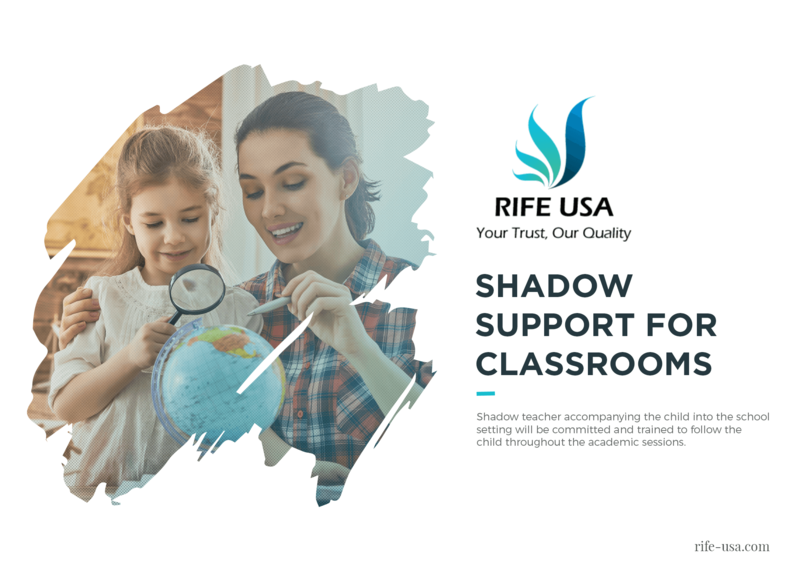 The campaign was a success! 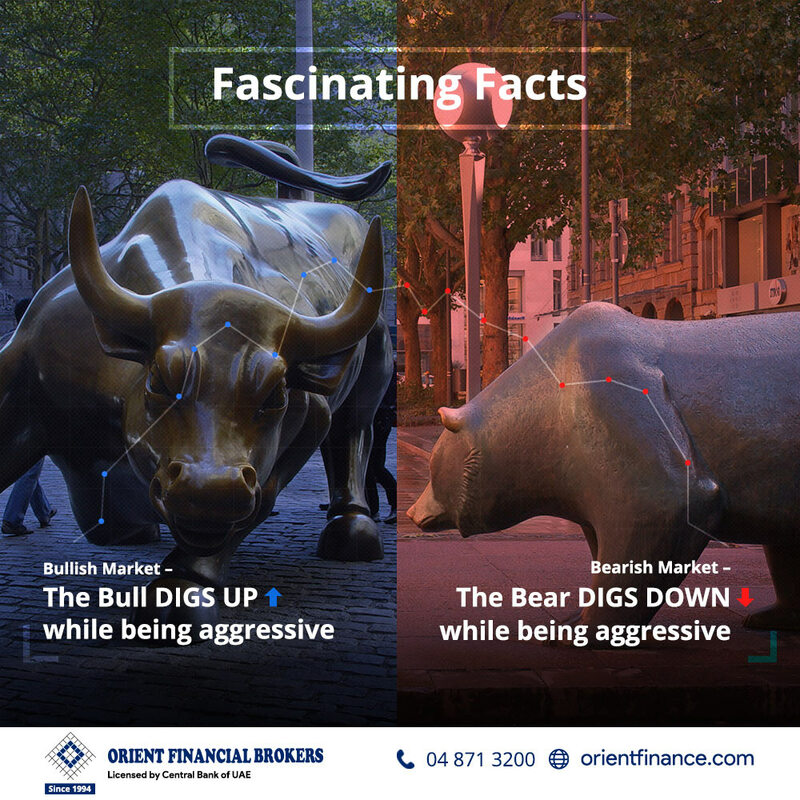 Facebook posts reached approximately 60,000 people and their fan base grew to 6500 in 3 months. 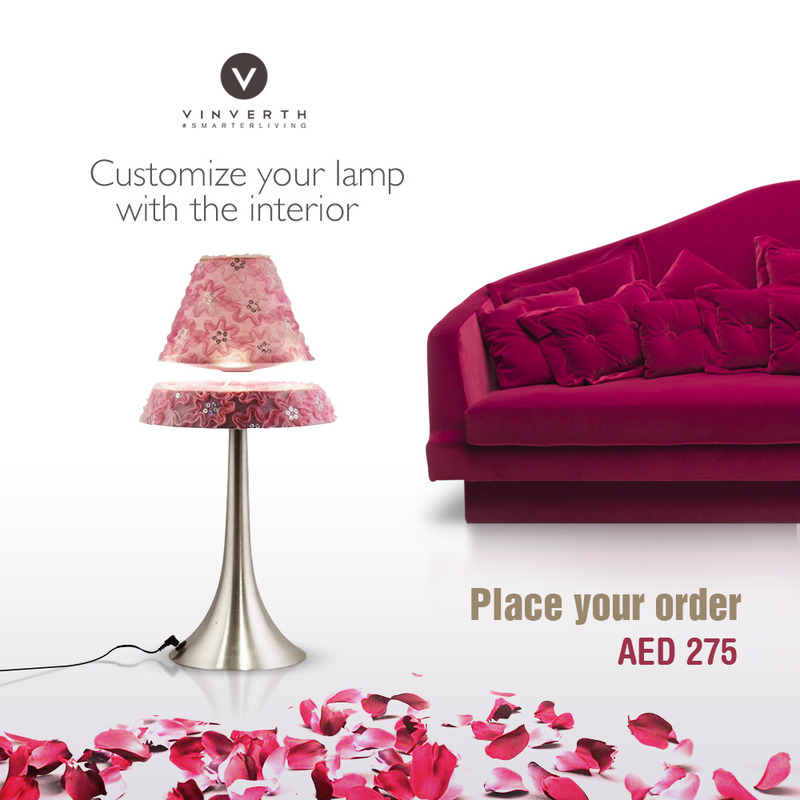 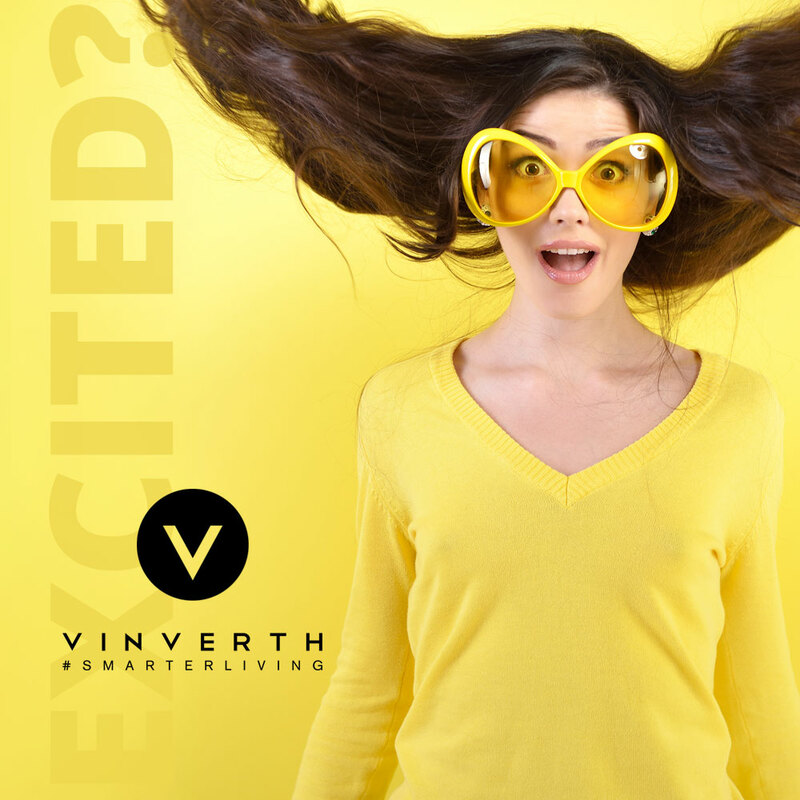 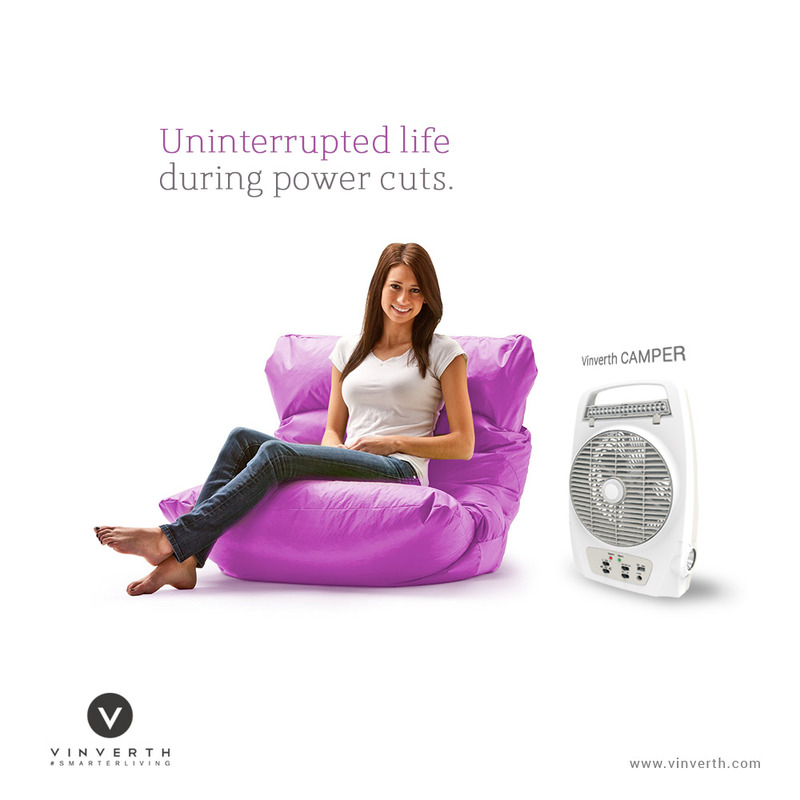 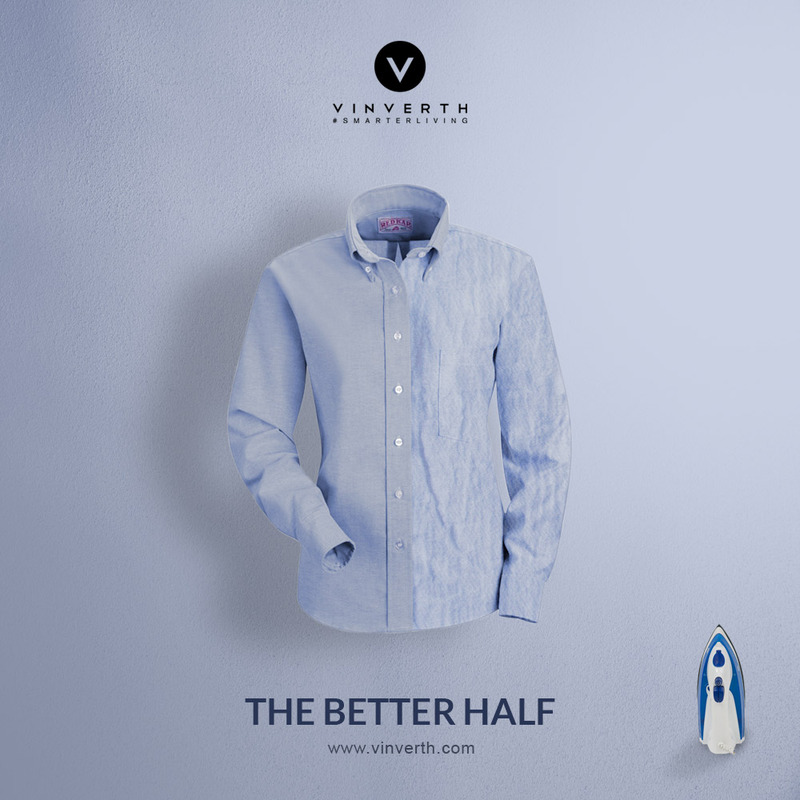 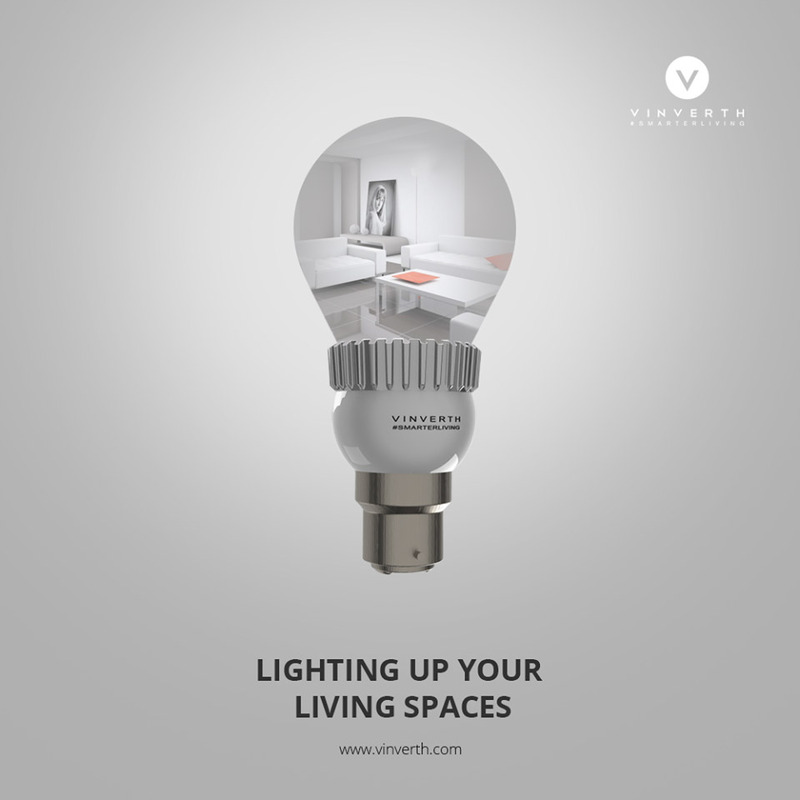 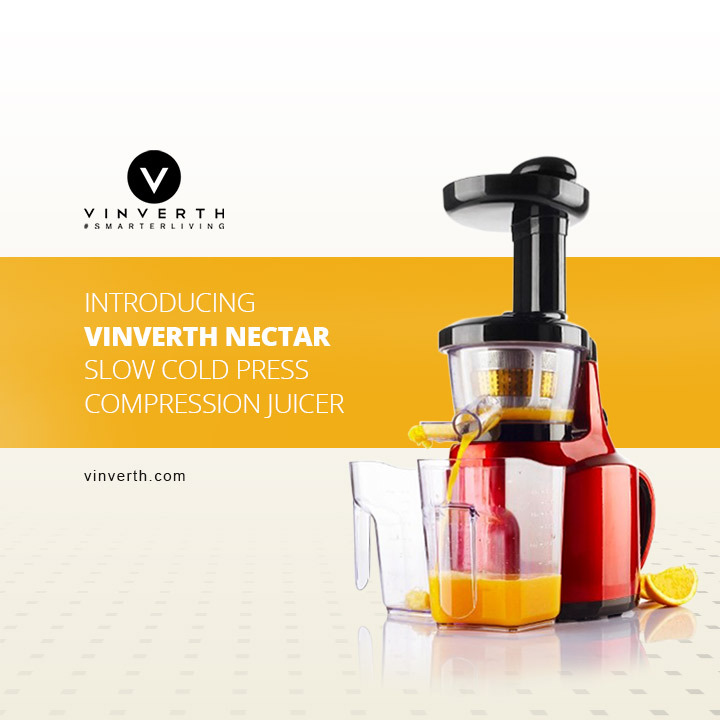 The UAE based Vinverth, a leading brand that deals in consumer electronics and home appliances approached us to maximize the sales of their multi-functional Flamber LED bulbs. 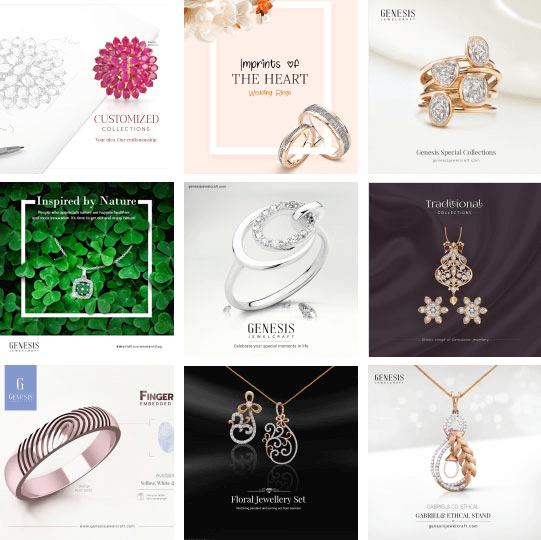 The marketing strategies we have employed on social media platforms truly succeeded in boosting product sales, increasing their brand’s visibility, and building brand loyalty. 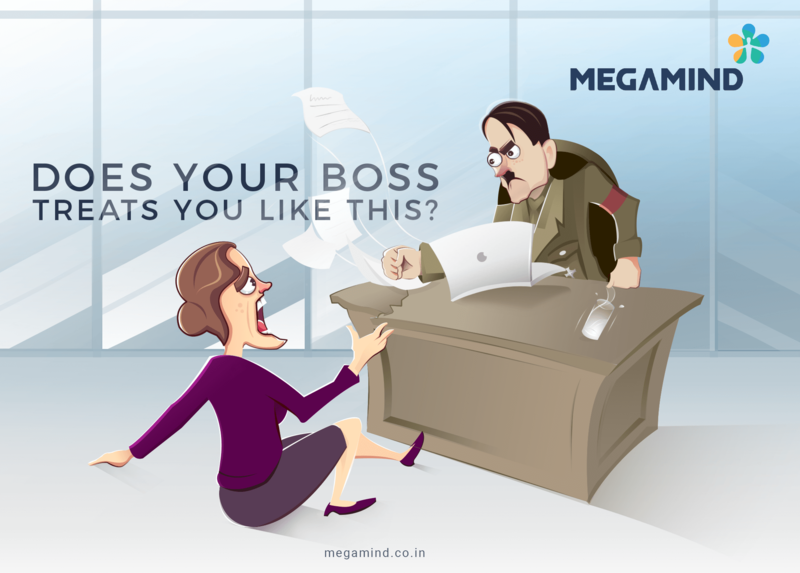 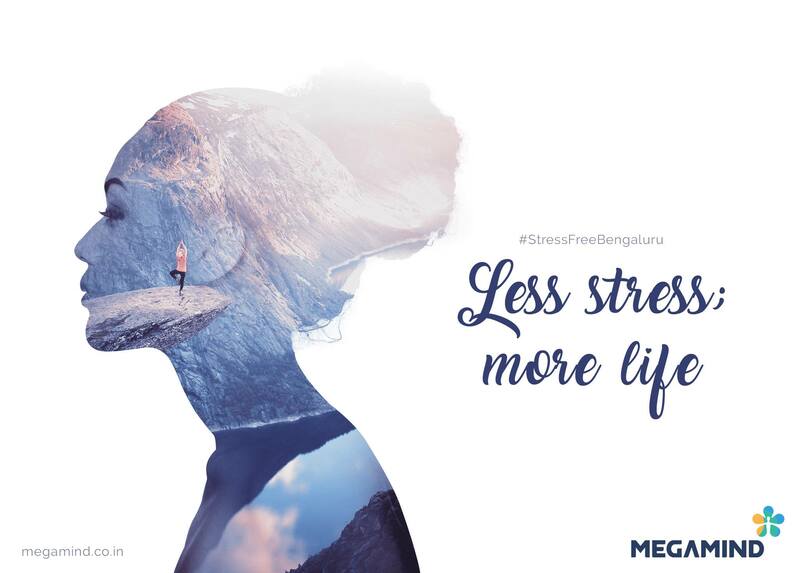 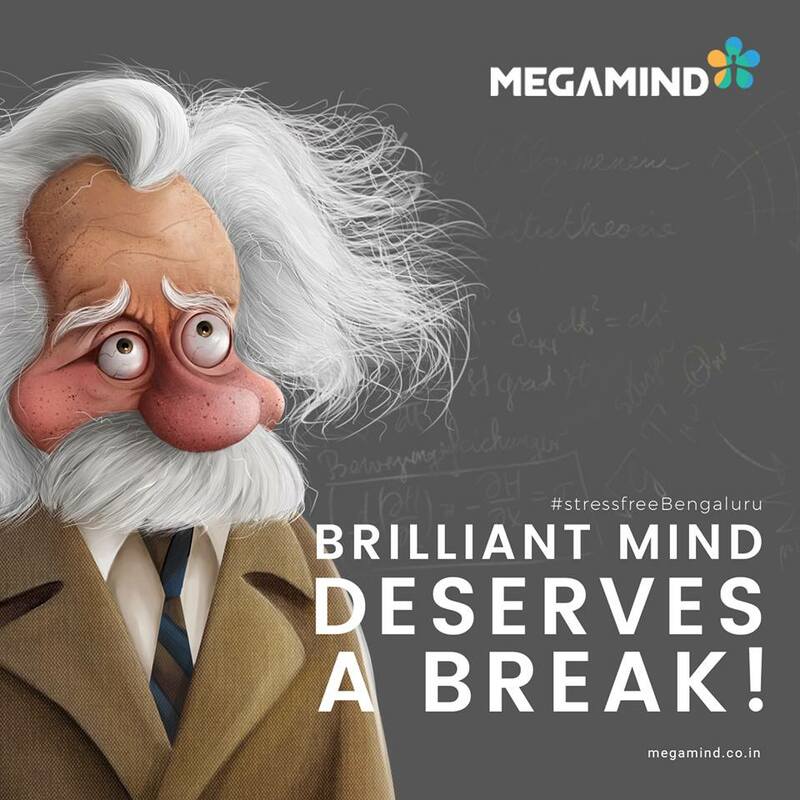 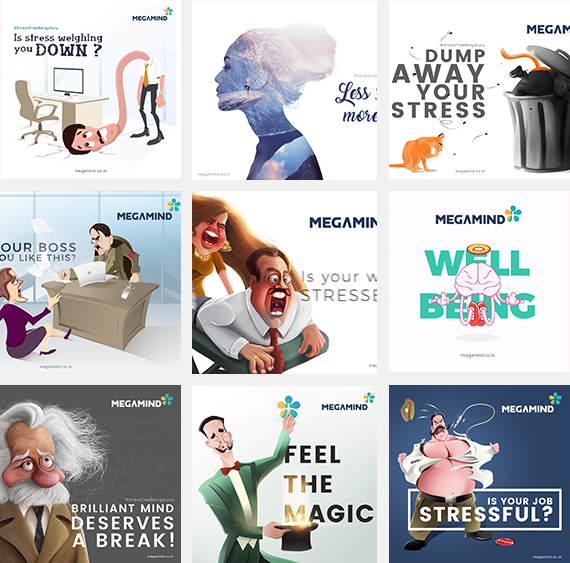 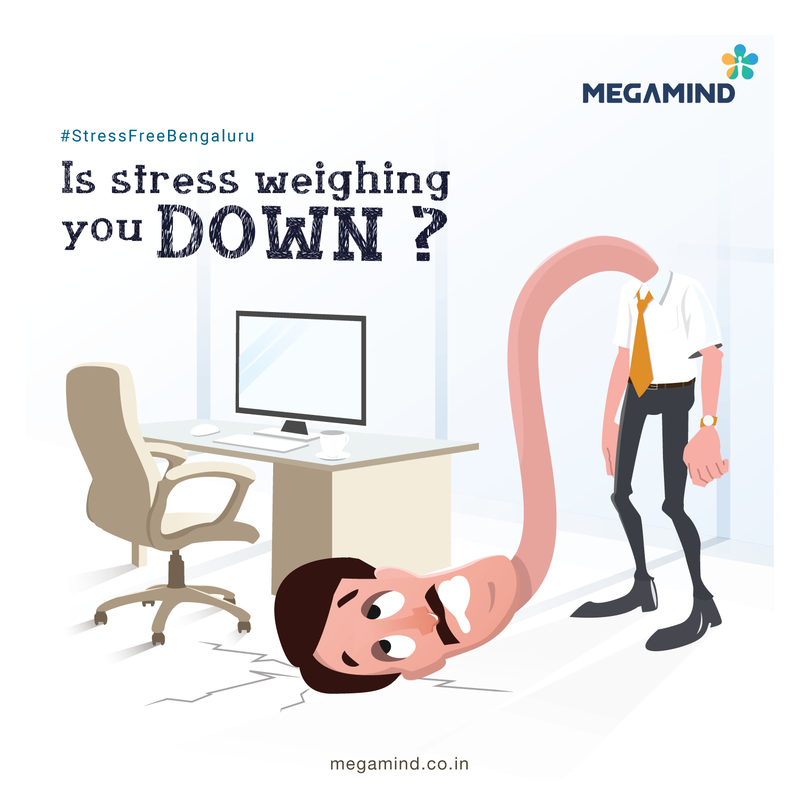 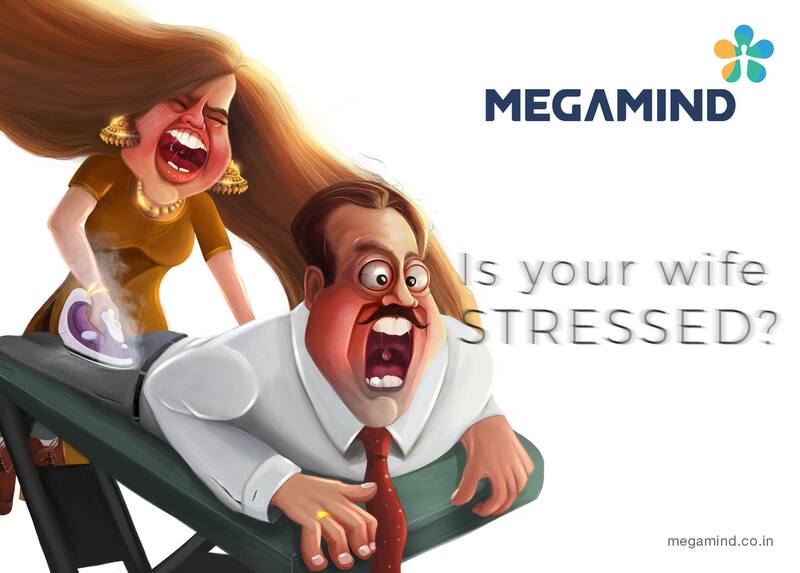 Megamind is a unique stress relief center in Bangalore, offering highly intuitive mental techniques that help to relax and unwind once true potential. 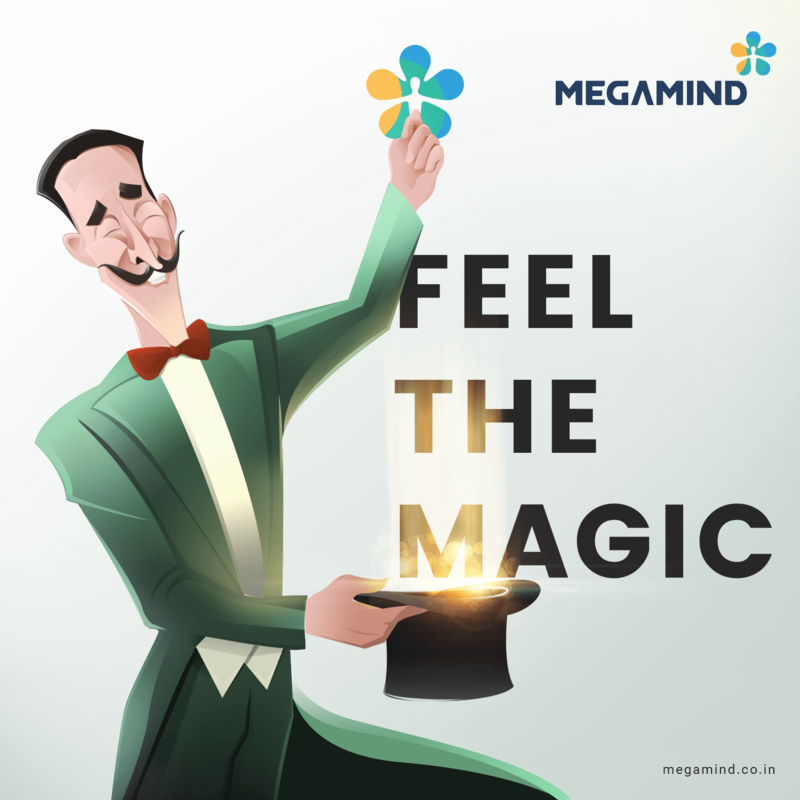 With our unique social media engagement strategy which highlighted and revealed the true capability of Megamind, we helped many to rediscover themselves. 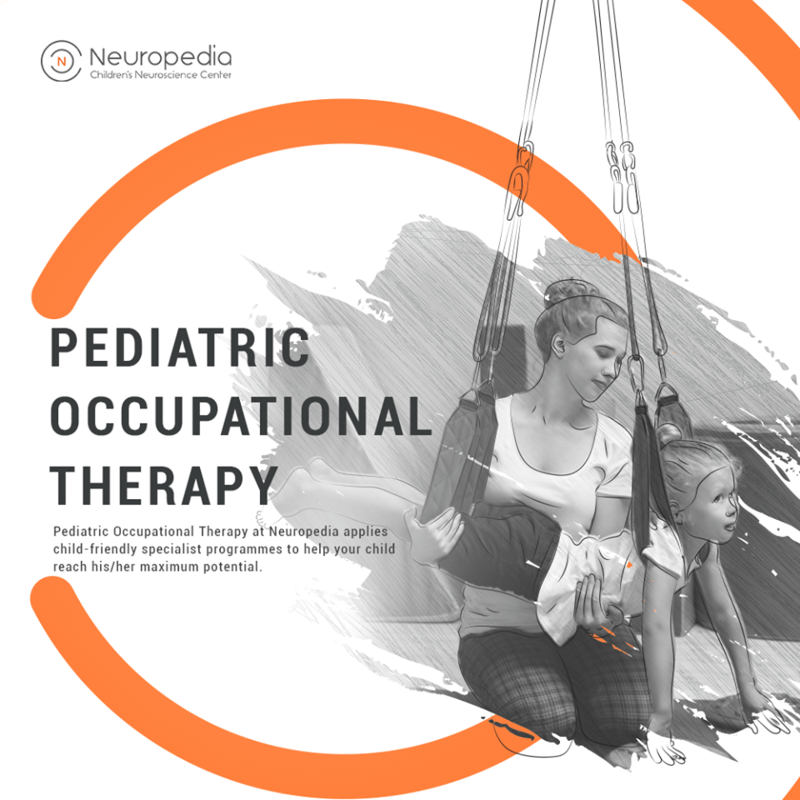 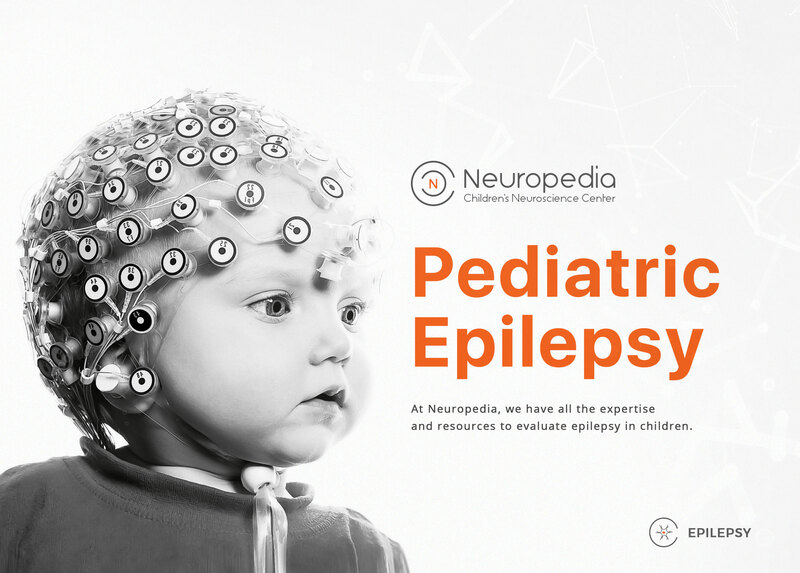 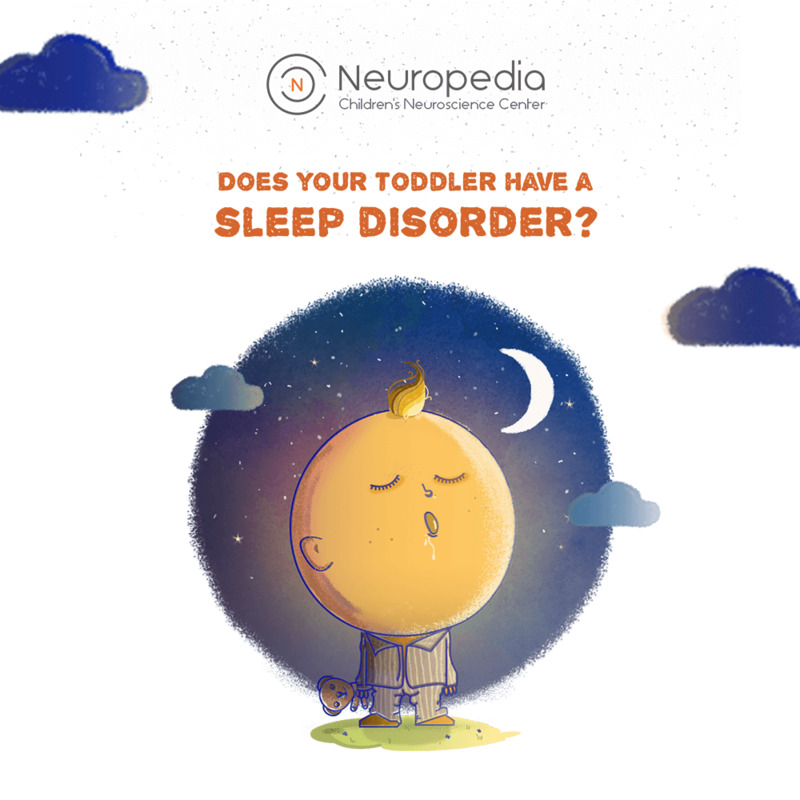 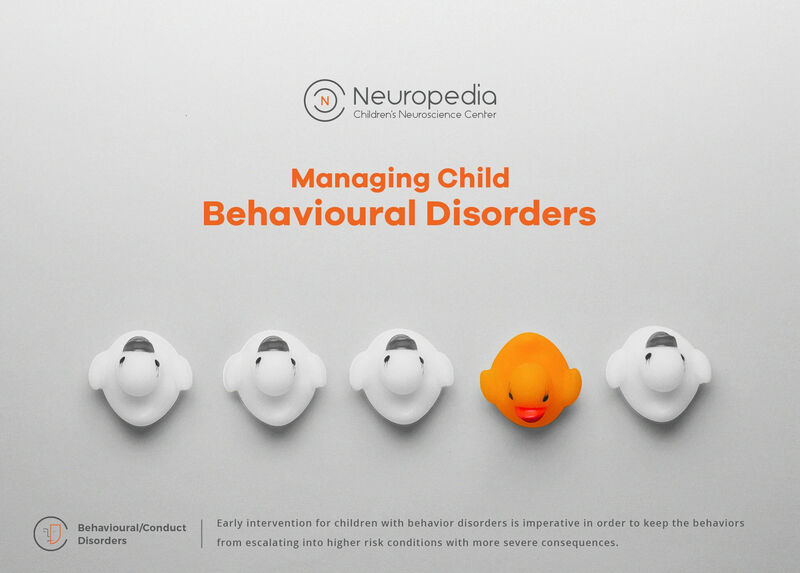 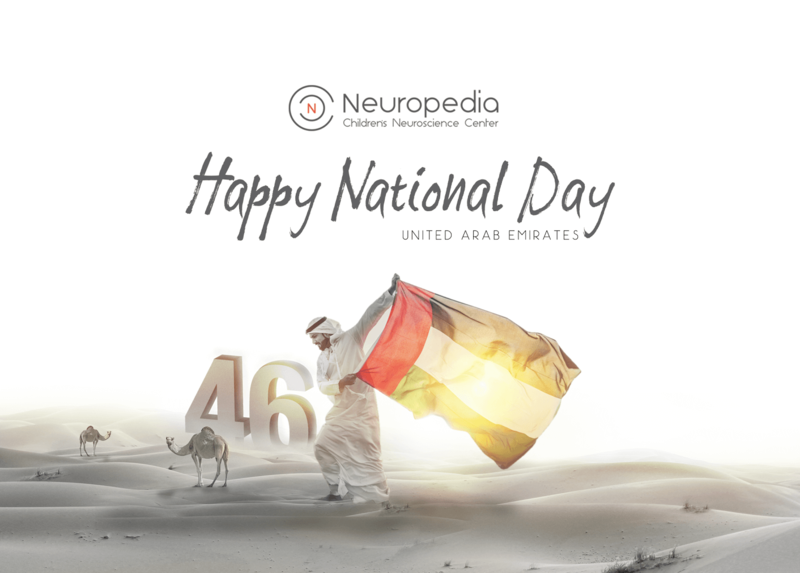 Neuropedia, a well known pediatric neurologist, who became a hand of relief to thousands of infants, wanted their services to reach every needed one. 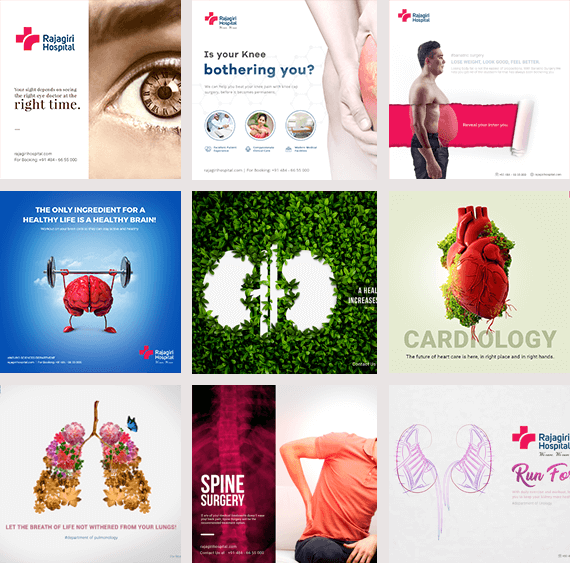 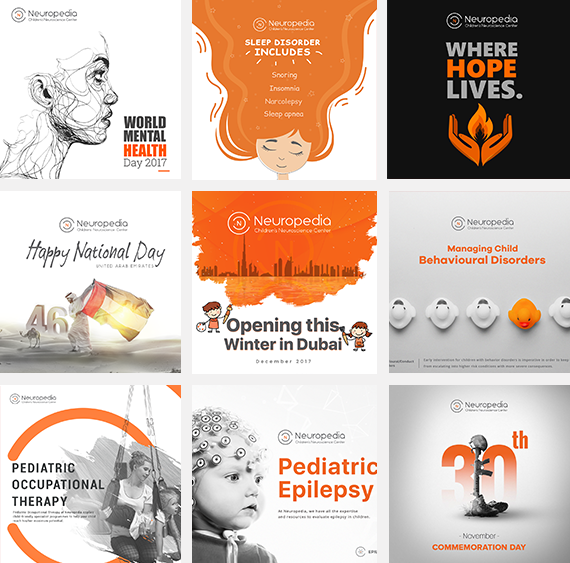 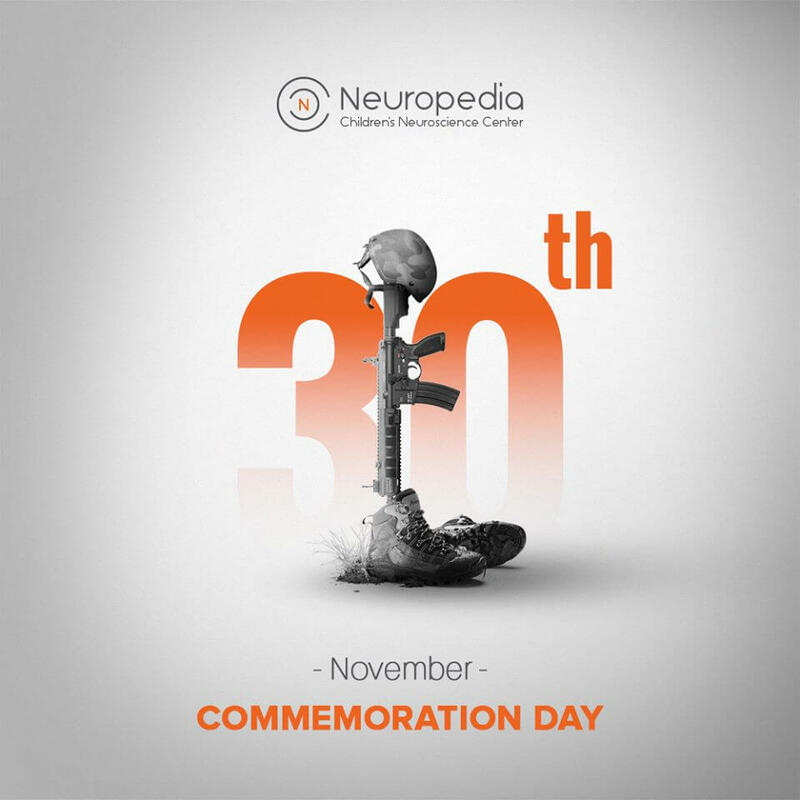 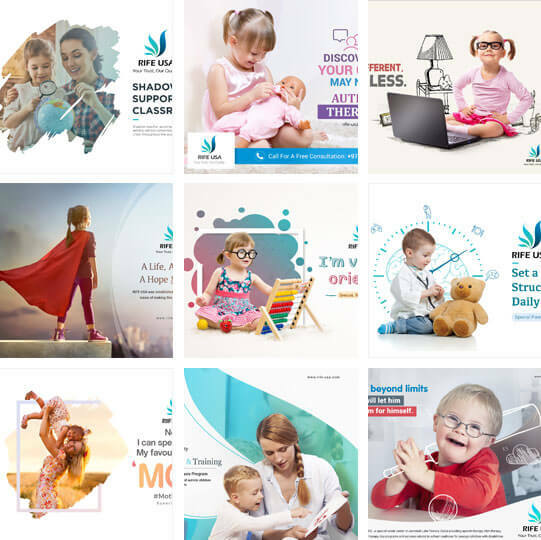 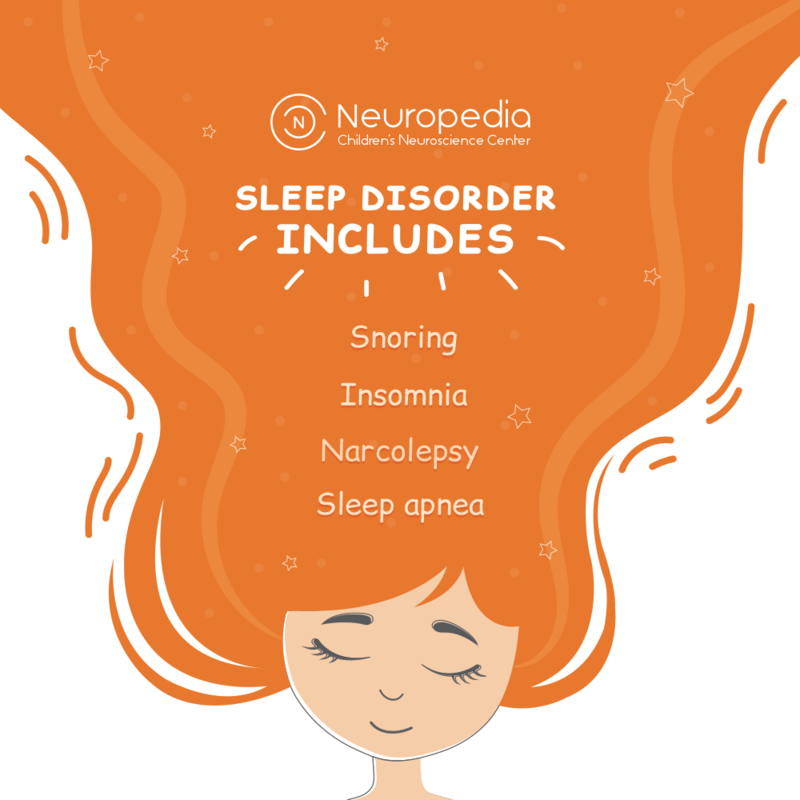 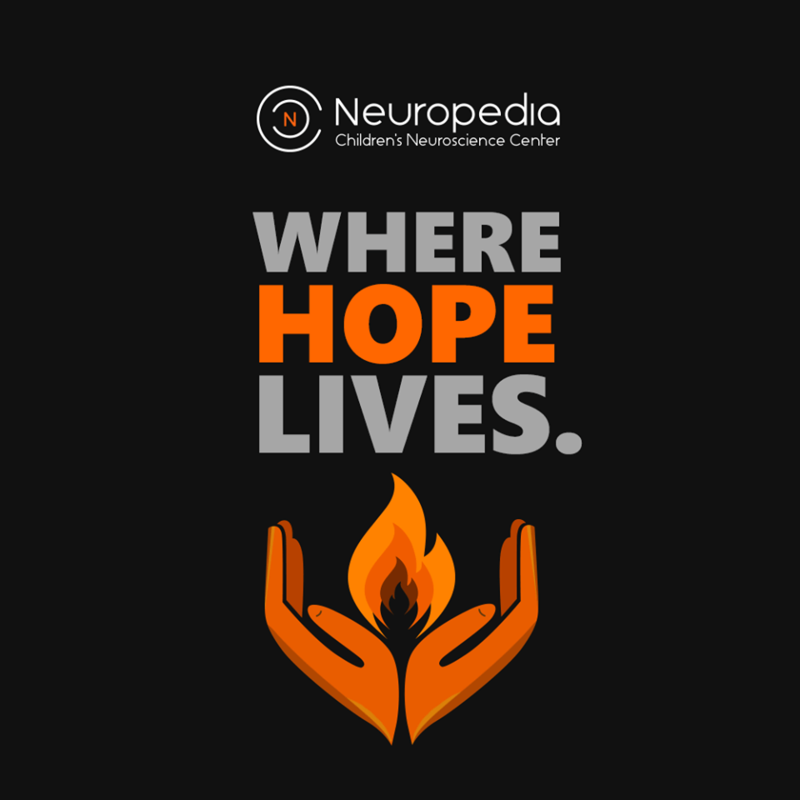 With this clear vision in mind, we formulated a campaign by incorporating the general informative contents regarding neurology which helped the audience to recognize the relevance of proper diagnosis with Neuropedia. 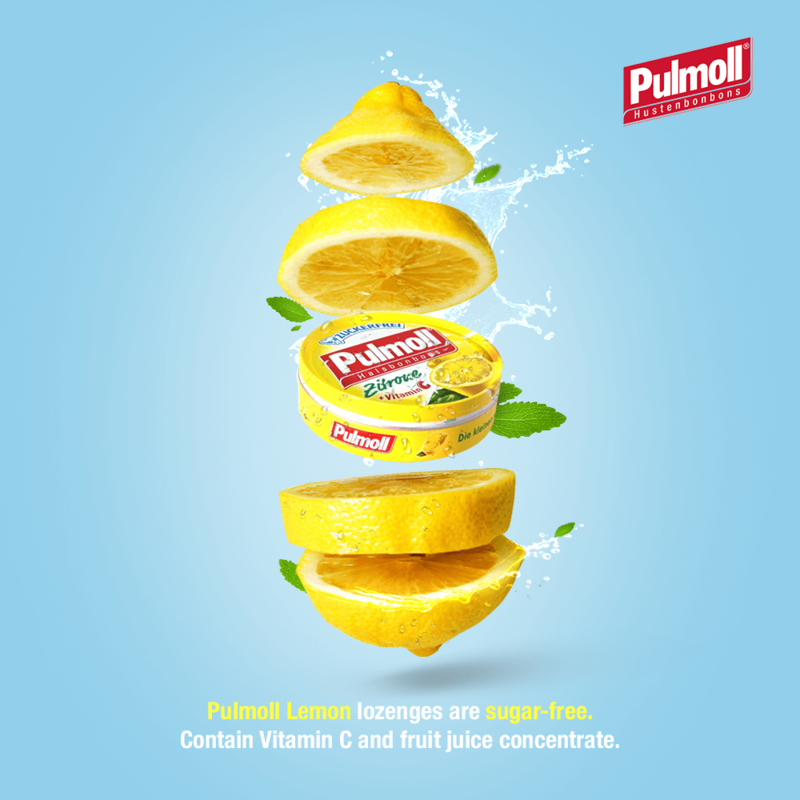 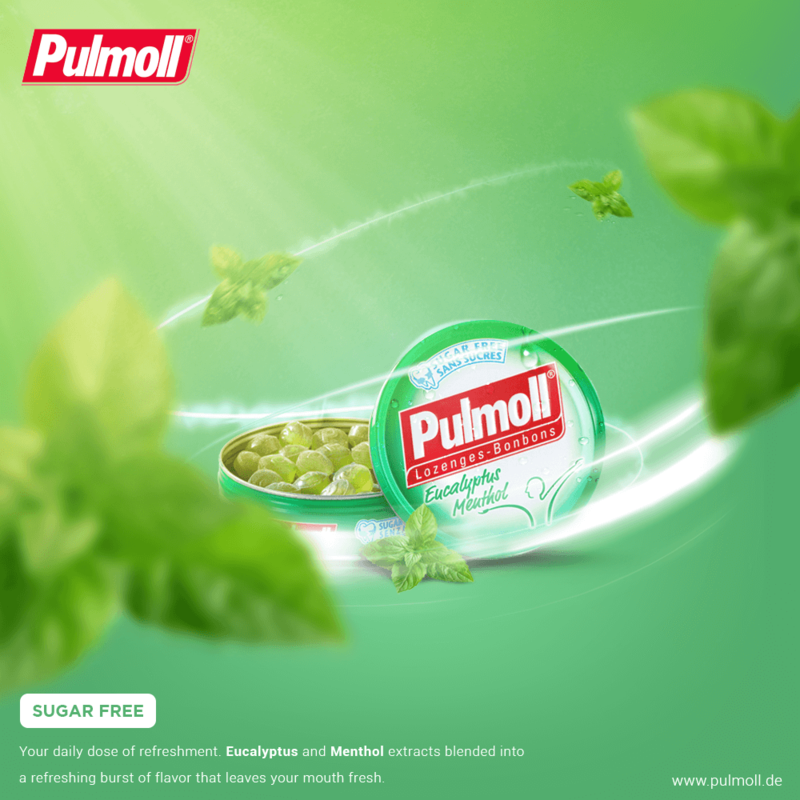 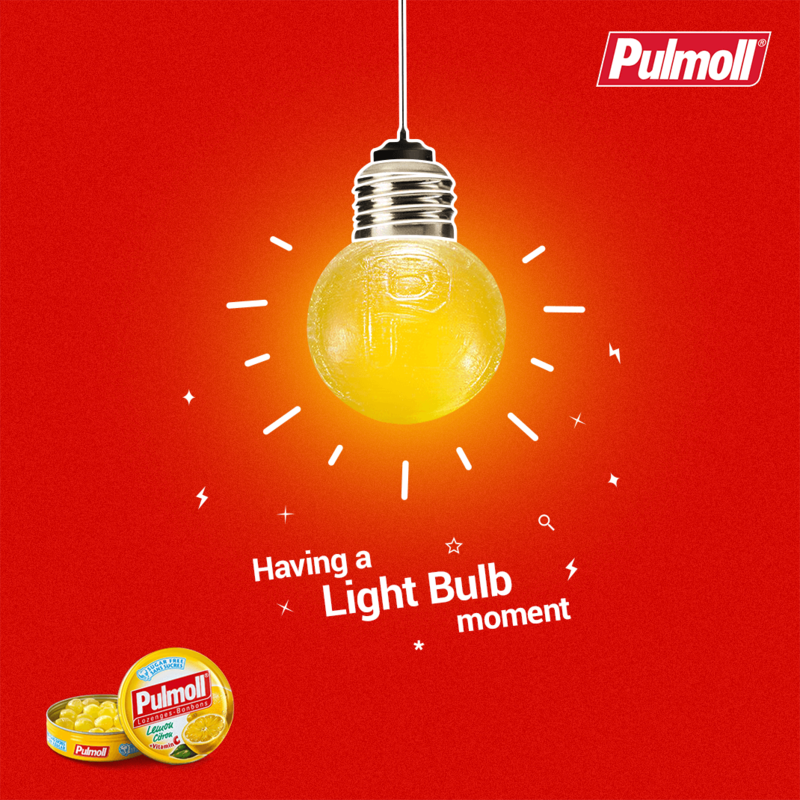 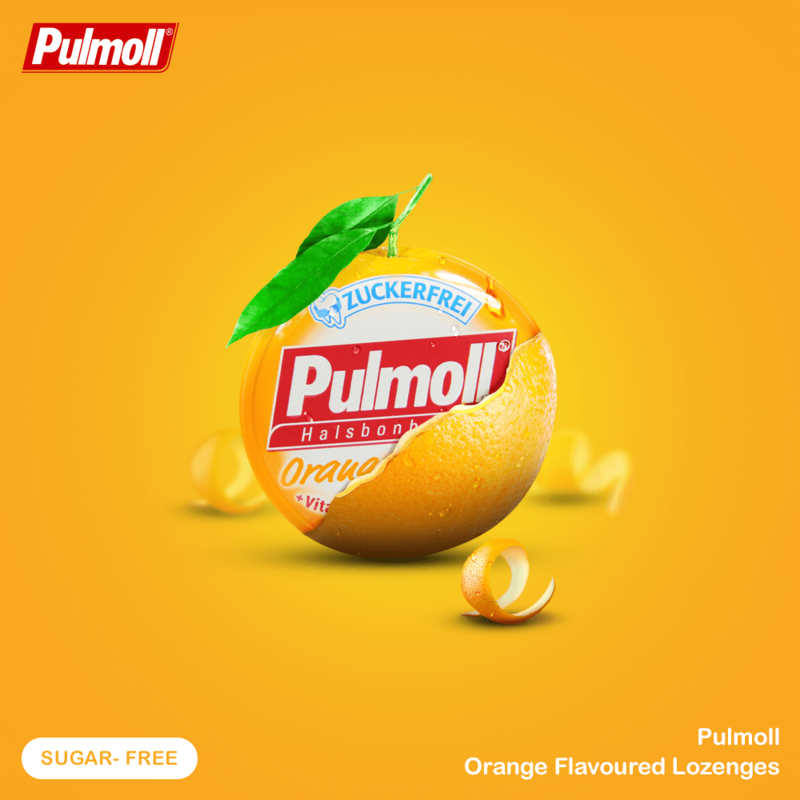 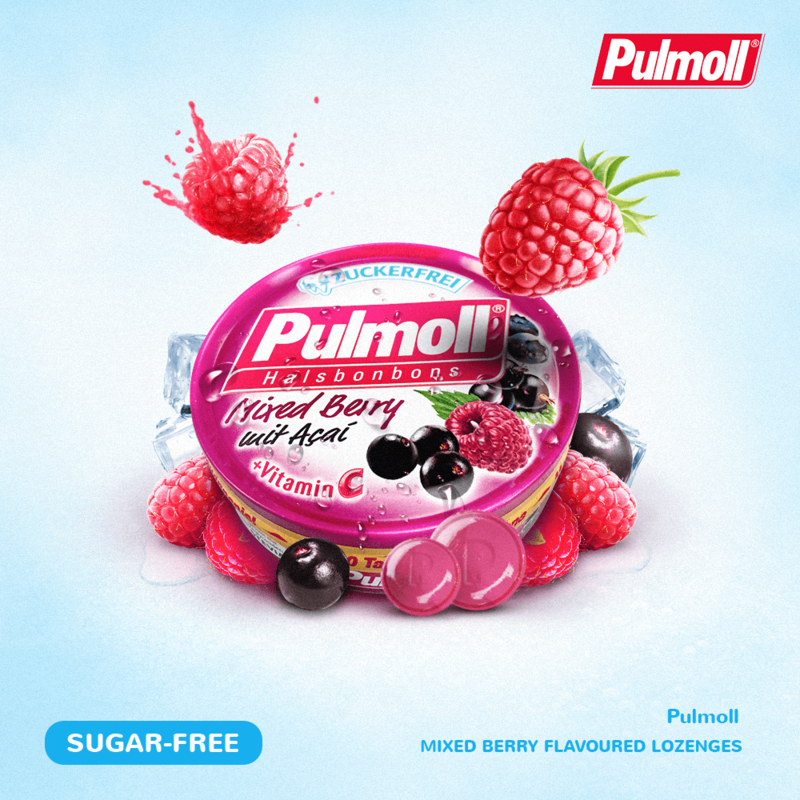 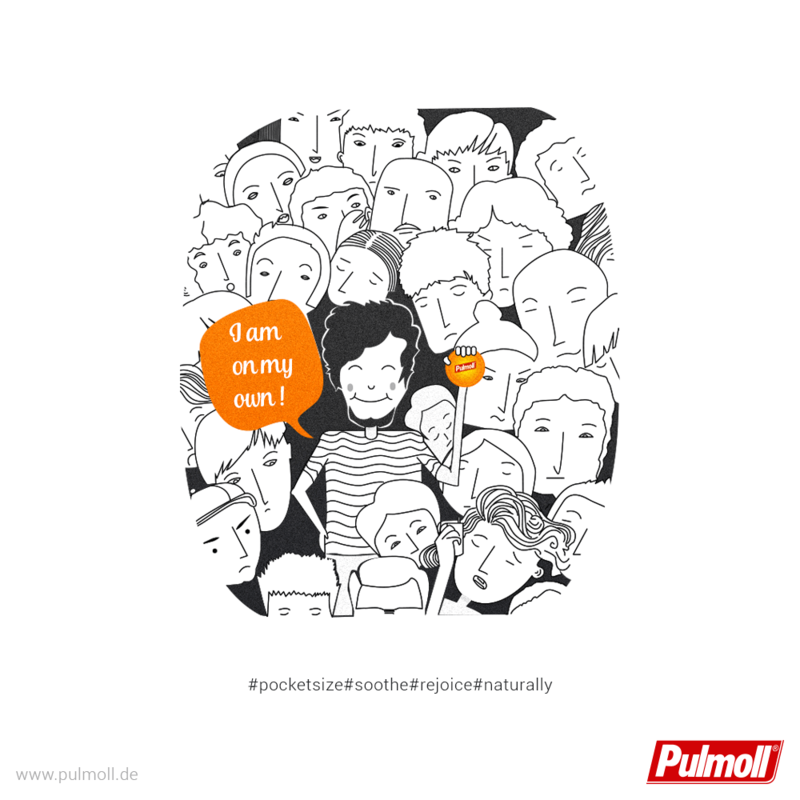 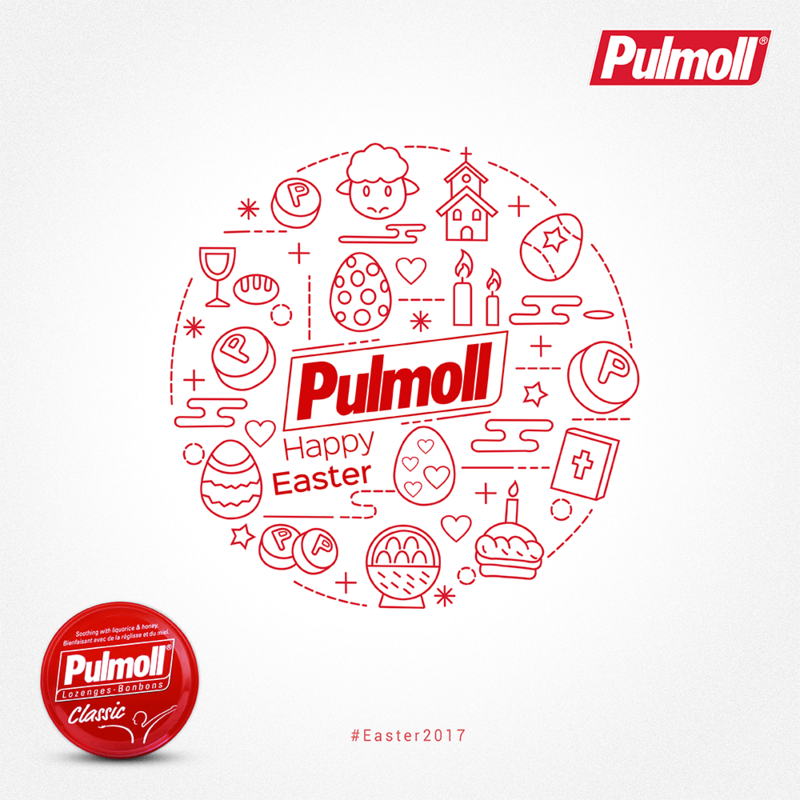 Pulmoll is one of the most successful tinned lozenge brands in German market. 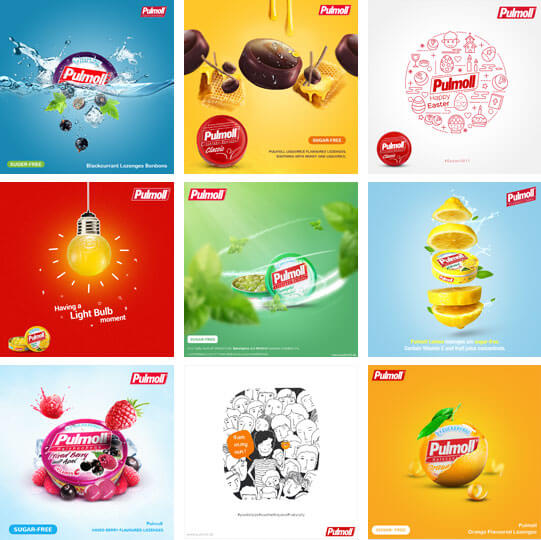 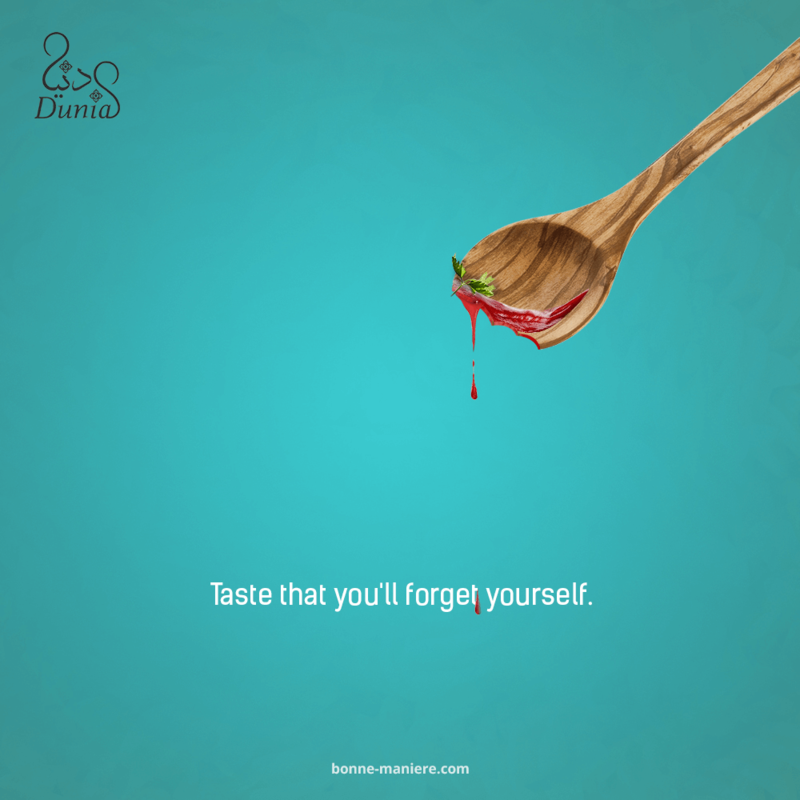 For Pulmoll Middle East we have embarked on a fun social media marketing strategy inspiring imagination with the Pulmoll pastilles, with a variety of engaging gifs and images that helped promote product awareness in the newly-entered expansion market. 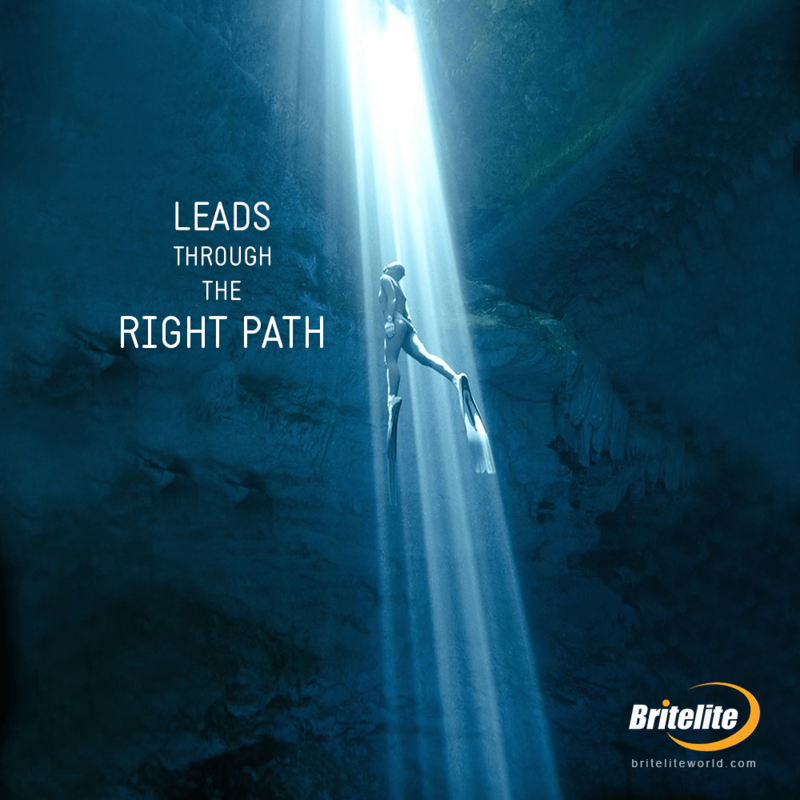 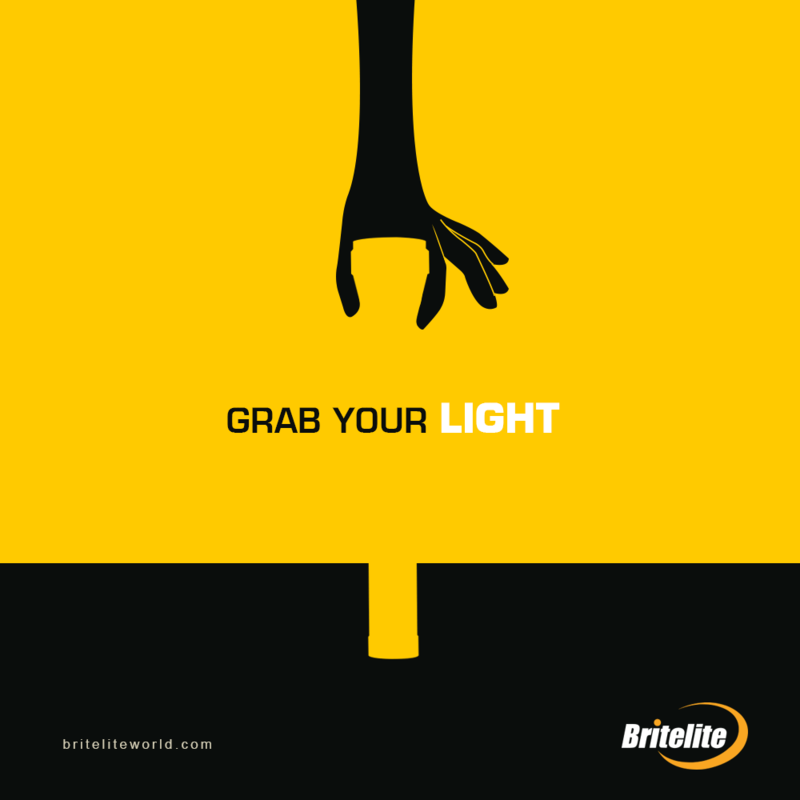 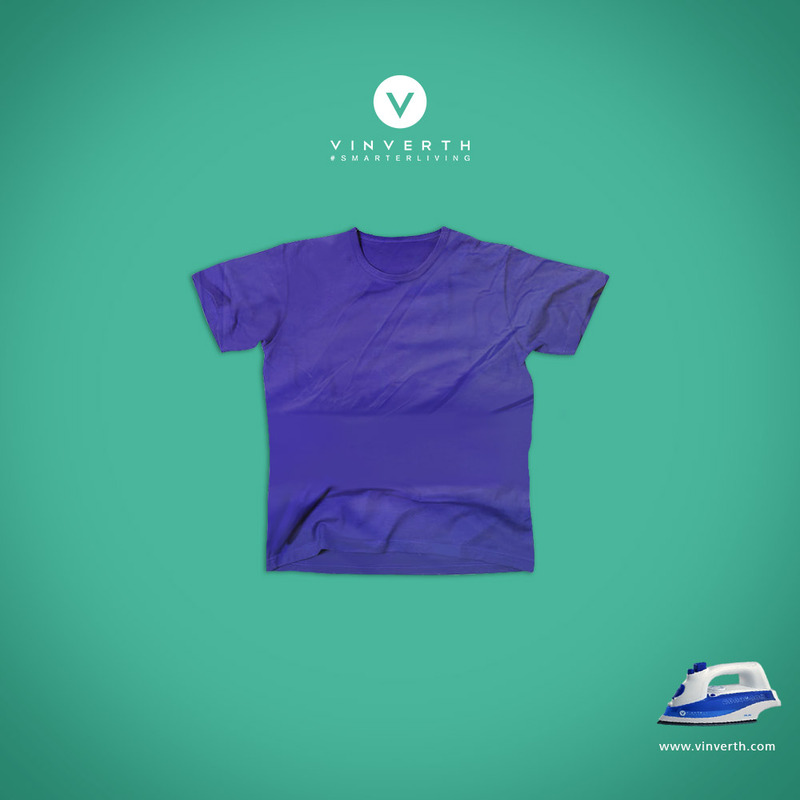 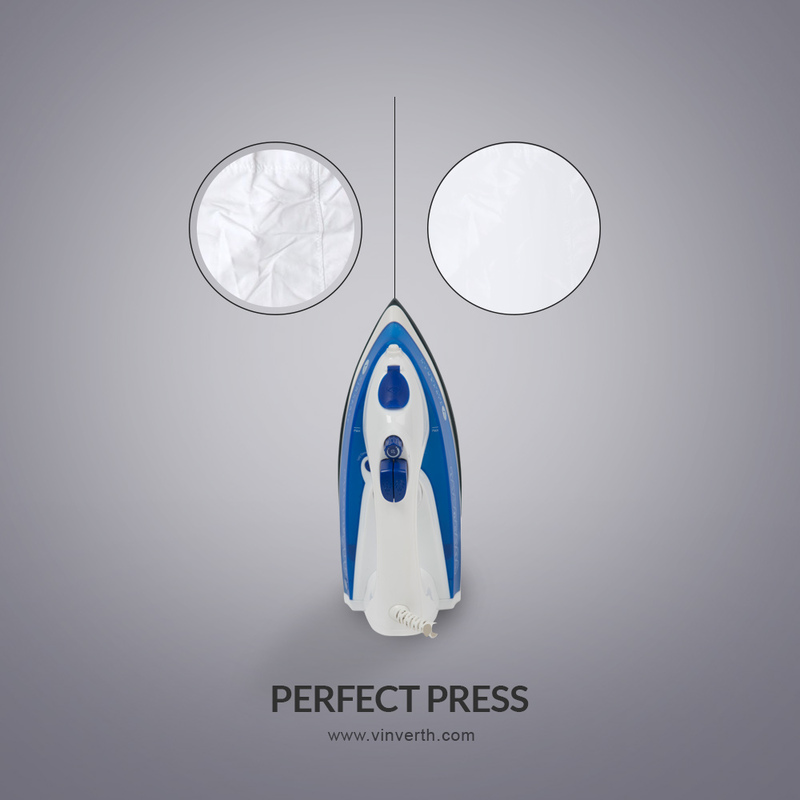 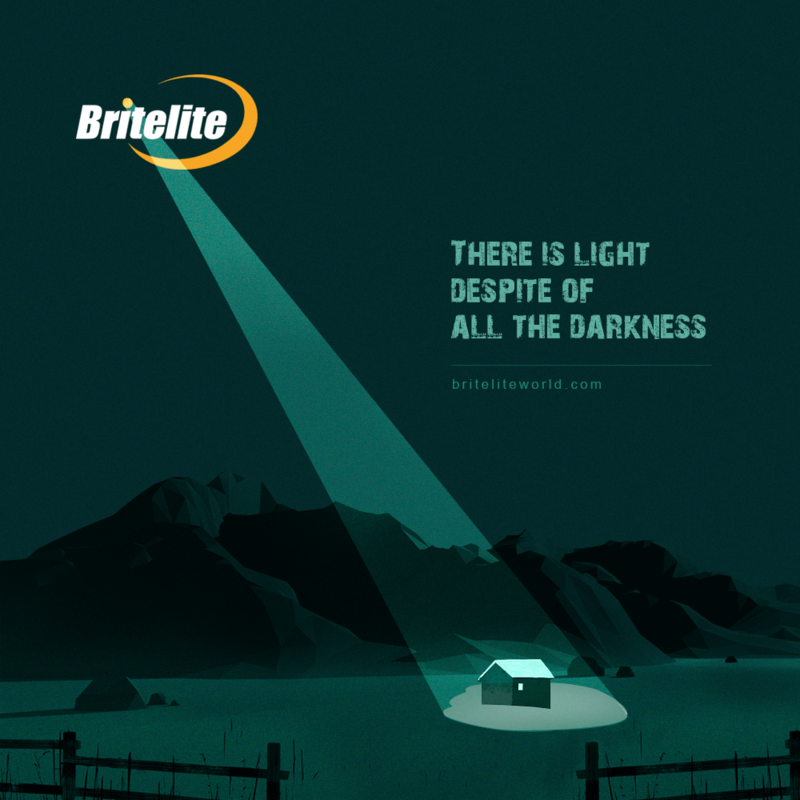 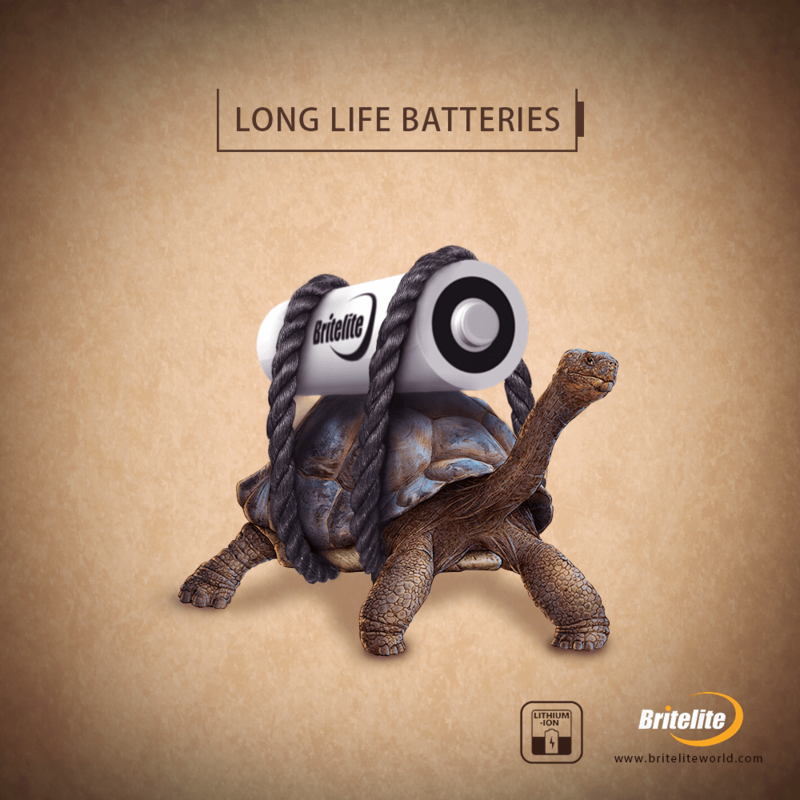 With Britelite we had a unique challenge of finding an infinite number of ways to feature a single product so that their social media posts stays fresh and interesting. 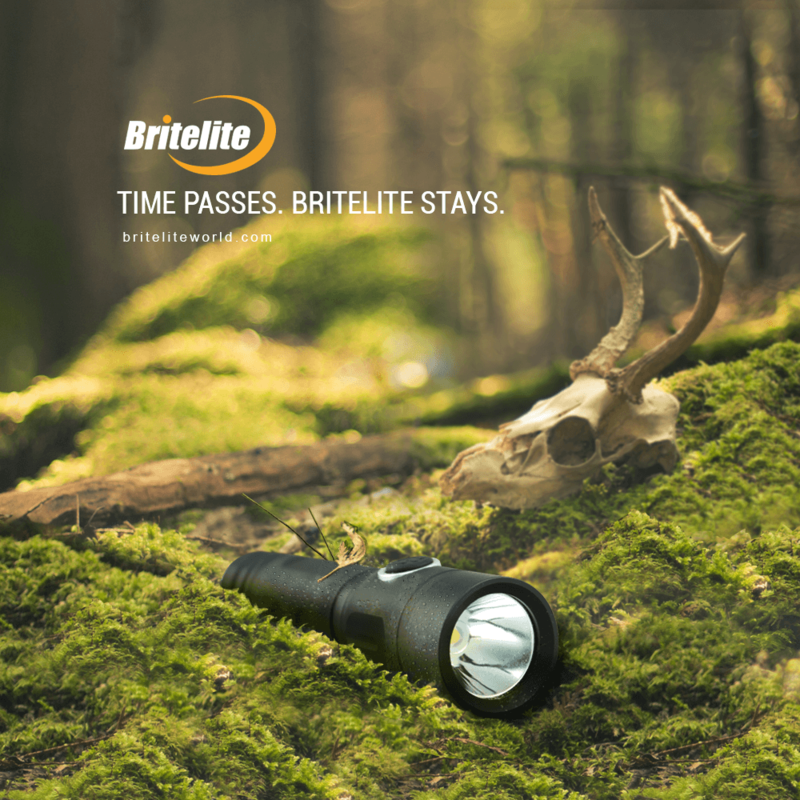 The page is on-brand and clearly displays the utility of the product they are selling – rechargeable flashlights. 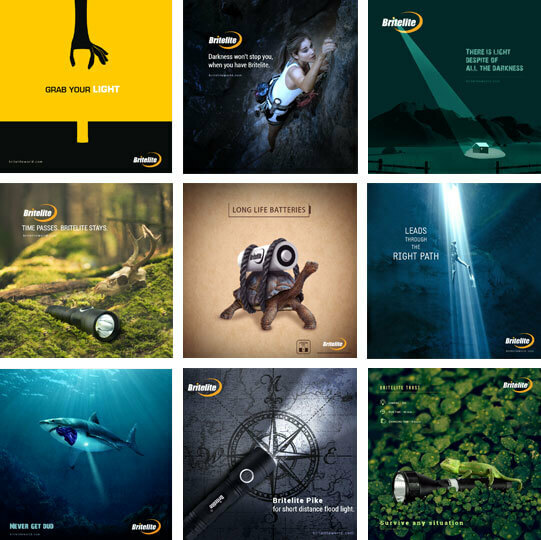 We have cross-promoted posts to other channels which greatly improved the chances of being seen. 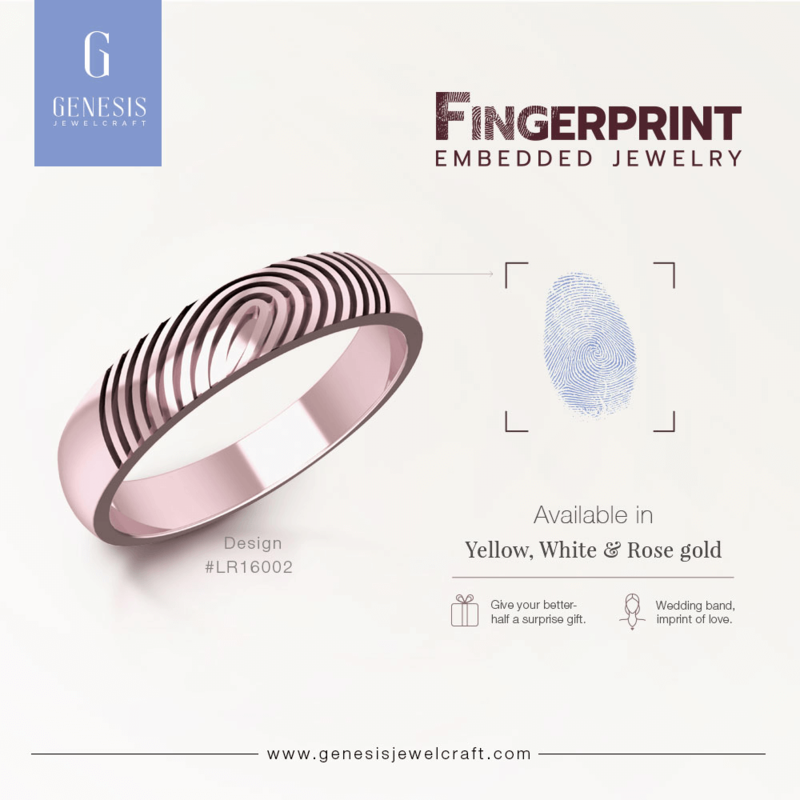 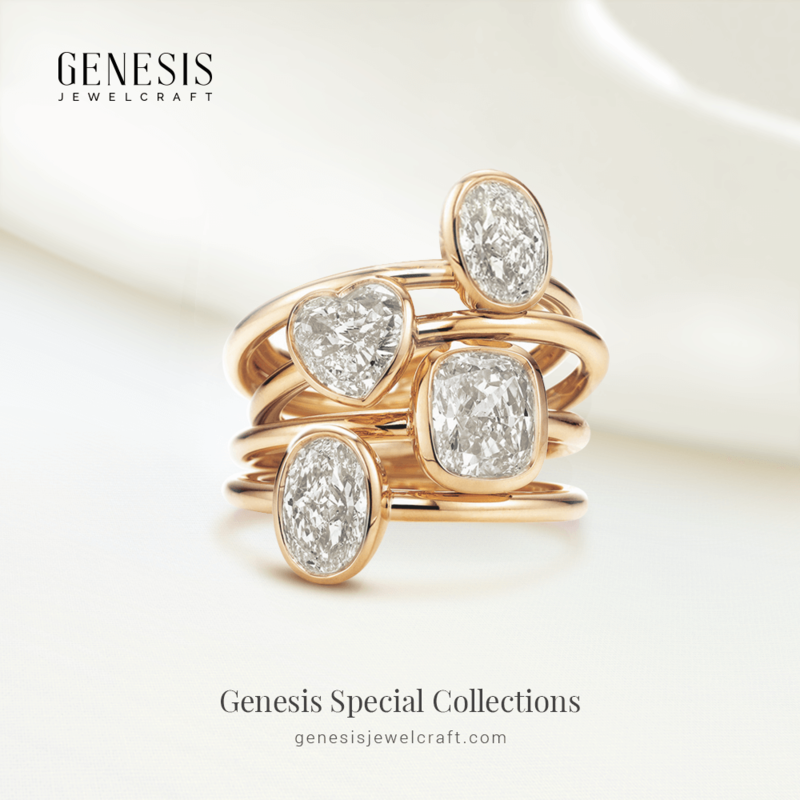 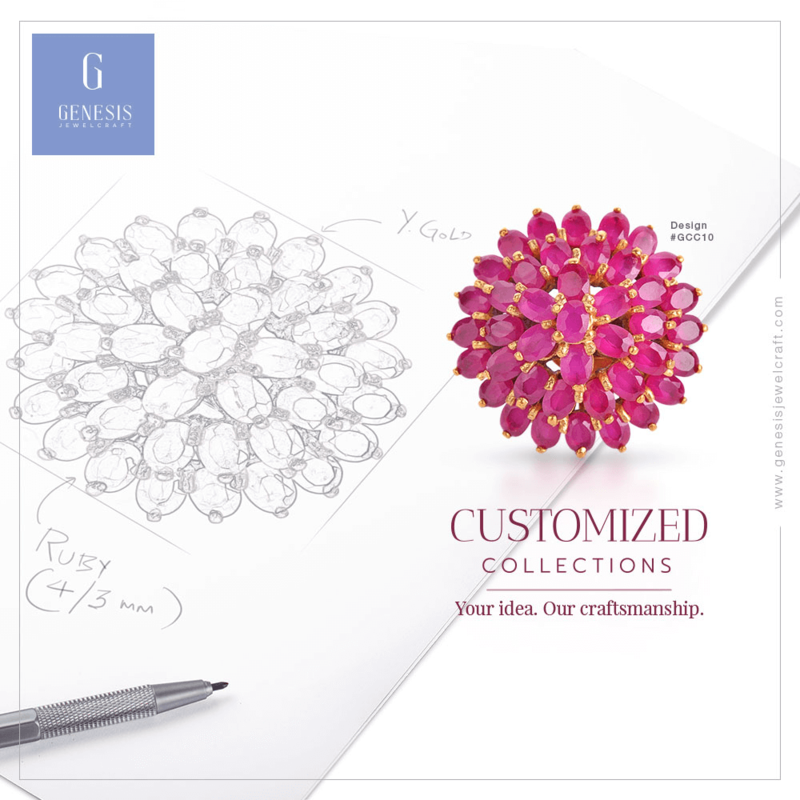 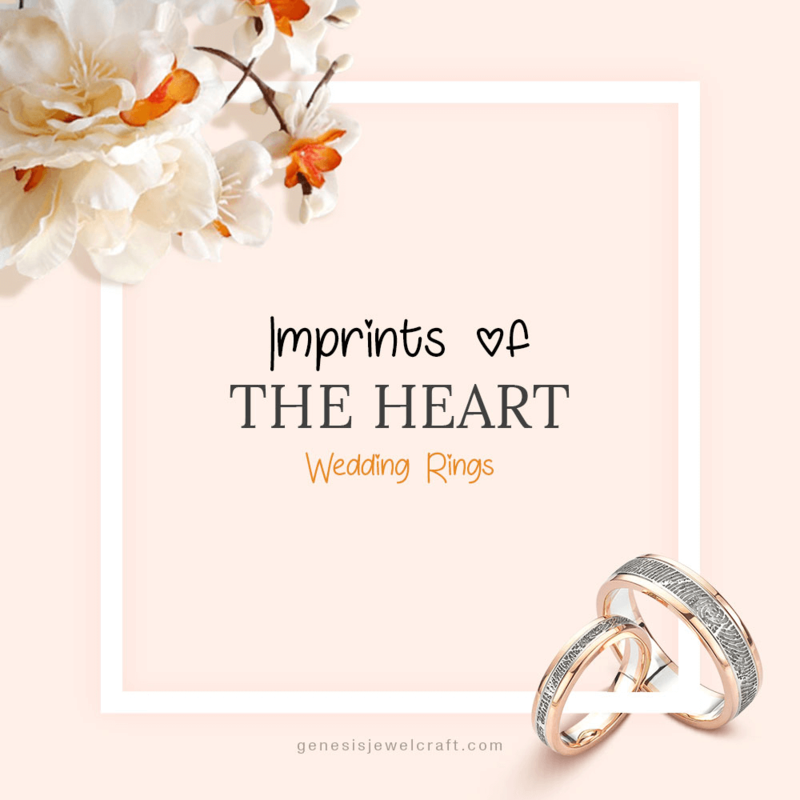 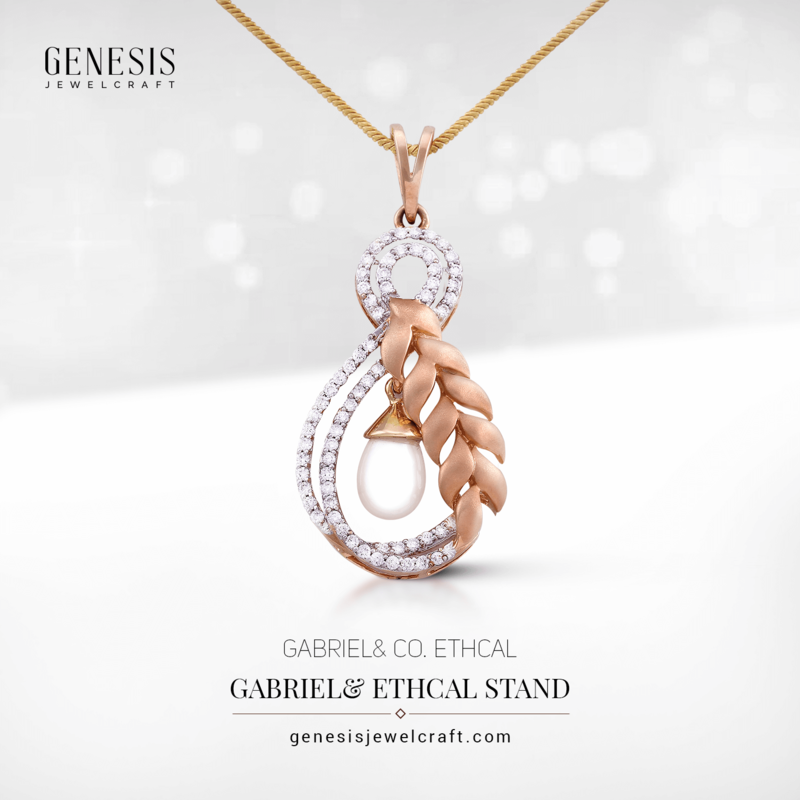 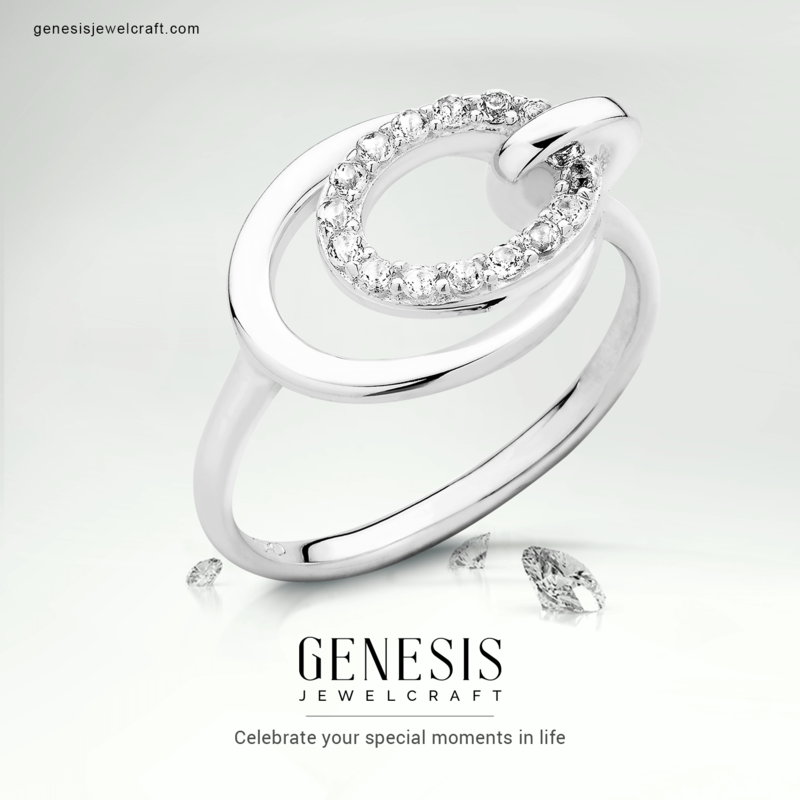 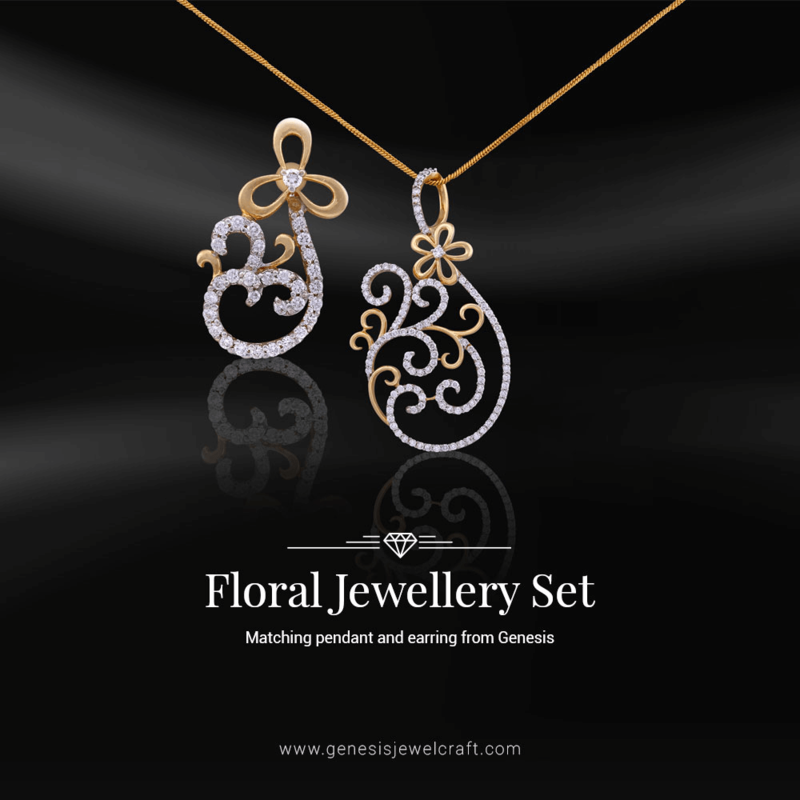 For Genesis Diamonds, collaboration with Webandcrafts was an unprecedented advertising opportunity that cuts out traditional advertising middlemen and connects their jewelry business directly with clients and perhaps even more importantly, their potential future clients. 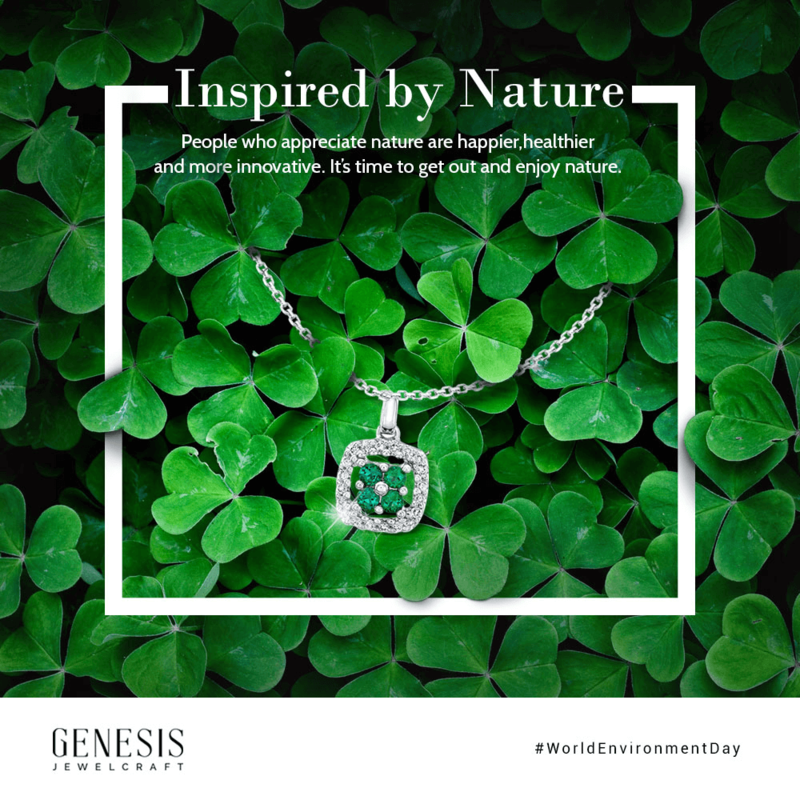 Our social media engagement tactics to boost shares and conversions proved extremely useful for Genesis. 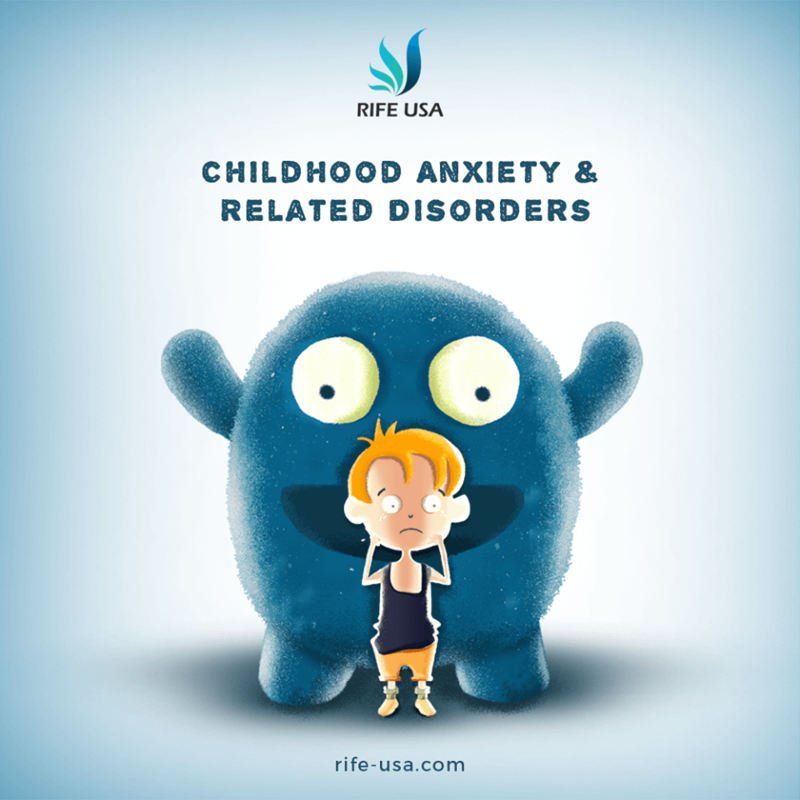 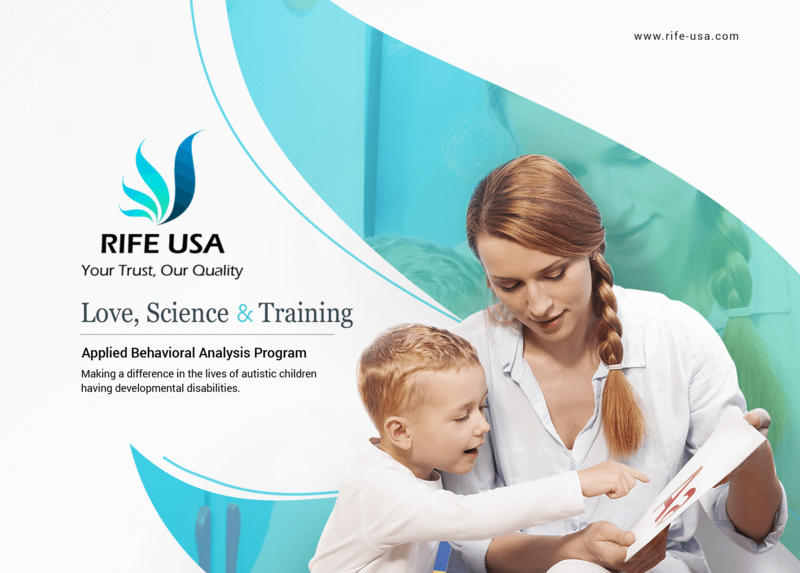 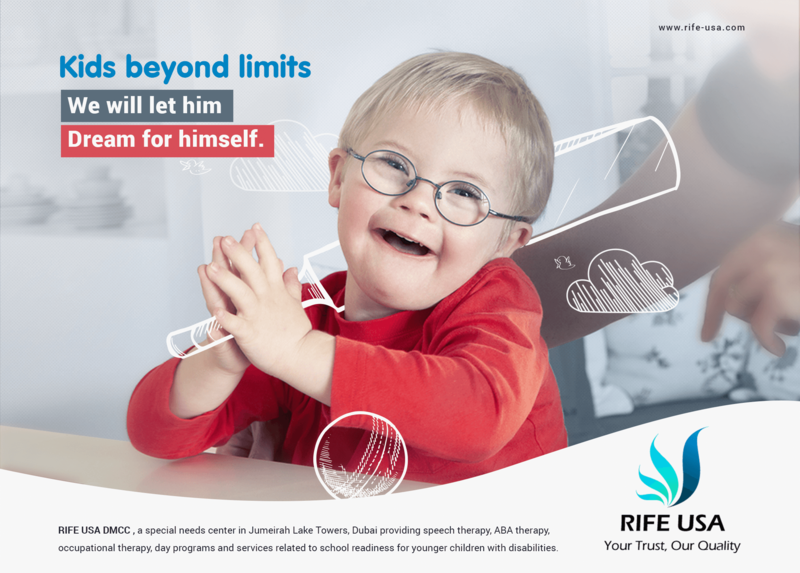 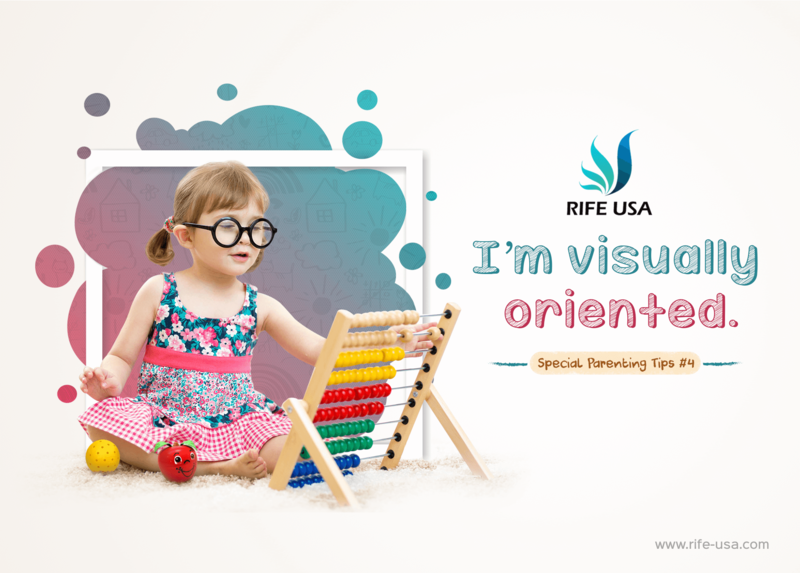 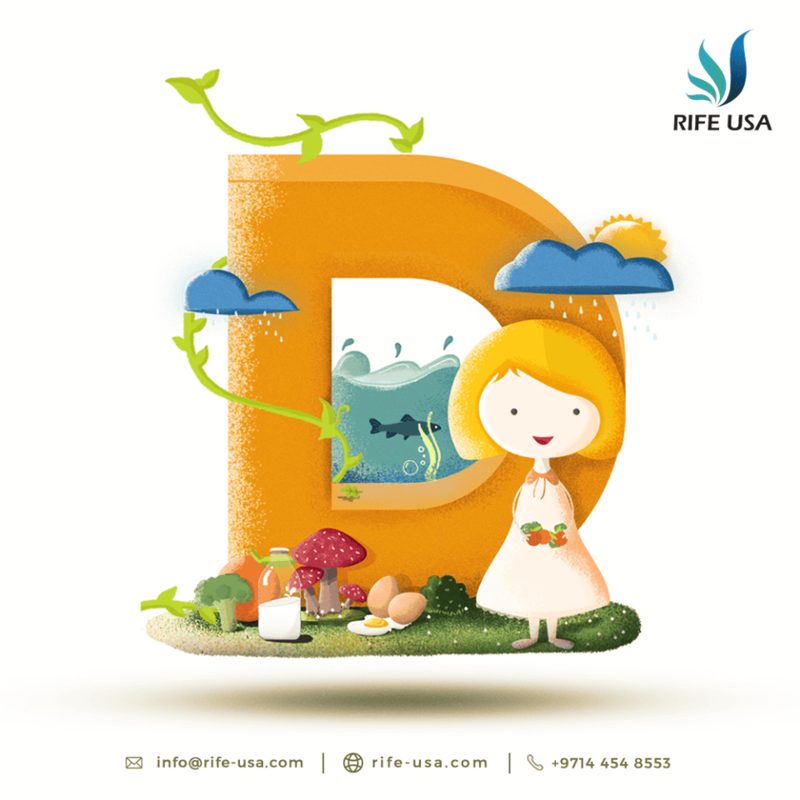 RIFE USA is a special needs center in Dubai providing treatments for ASD and related disorders. 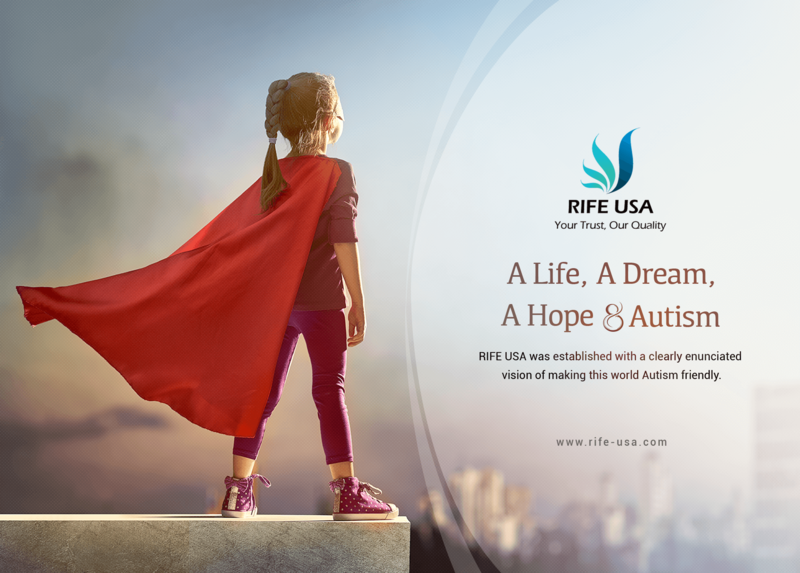 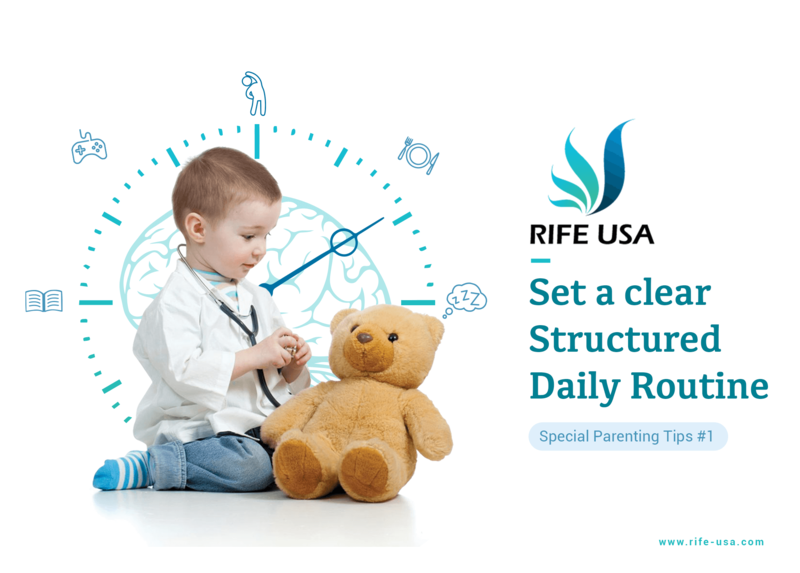 RIFE wanted to generate interest in its service offerings among Autism community networks, but do it in a way that is memorable, and not preachy or intrusive, and creates the need for appropriate interventions and supports. 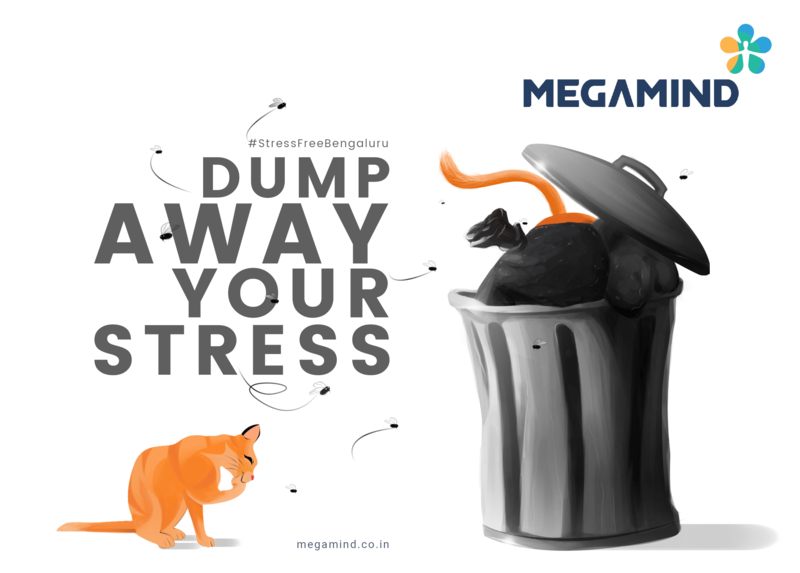 A good plan, well executed. 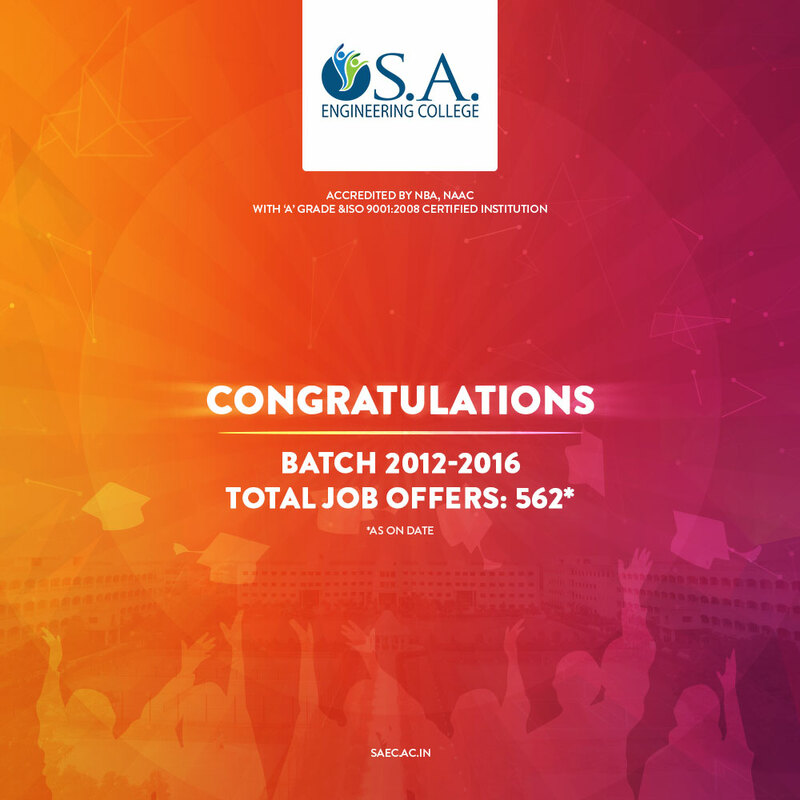 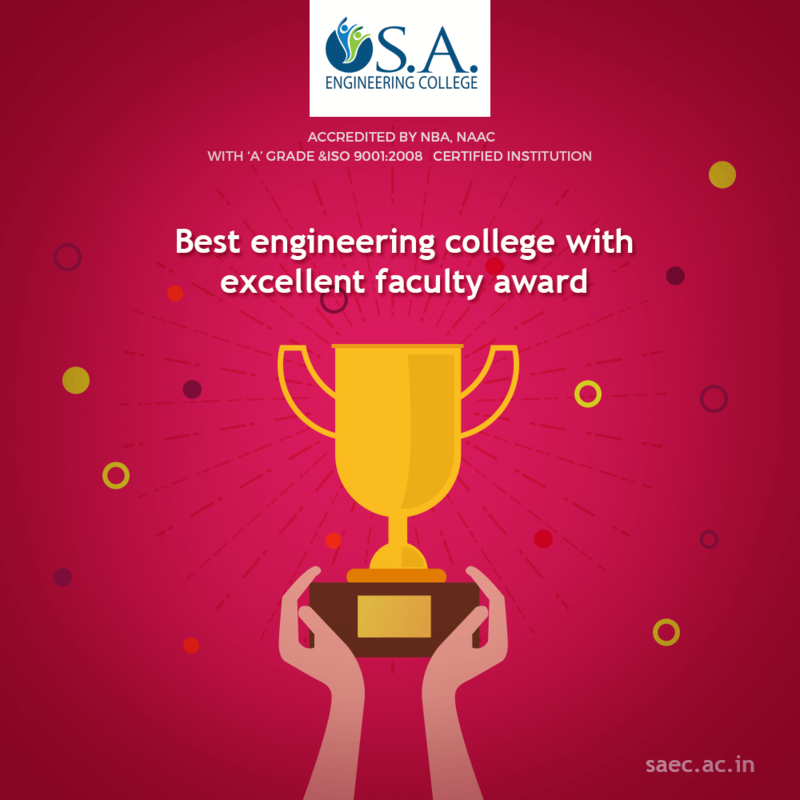 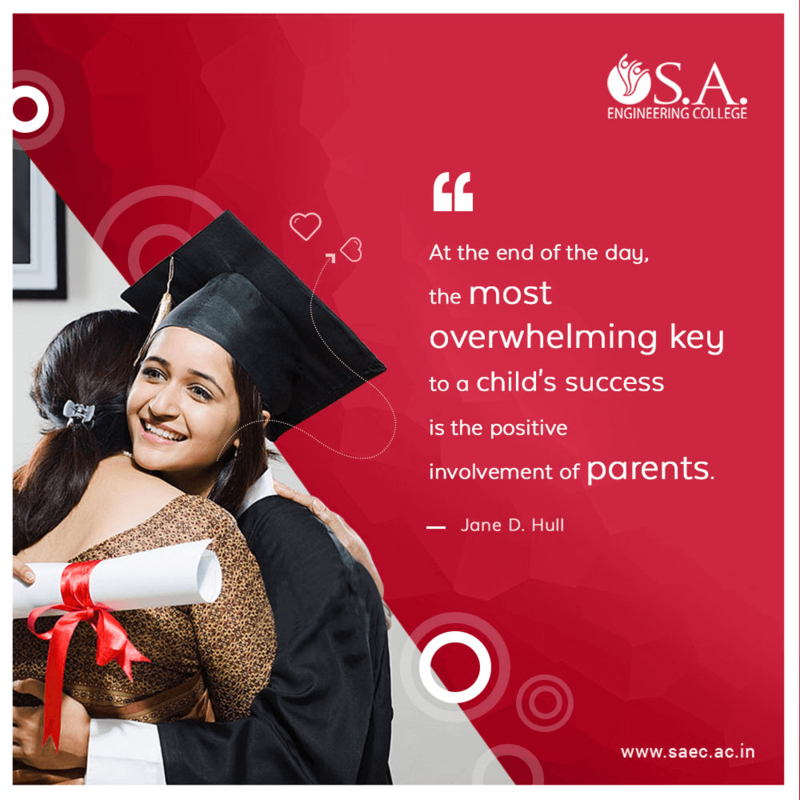 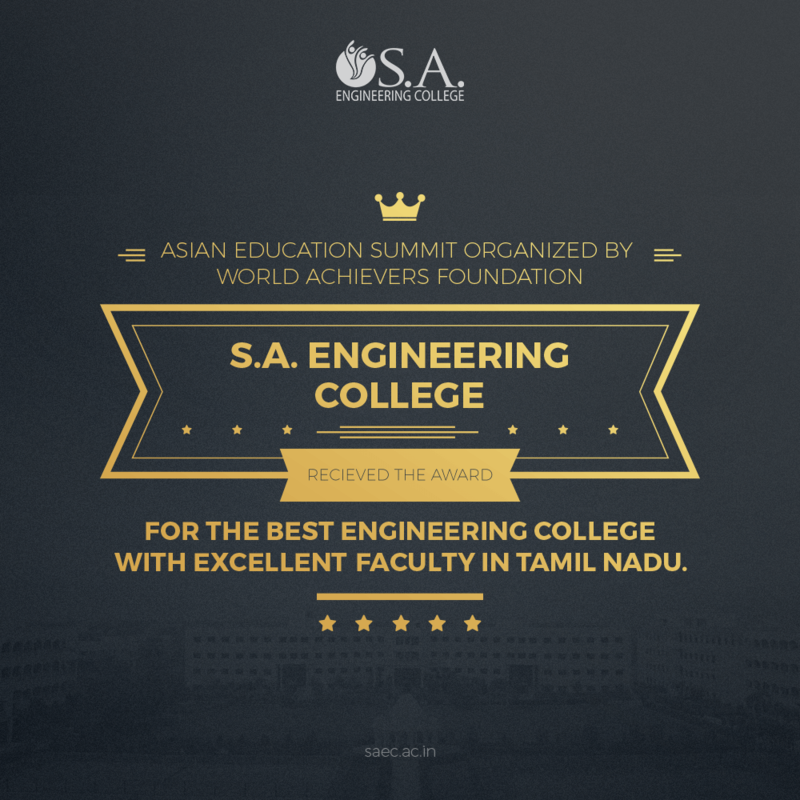 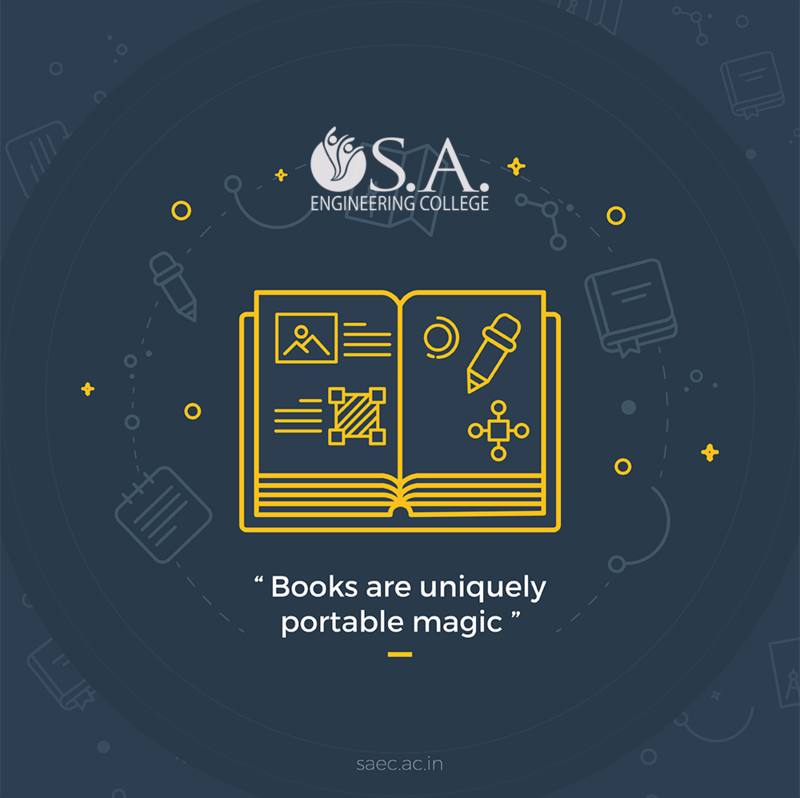 Given its propensity for youth-oriented and trendy marketing, it was no surprise that SA Engineering College has acquired a social media presence that any other educational institution would envy. 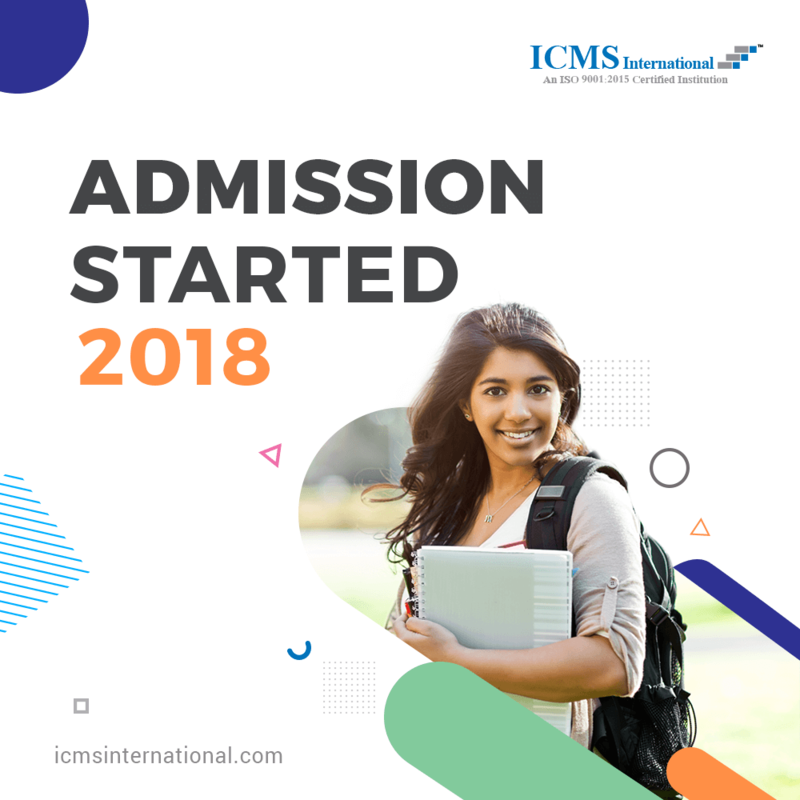 Through an active and phenomenal presence on social media, we have not only kept their spectators posted, but had also garnered thousands of applications from prospective students. 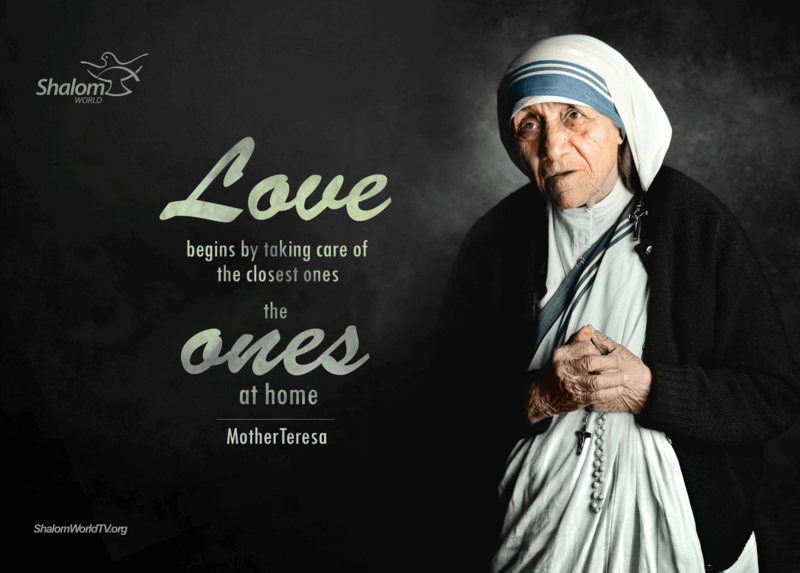 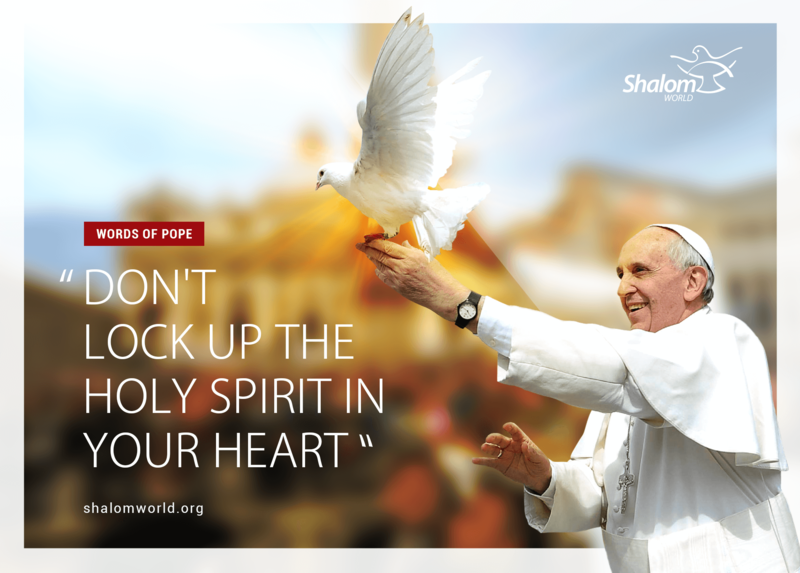 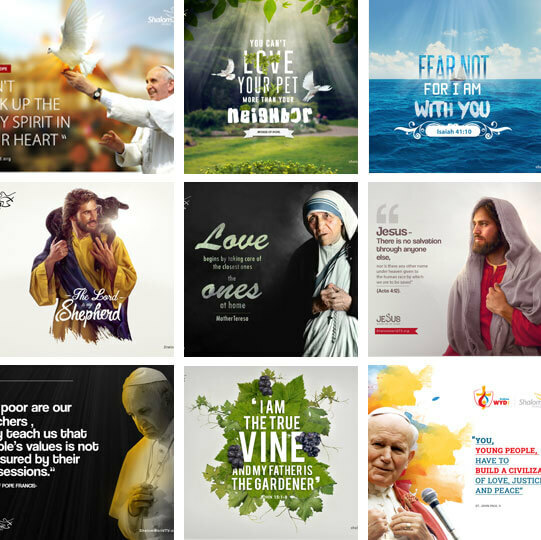 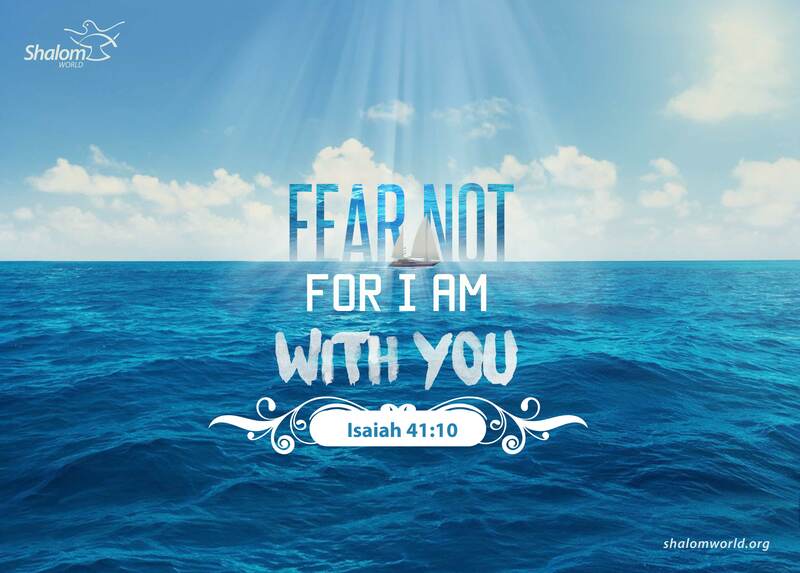 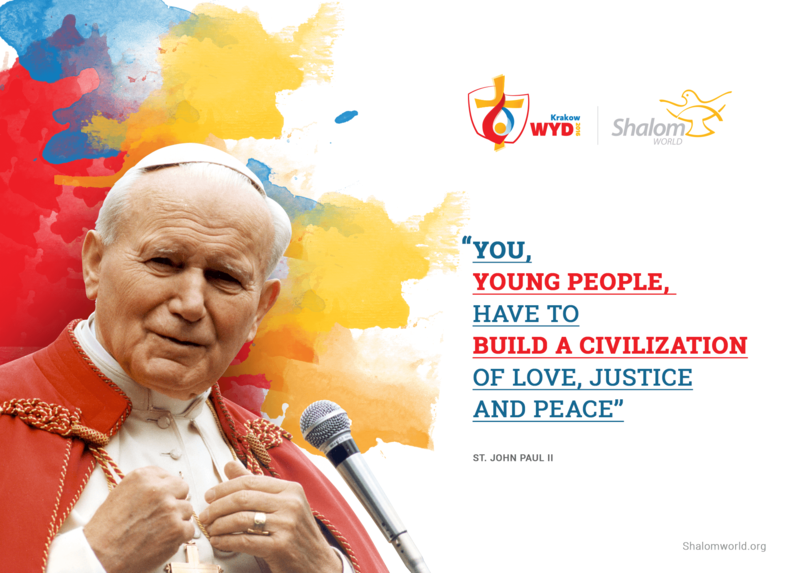 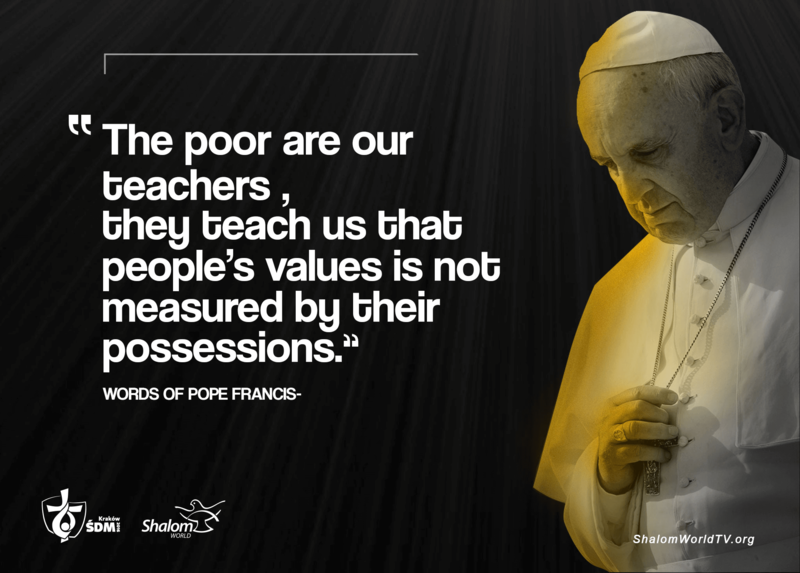 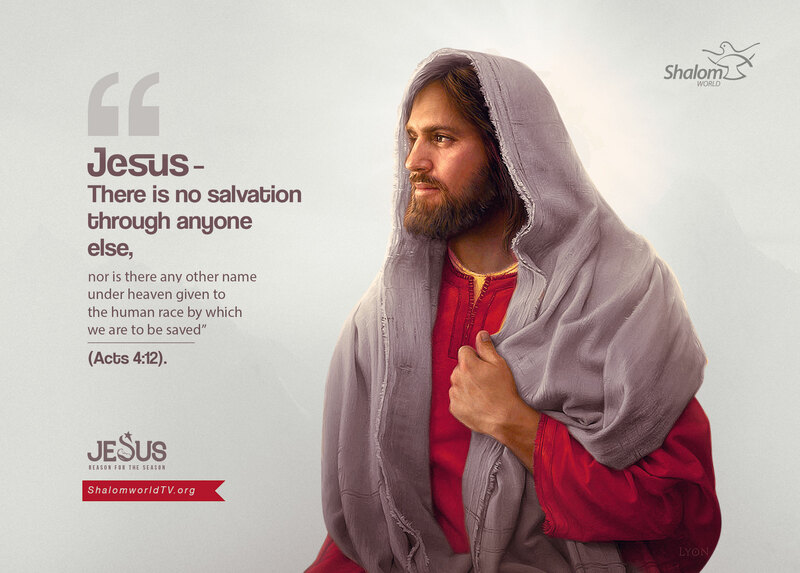 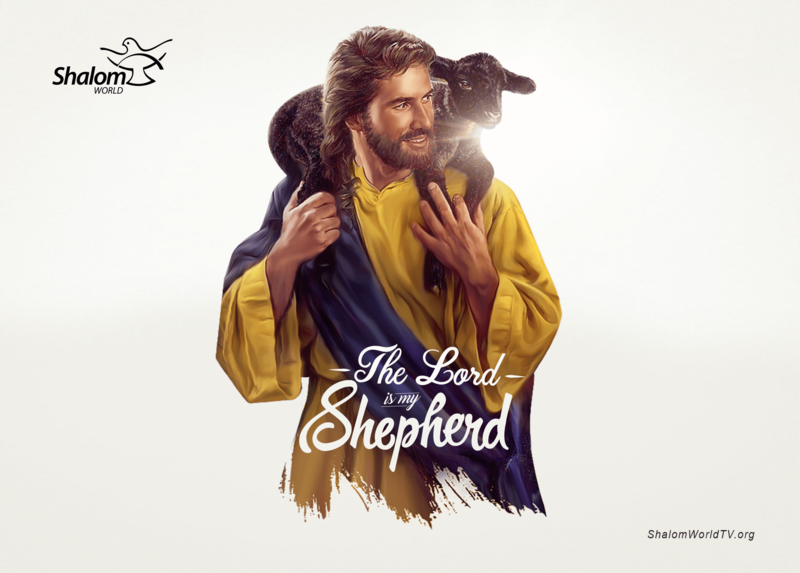 As a Catholic charismatic media ministry, Shalom World’s mission is to effectively spread the gospel of Jesus Christ, using all modern means of mass communication. 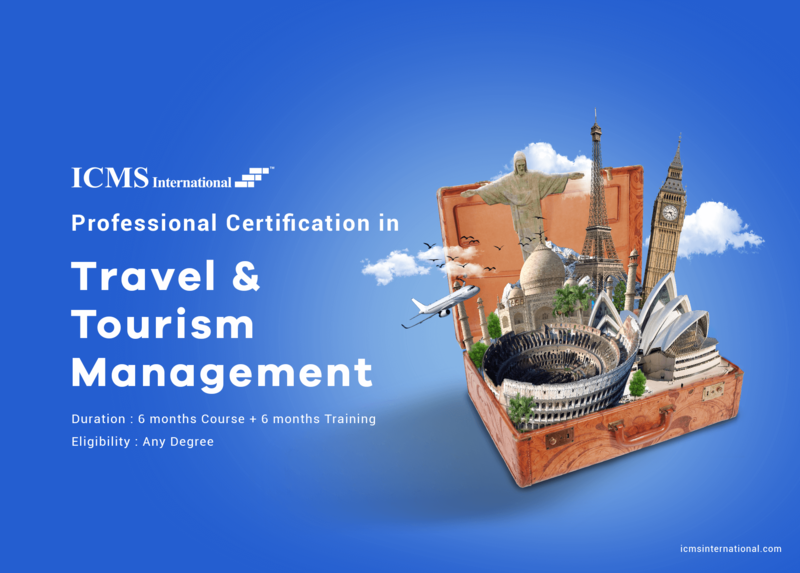 With Facebook, this aspect of reaching the world has become a very definite and very effective practical tool. 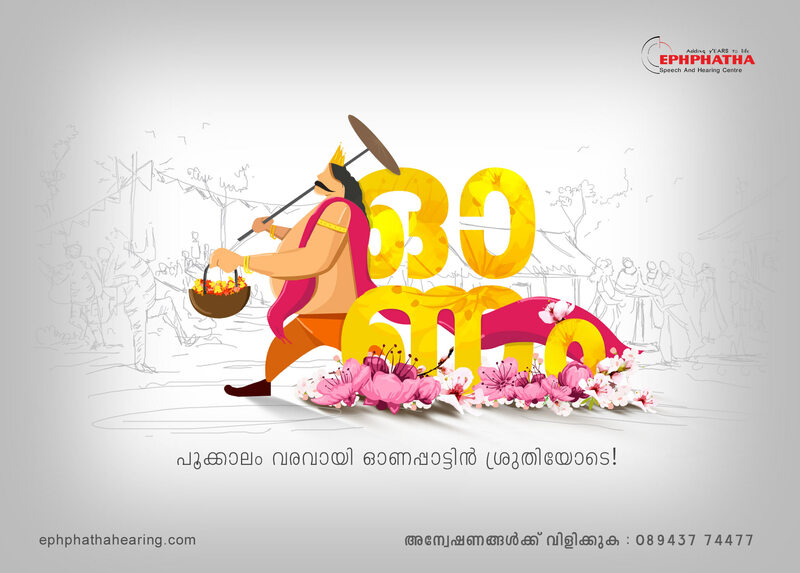 The page has already clocked in around 300K followers with the number growing at a fast rate. 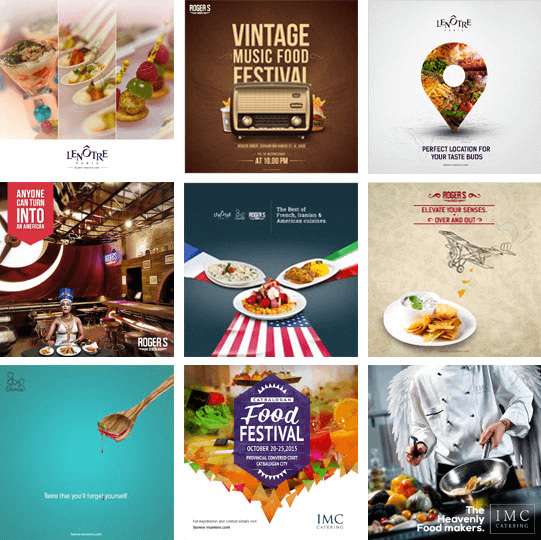 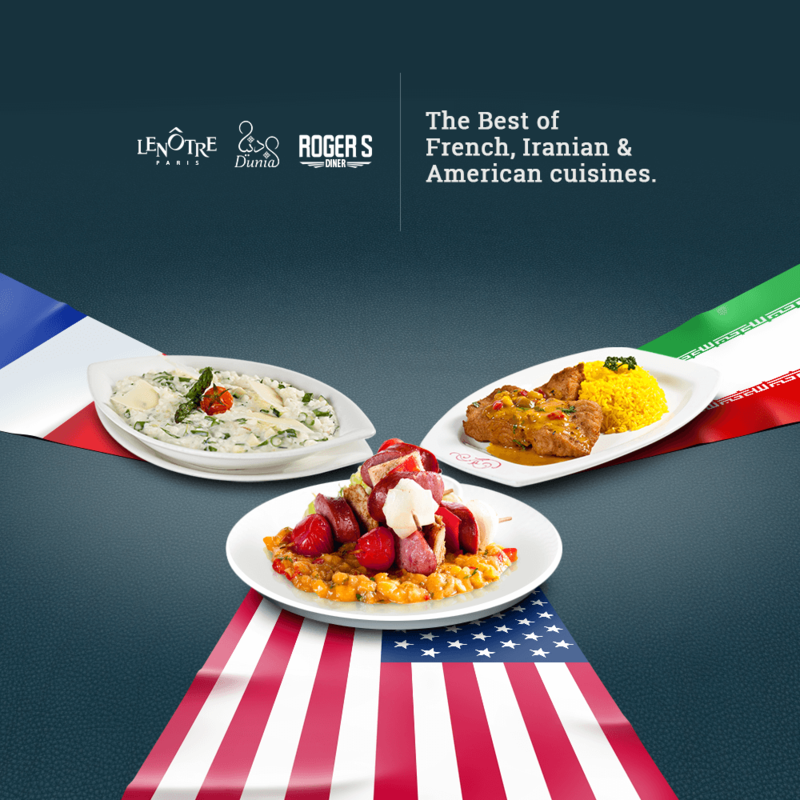 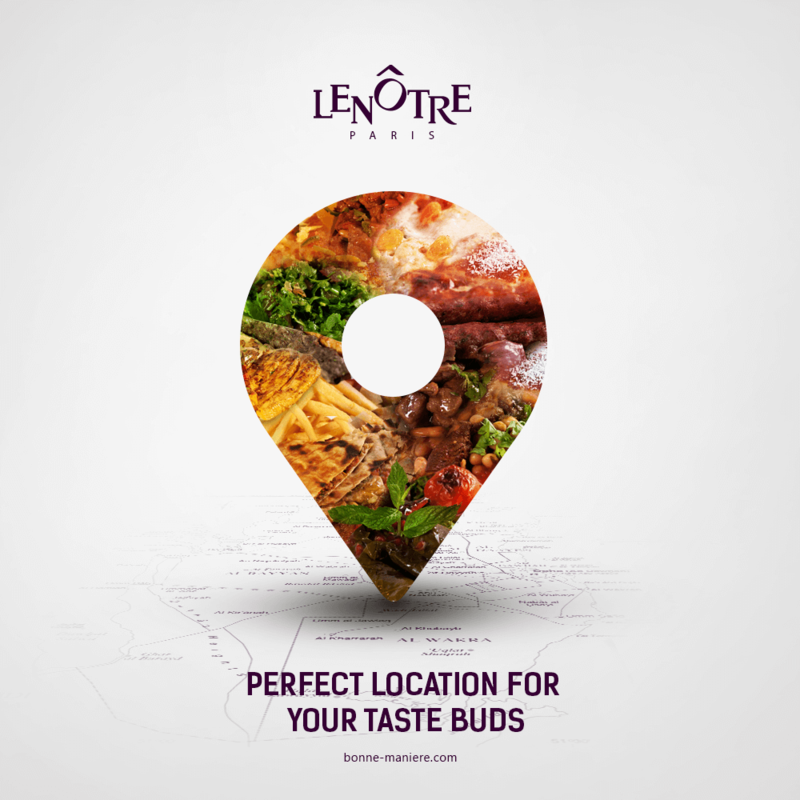 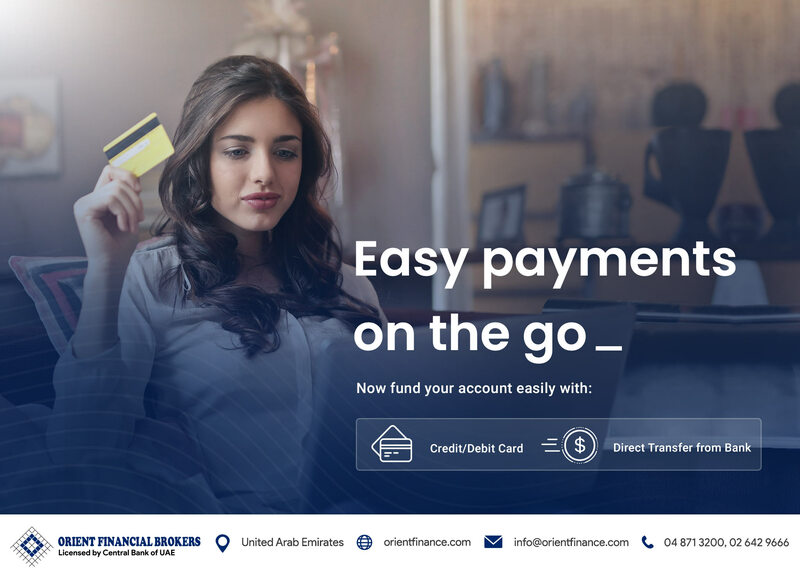 Bonne Maniere, one of Qatar’s leading food and beverage, catering and retail operator hired us to help them create a transparent and friendly persona online. 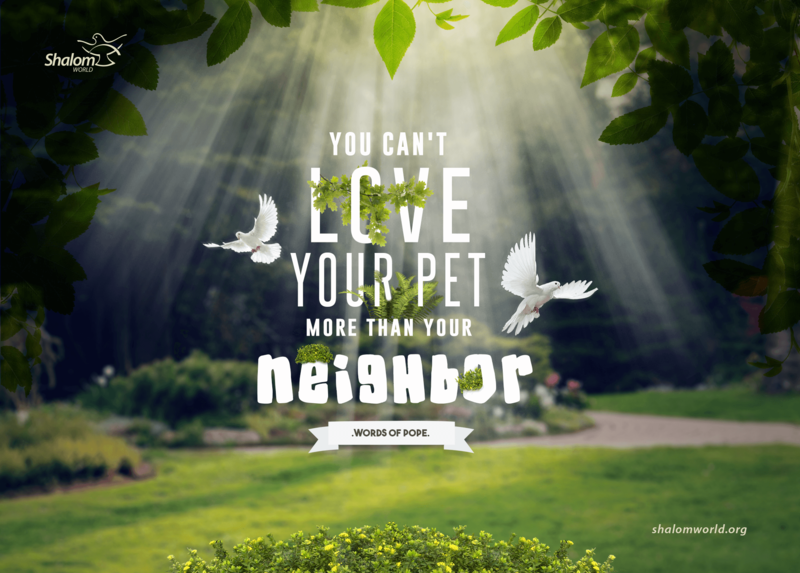 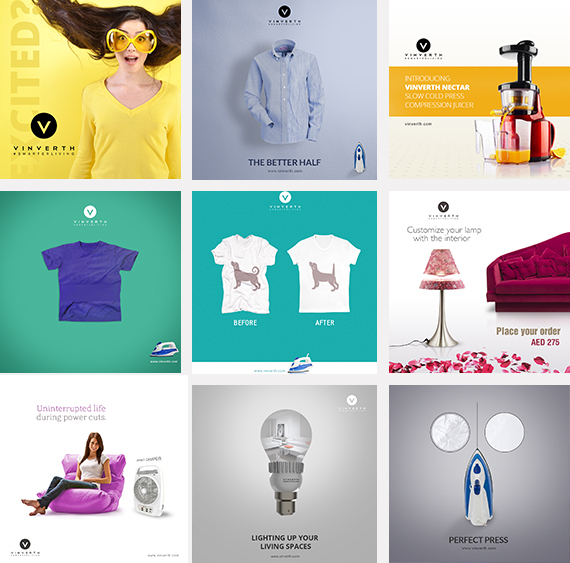 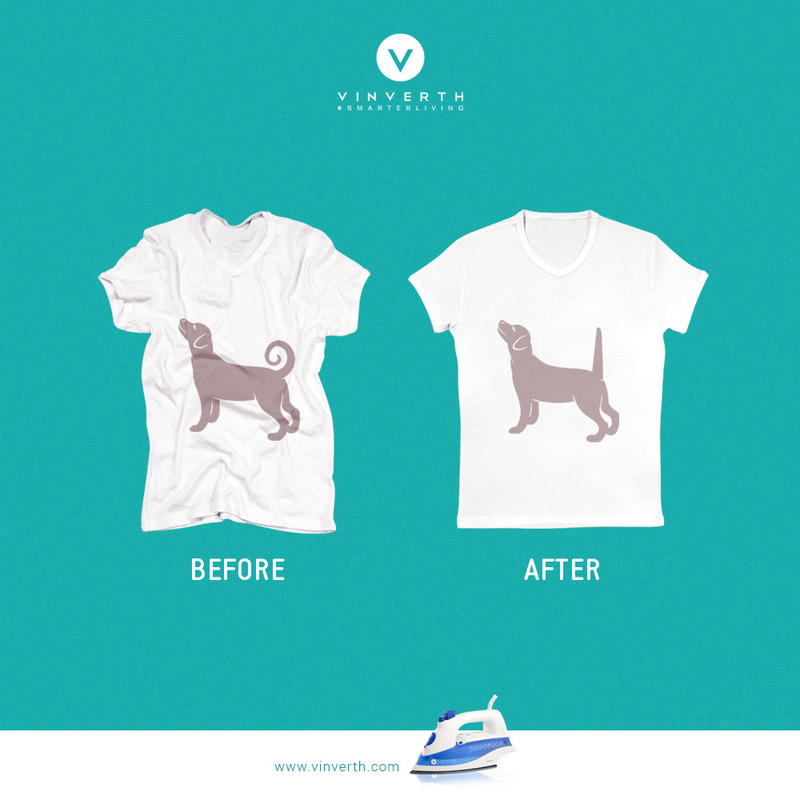 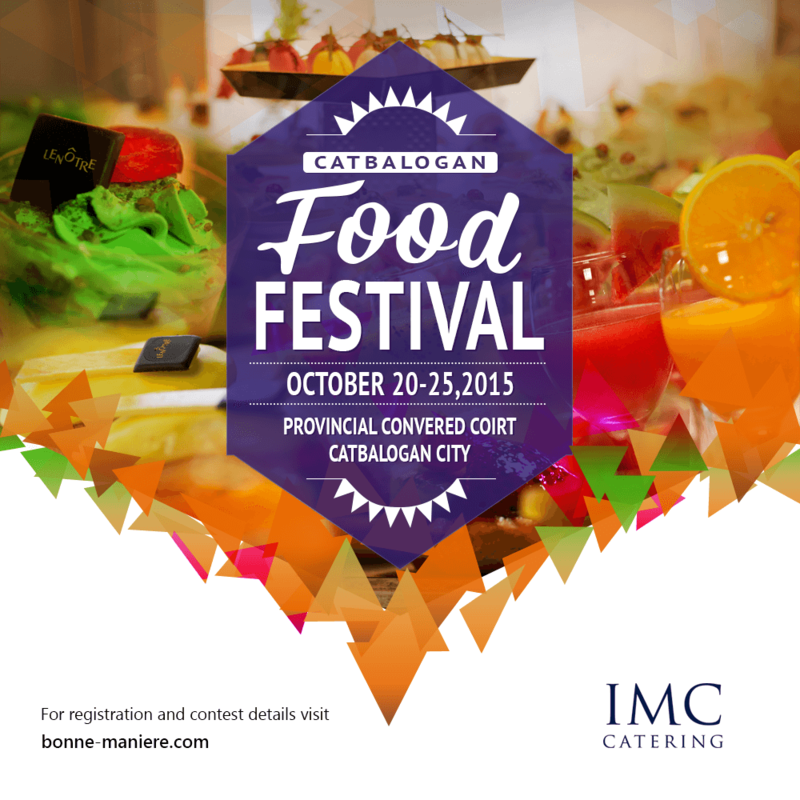 Vibrant imagery with a clean and modern aesthetic is used across all marketing materials. 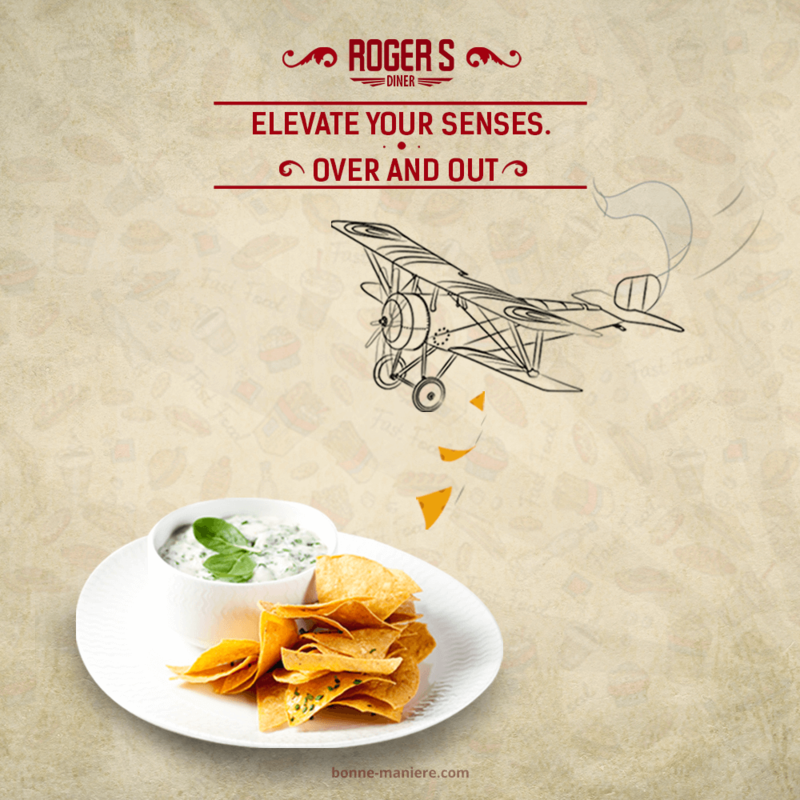 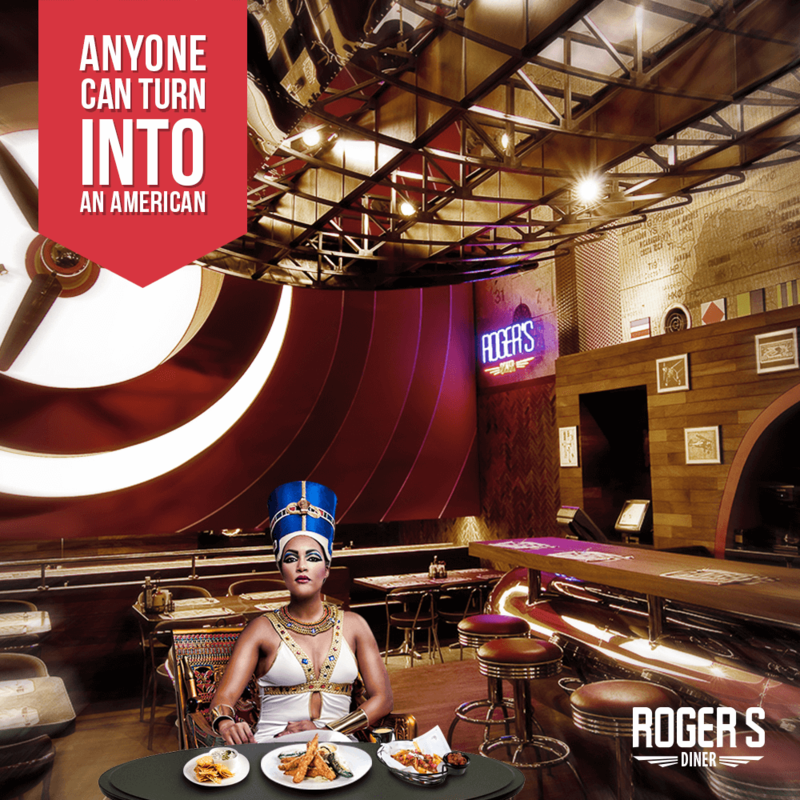 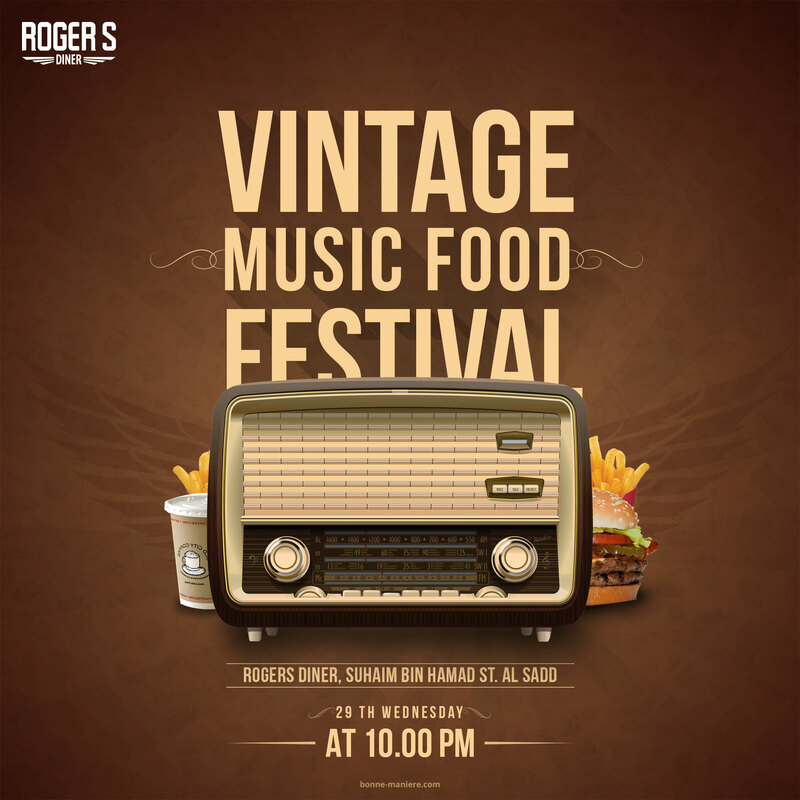 It helped the brand to become more than just a place to eat food, enabling guests to relate to the business outside mealtime.